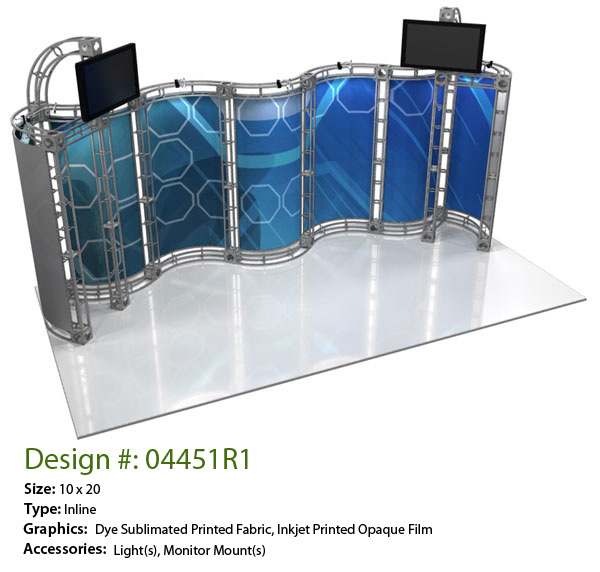 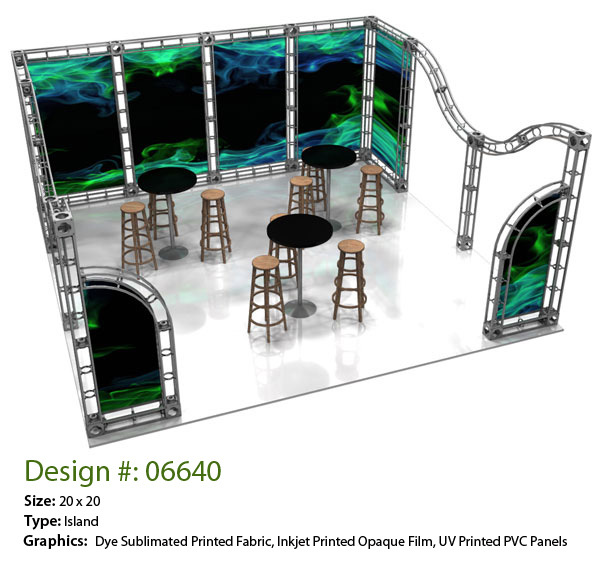 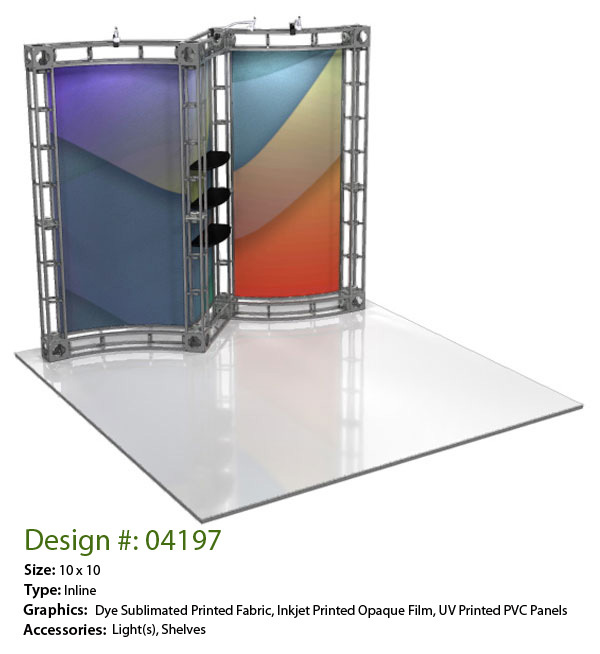 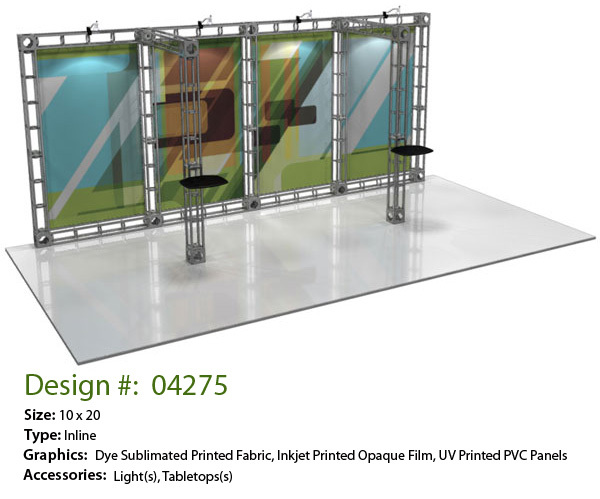 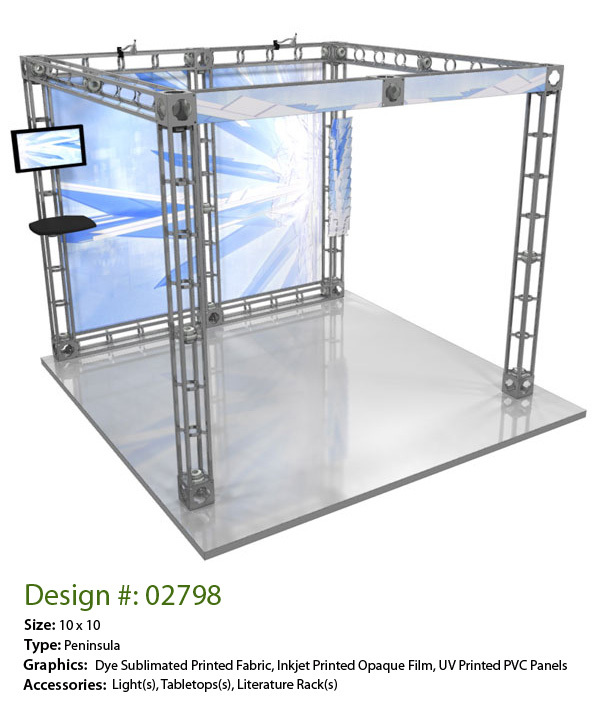 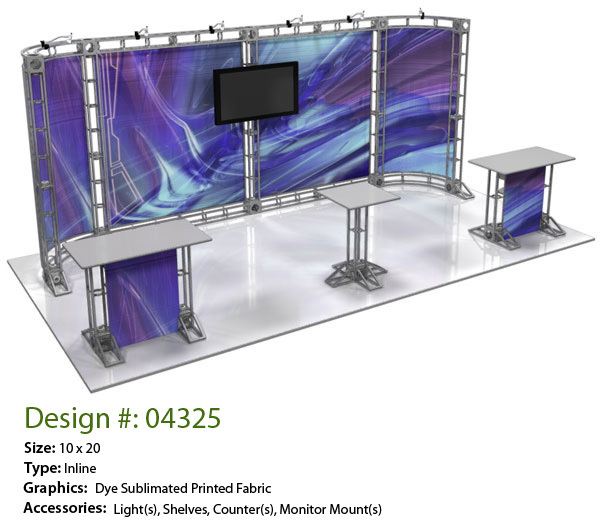 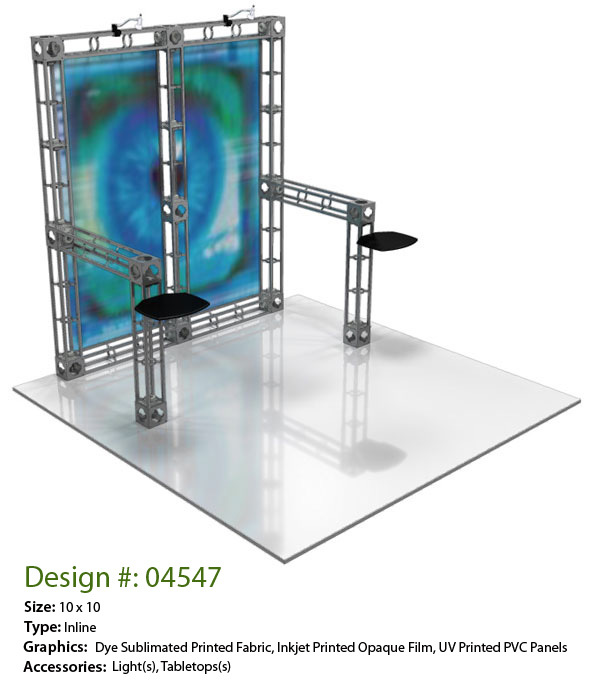 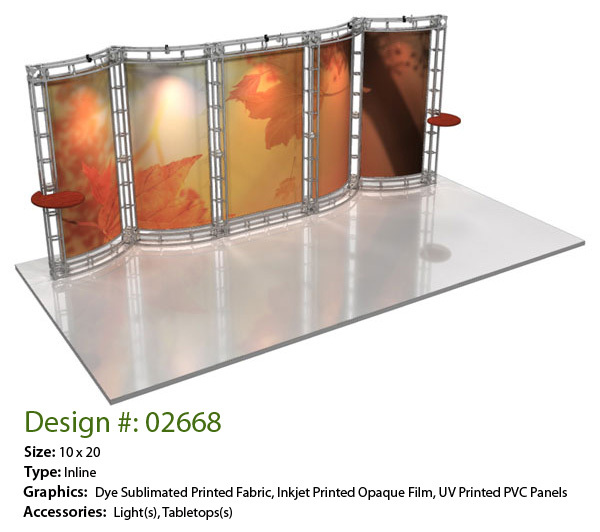 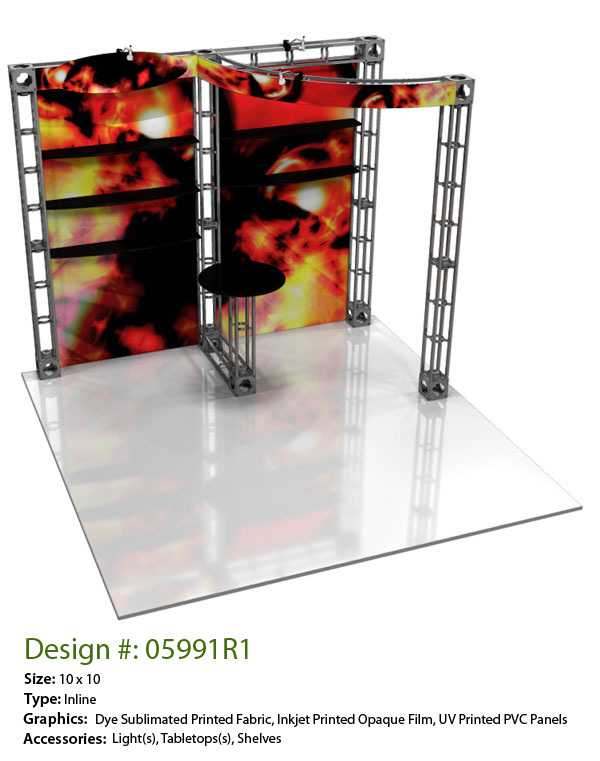 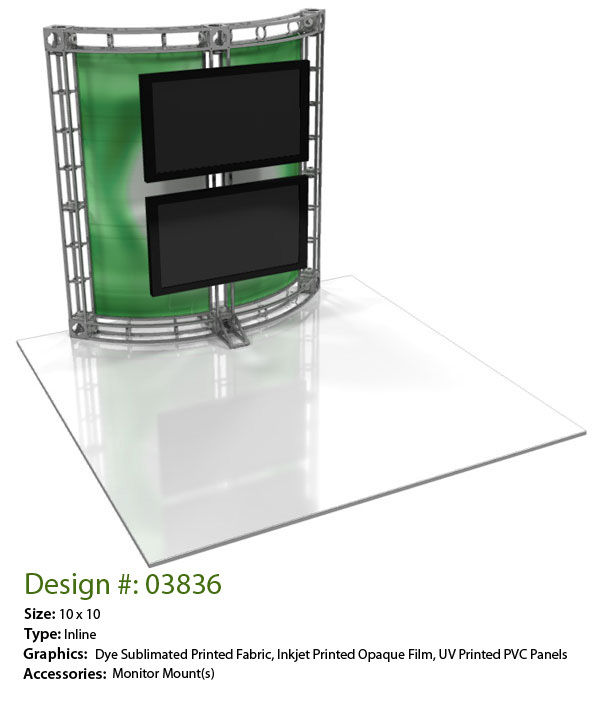 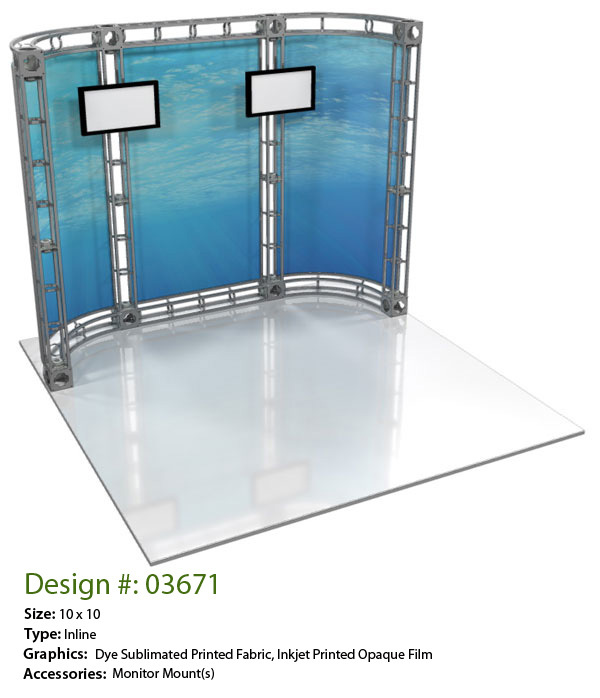 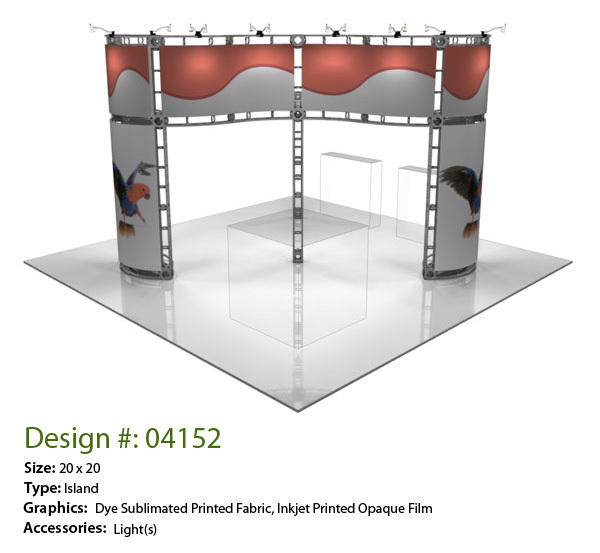 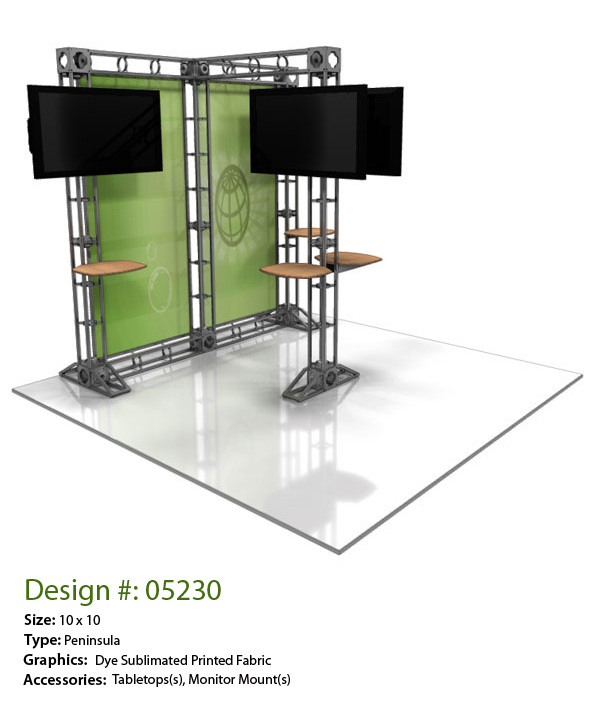 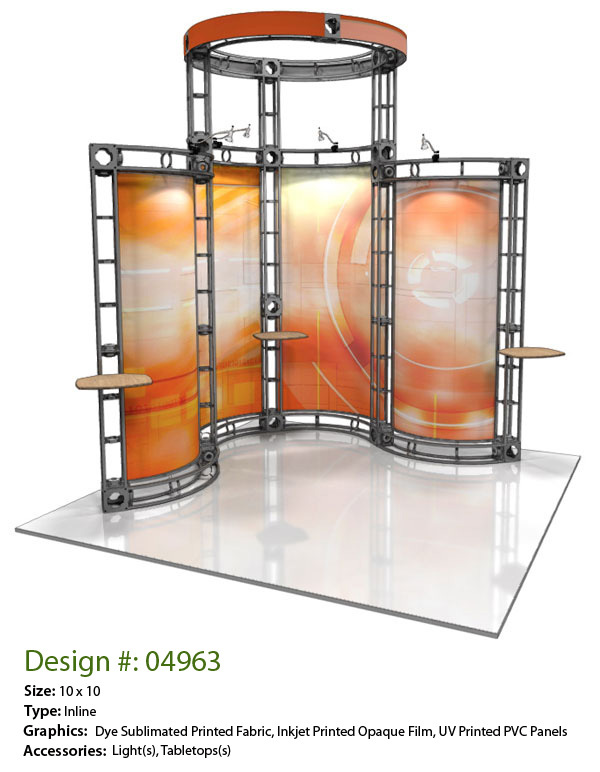 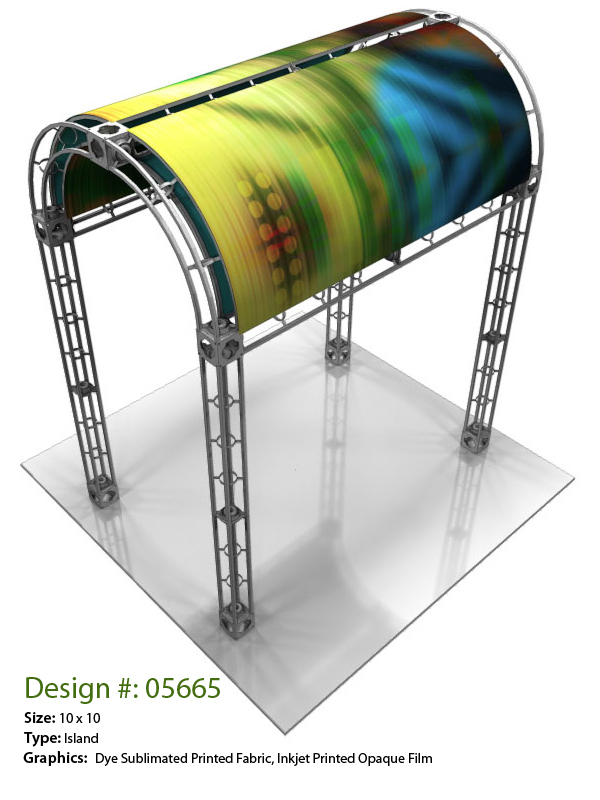 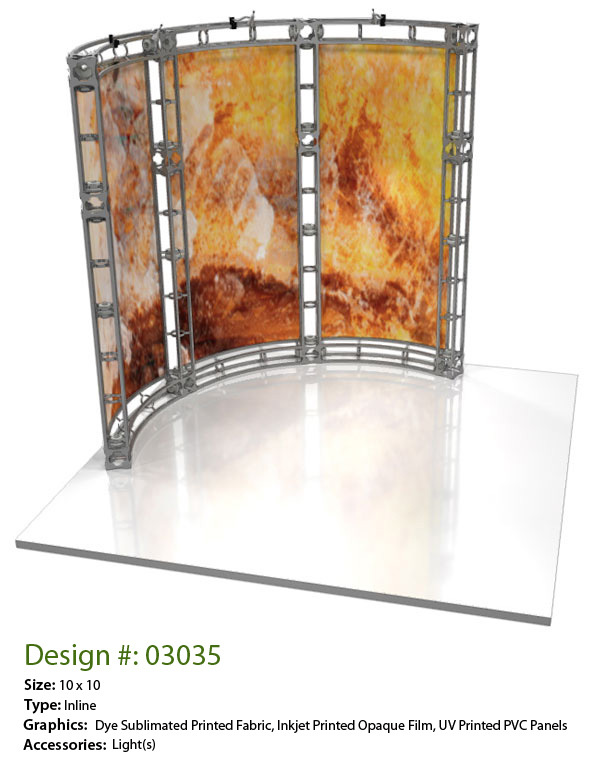 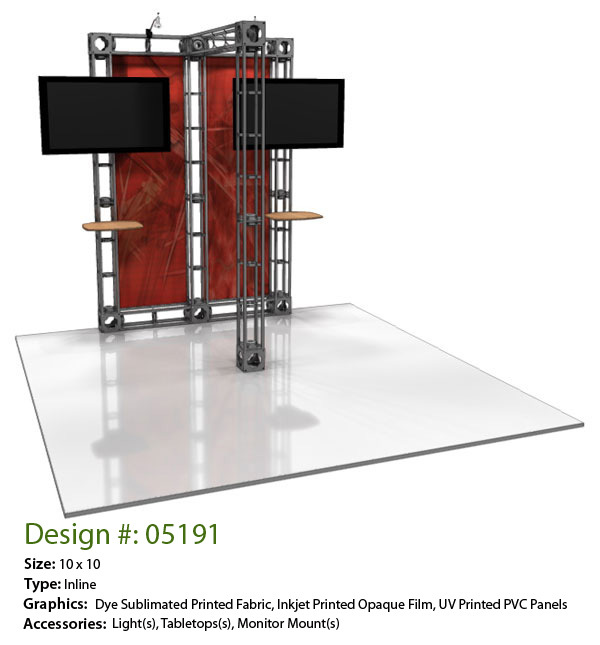 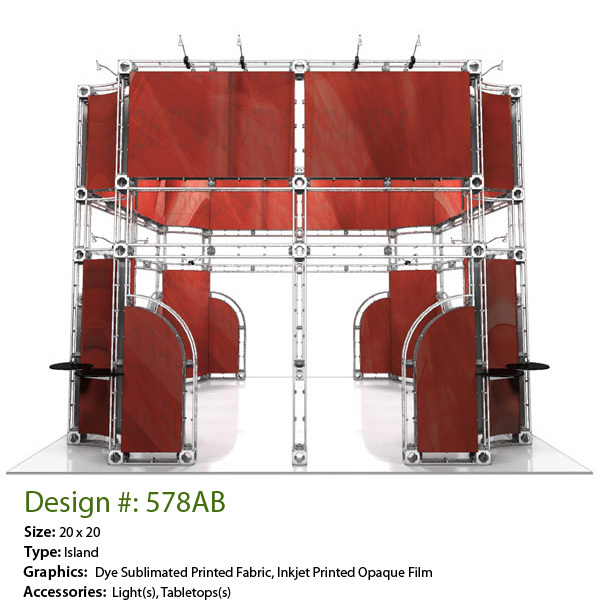 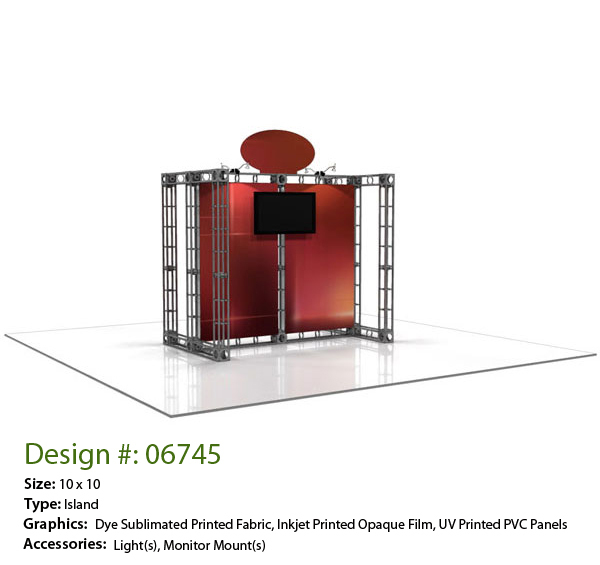 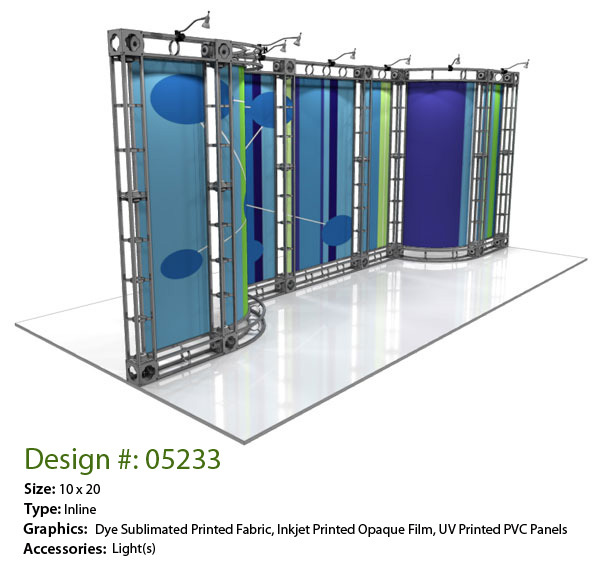 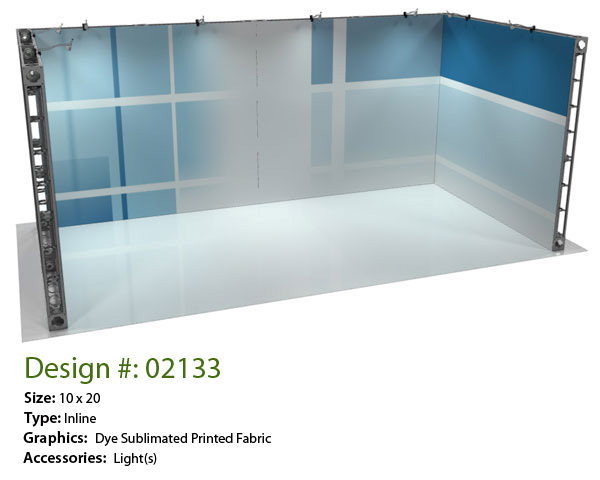 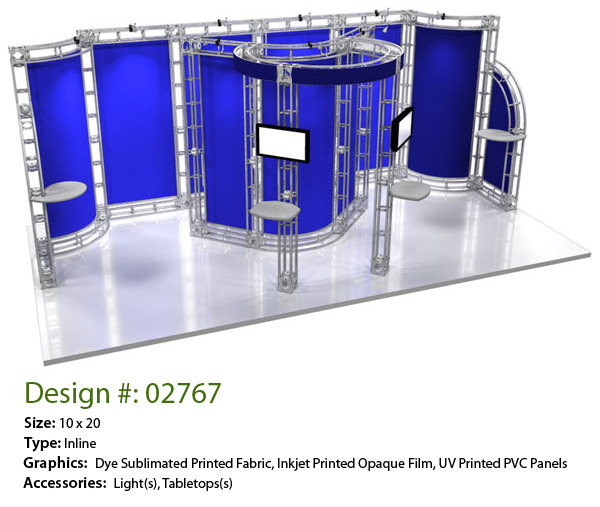 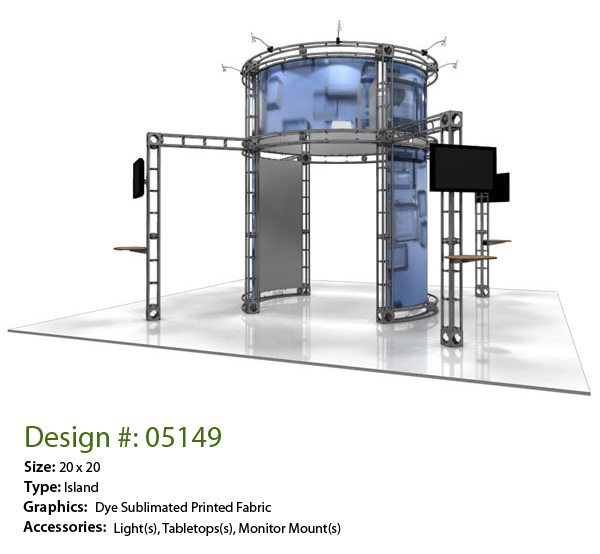 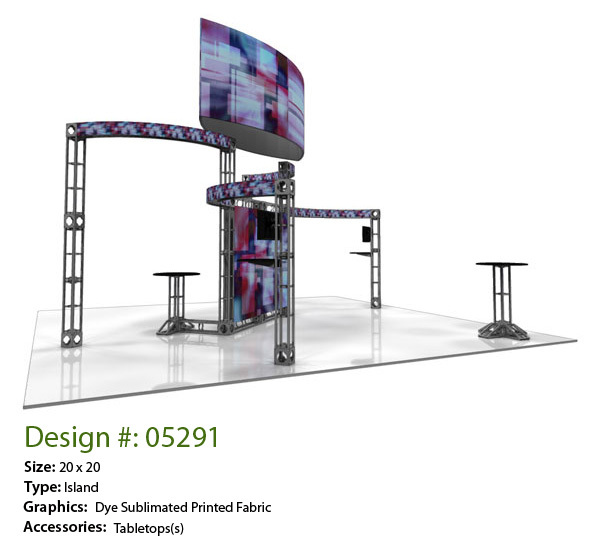 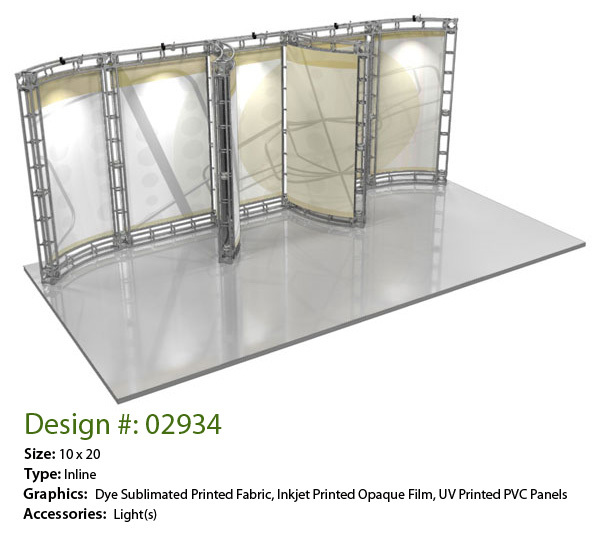 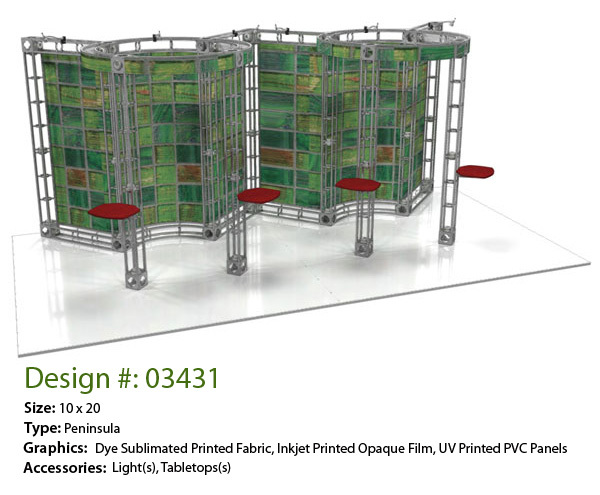 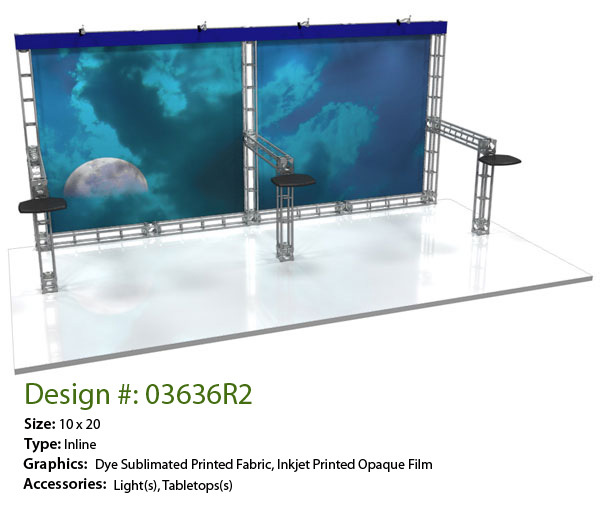 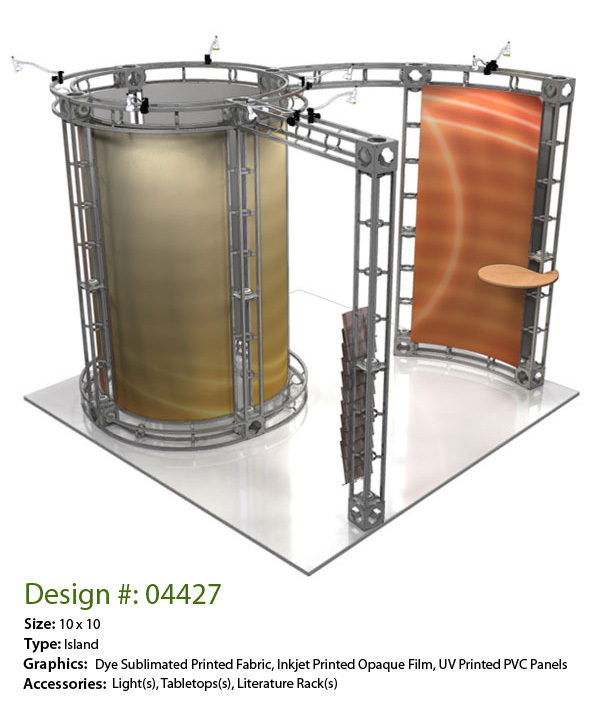 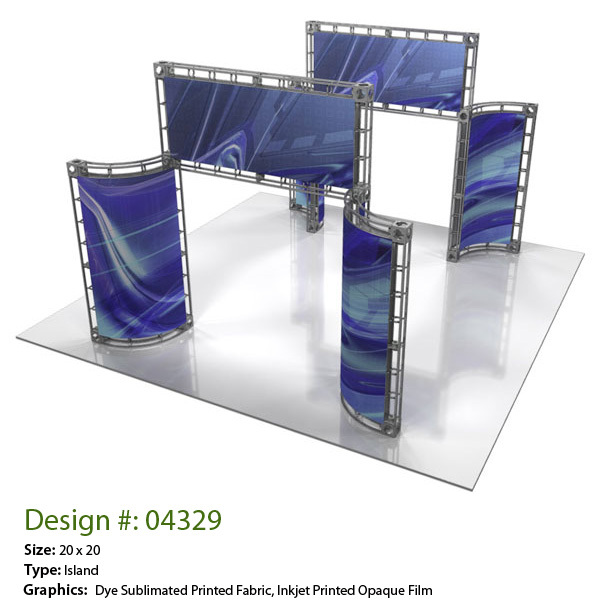 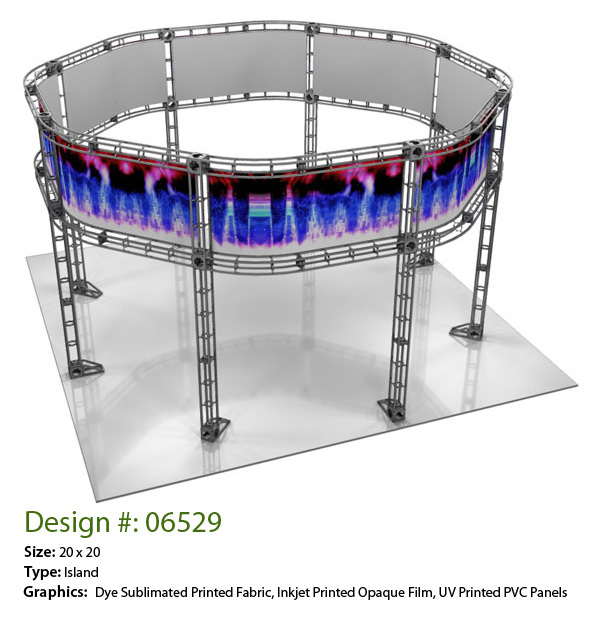 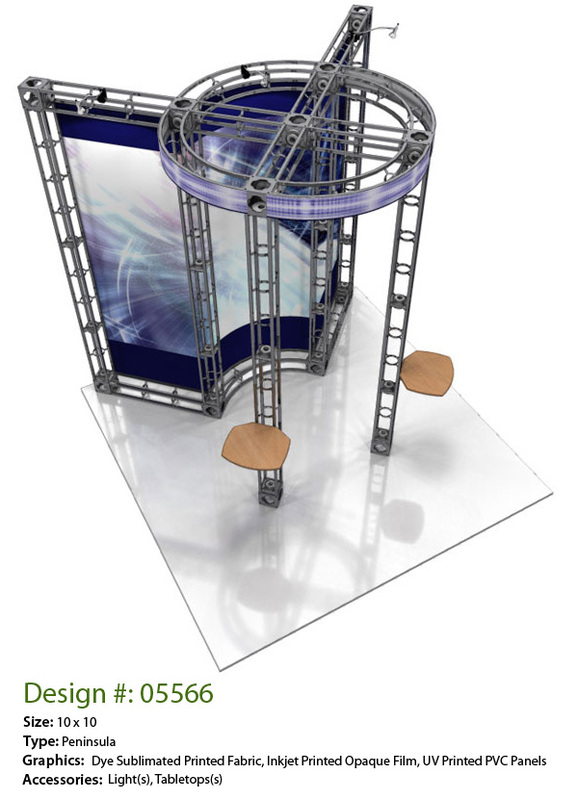 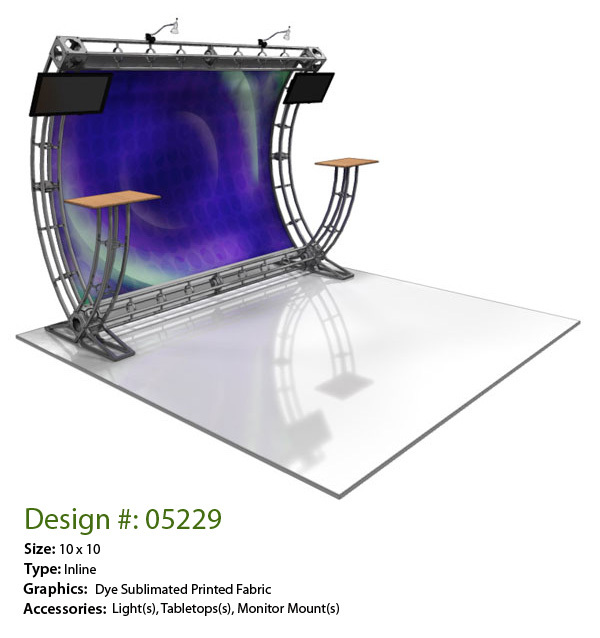 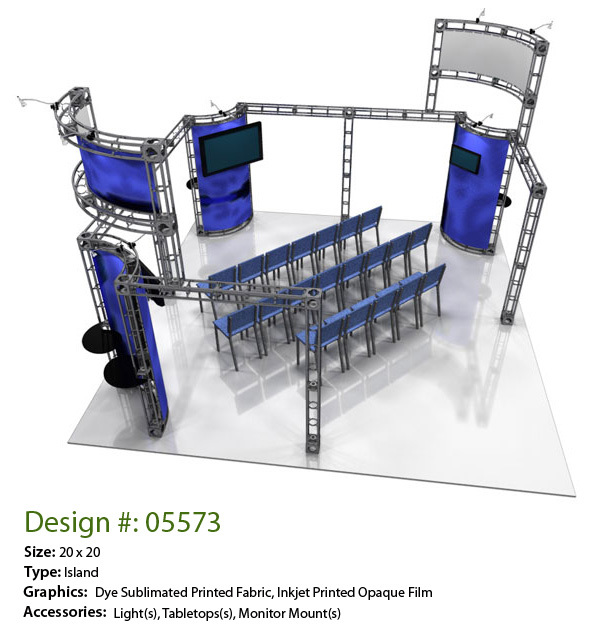 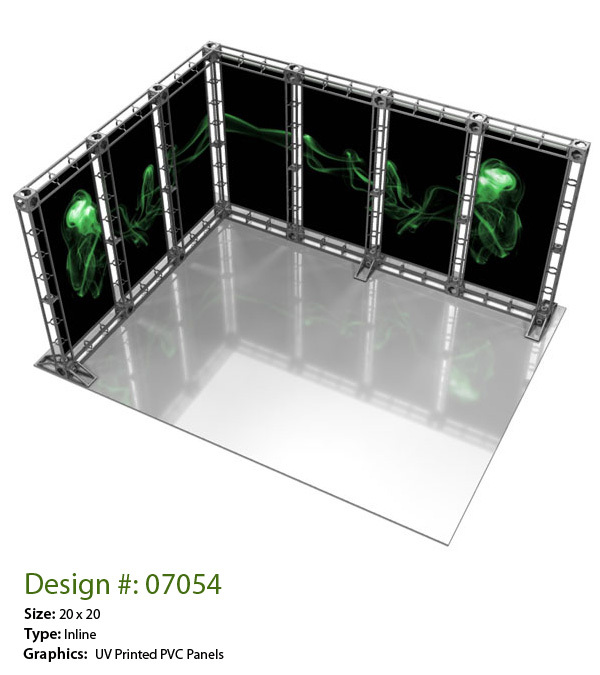 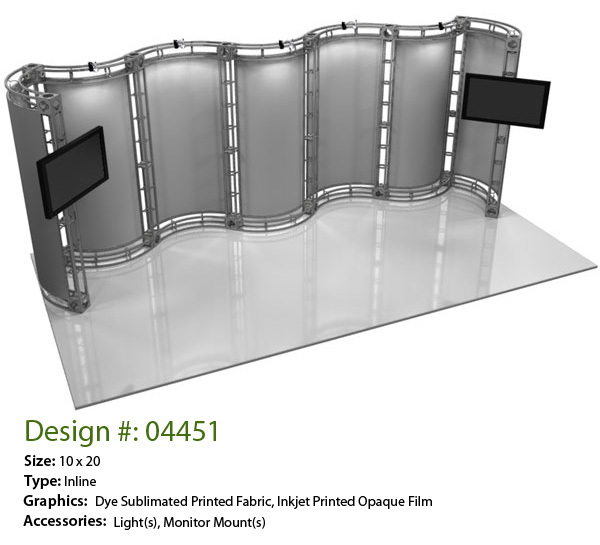 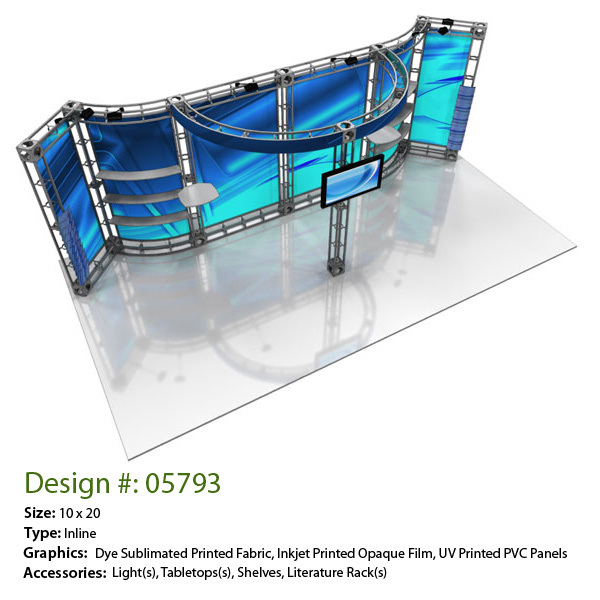 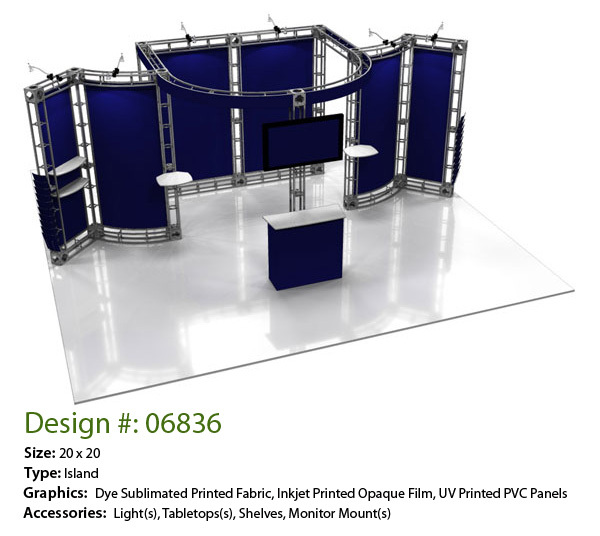 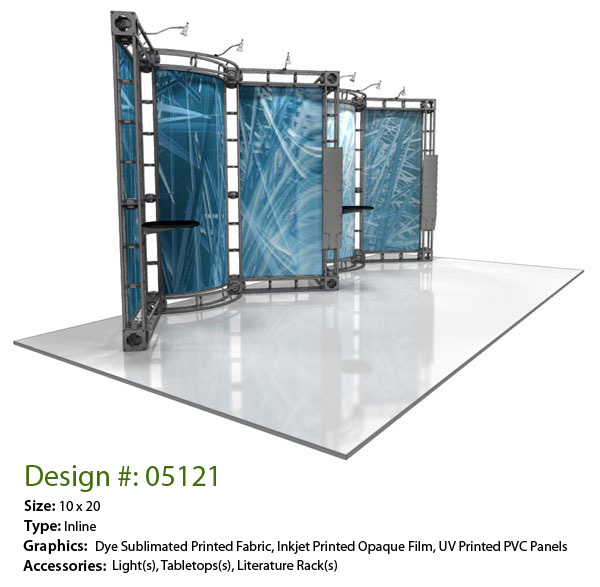 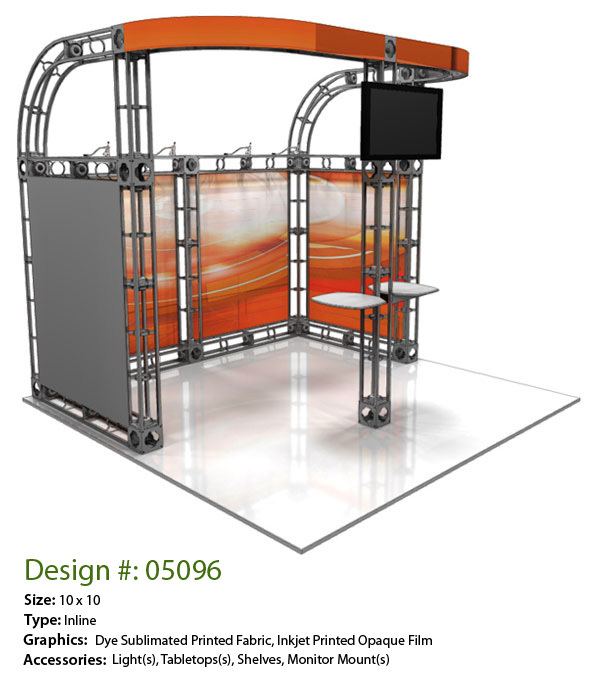 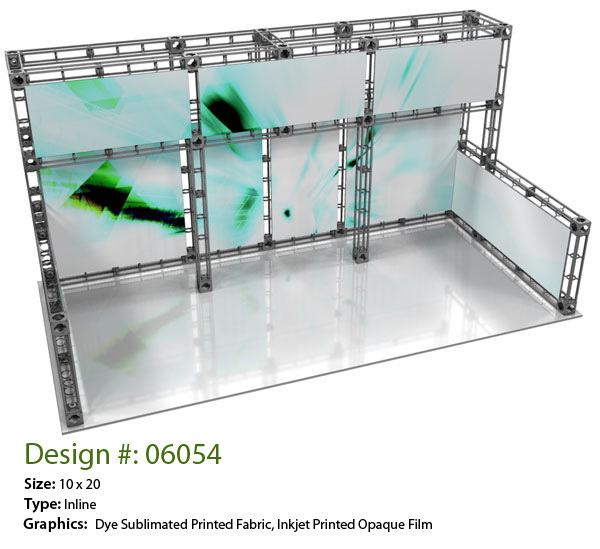 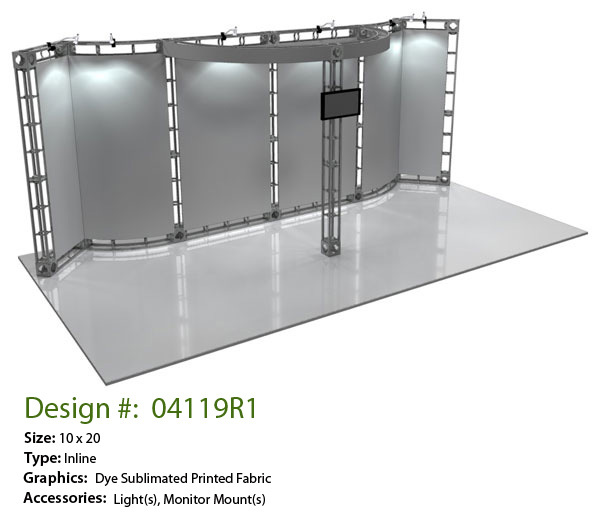 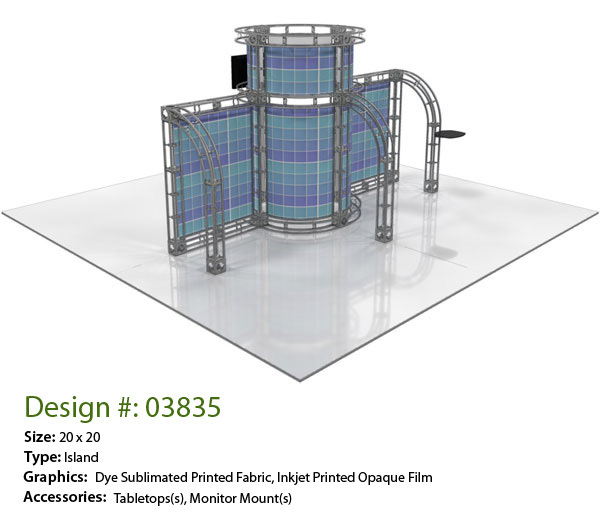 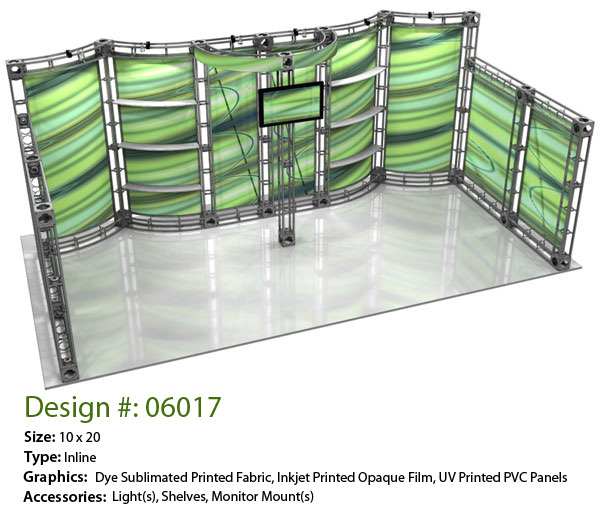 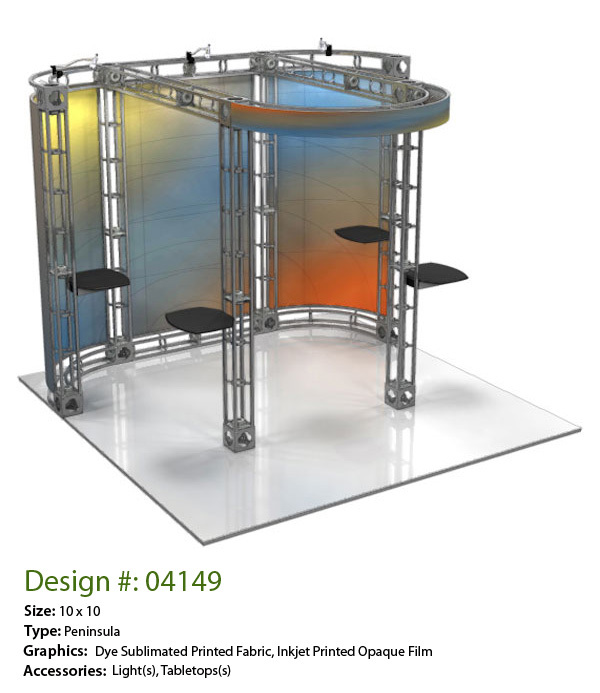 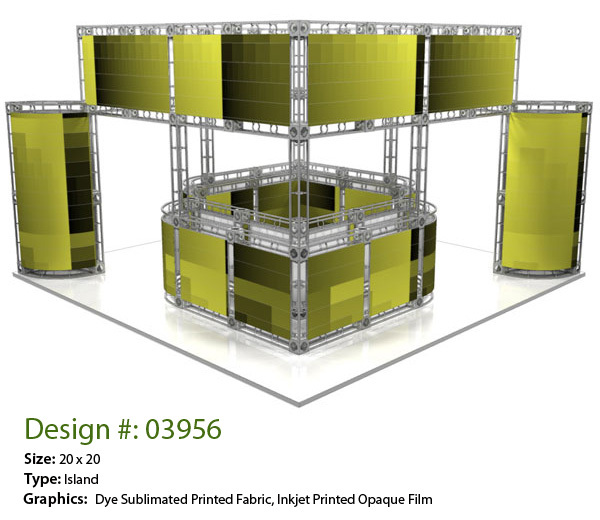 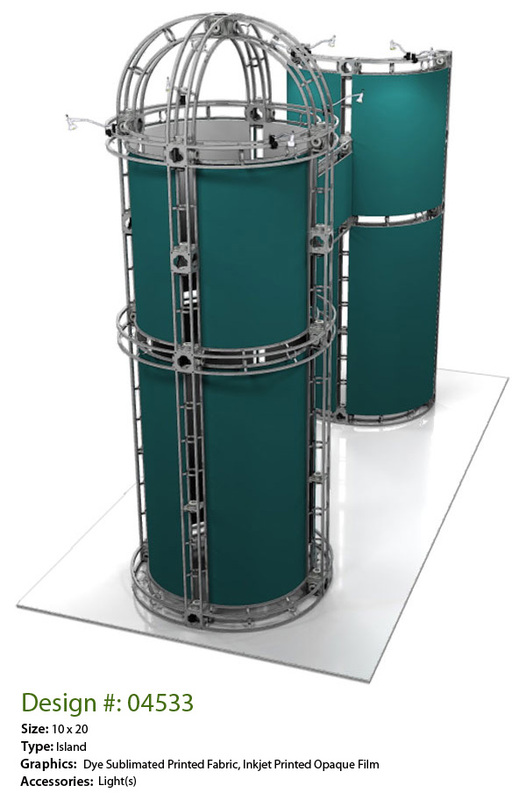 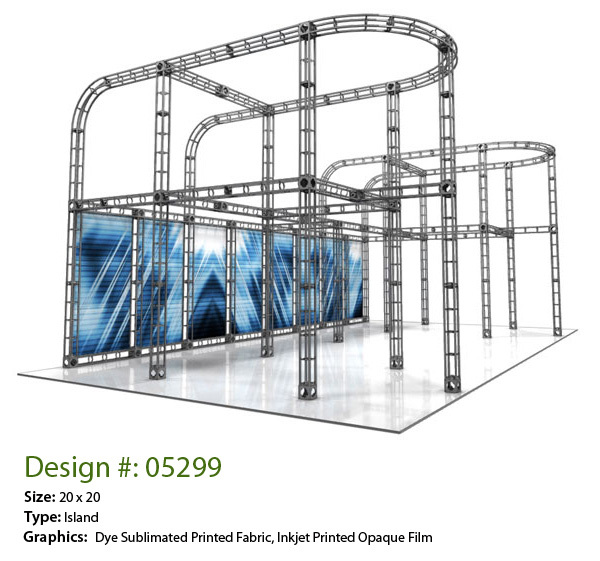 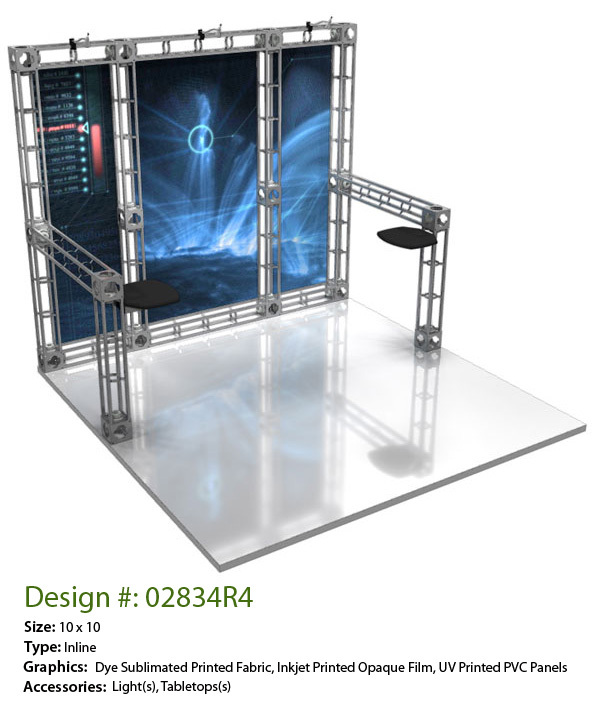 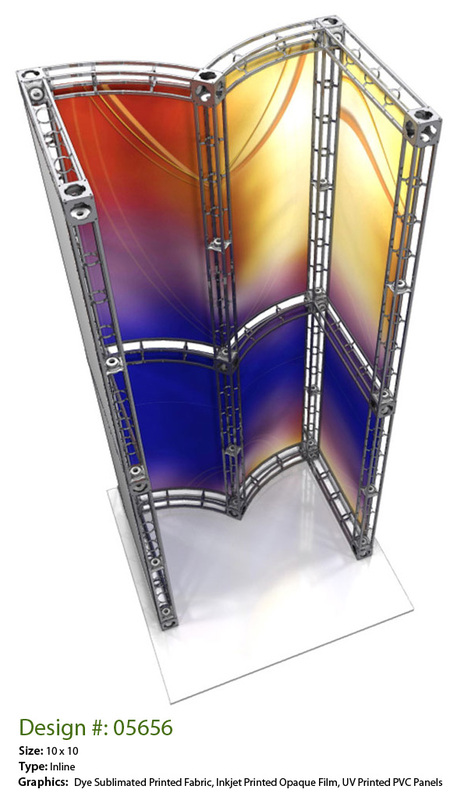 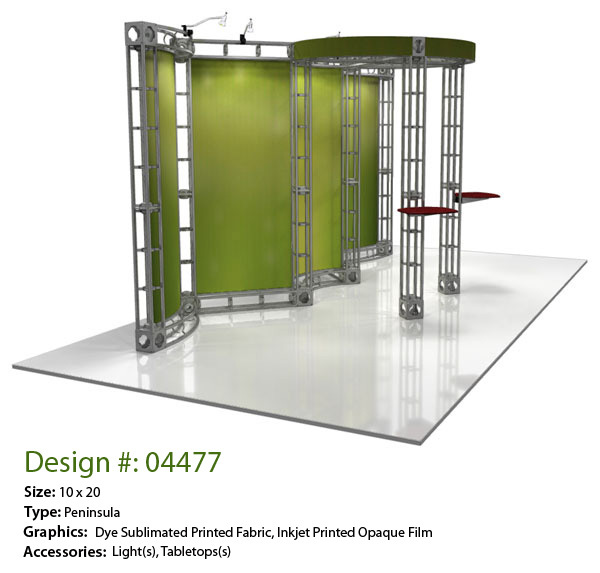 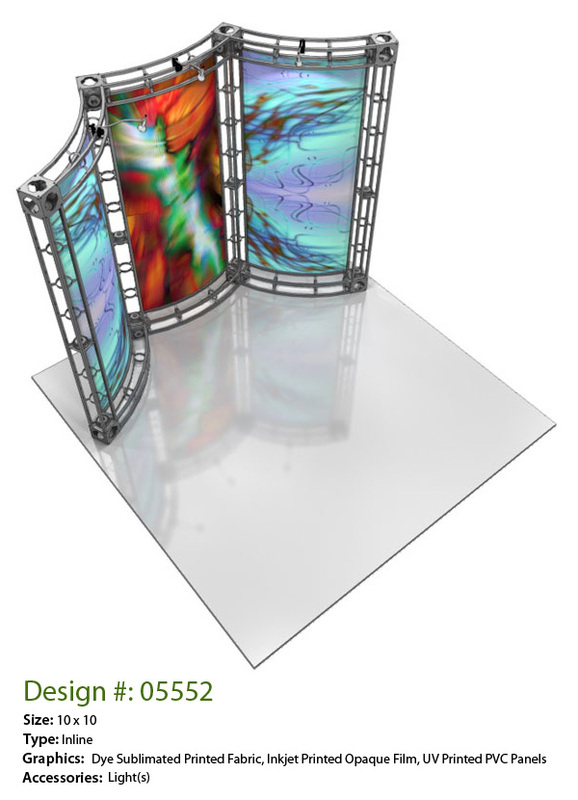 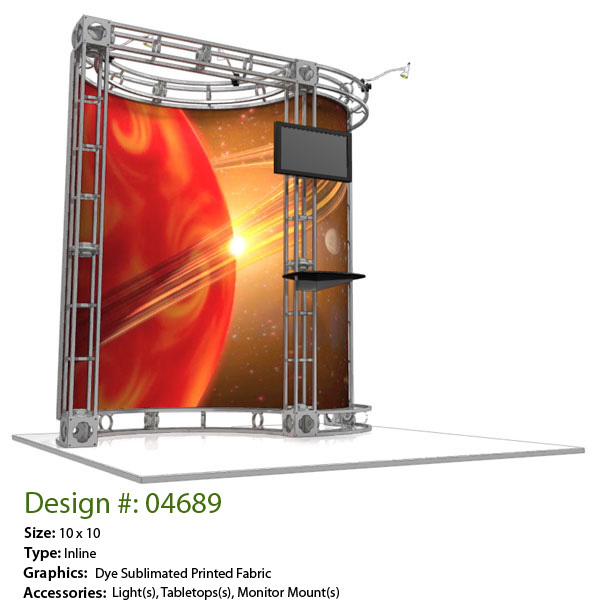 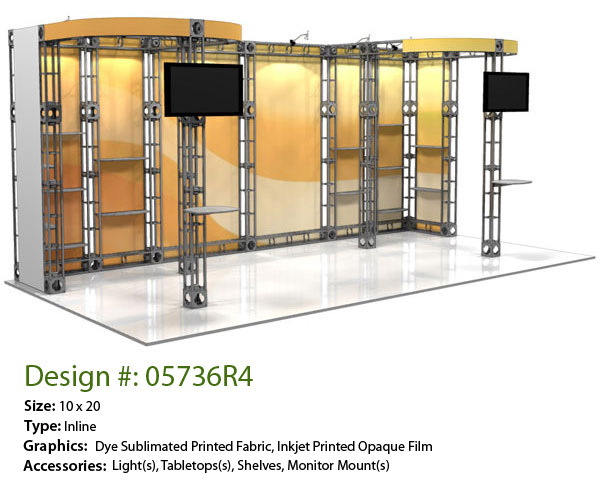 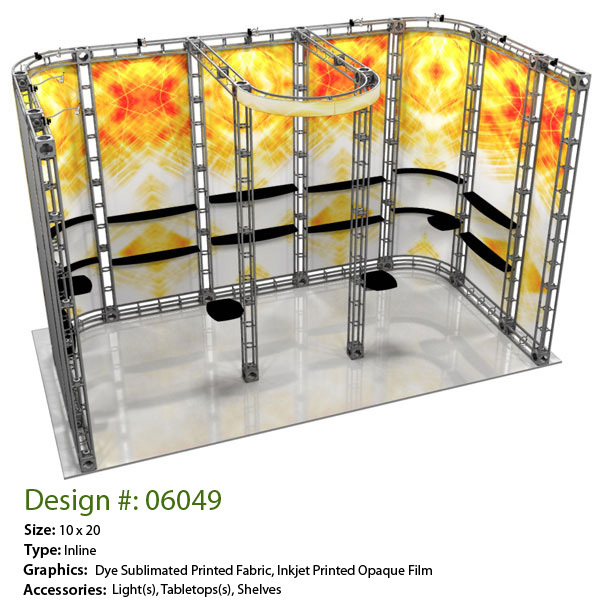 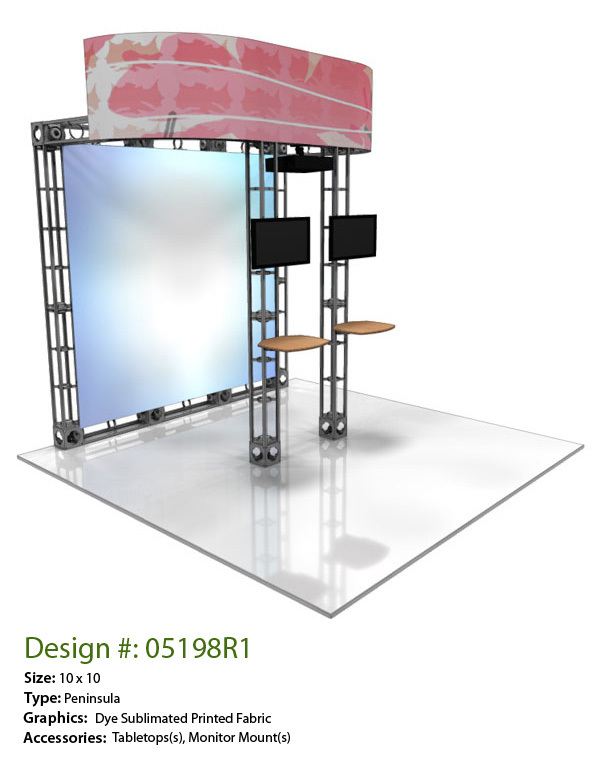 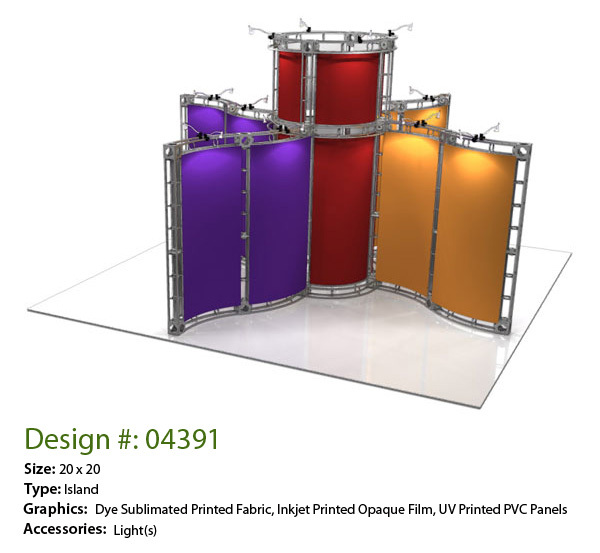 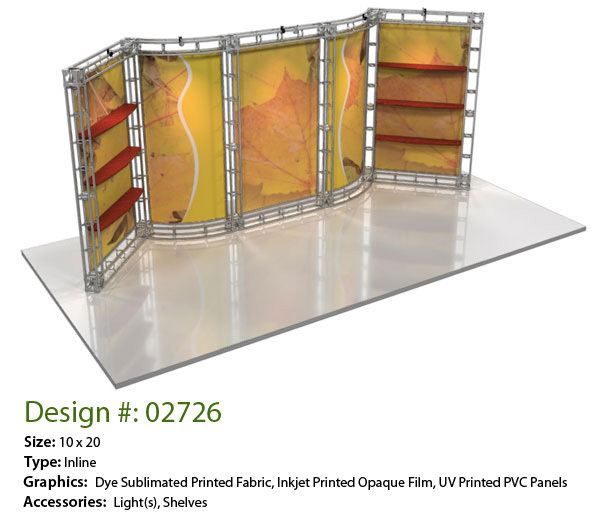 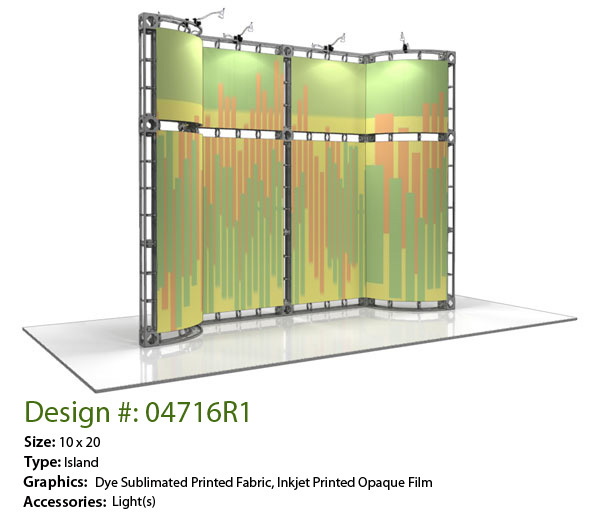 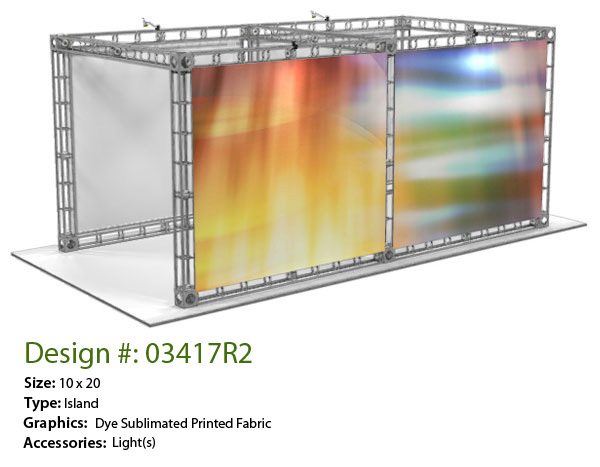 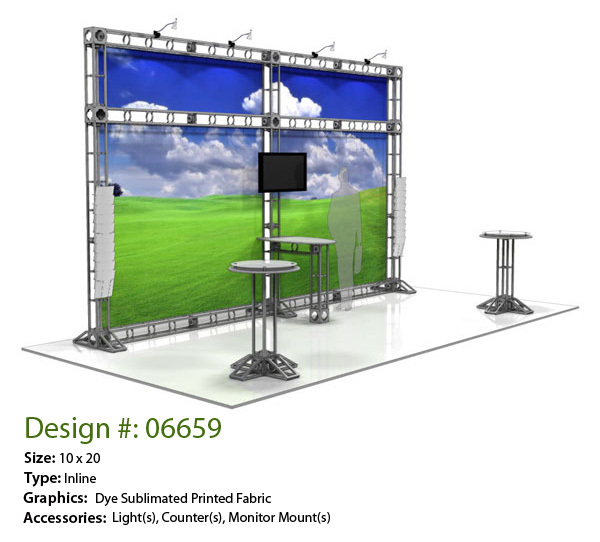 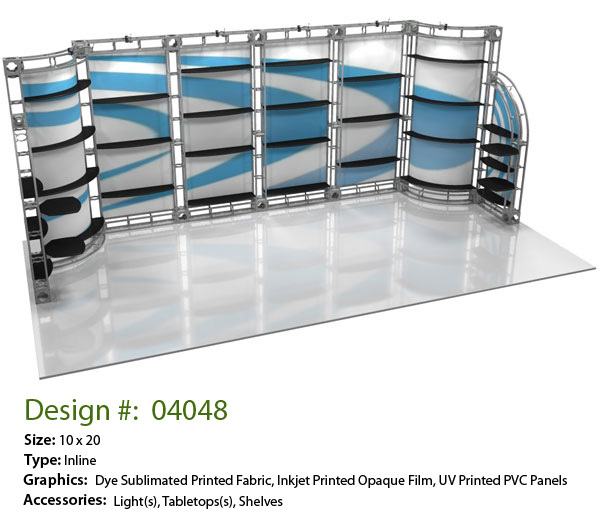 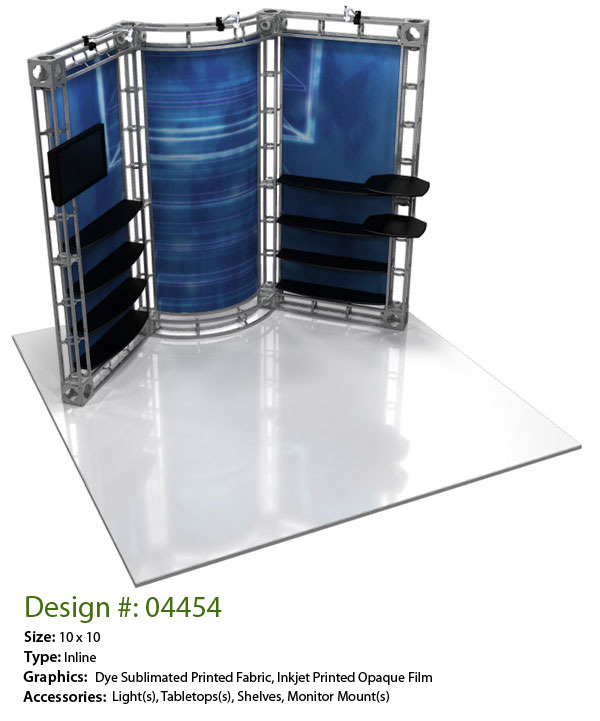 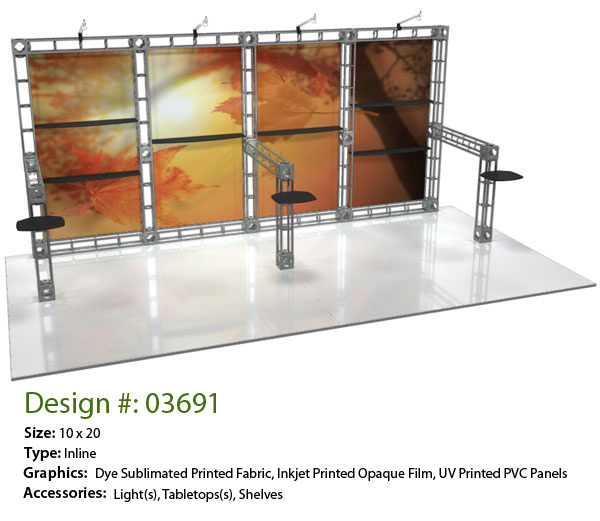 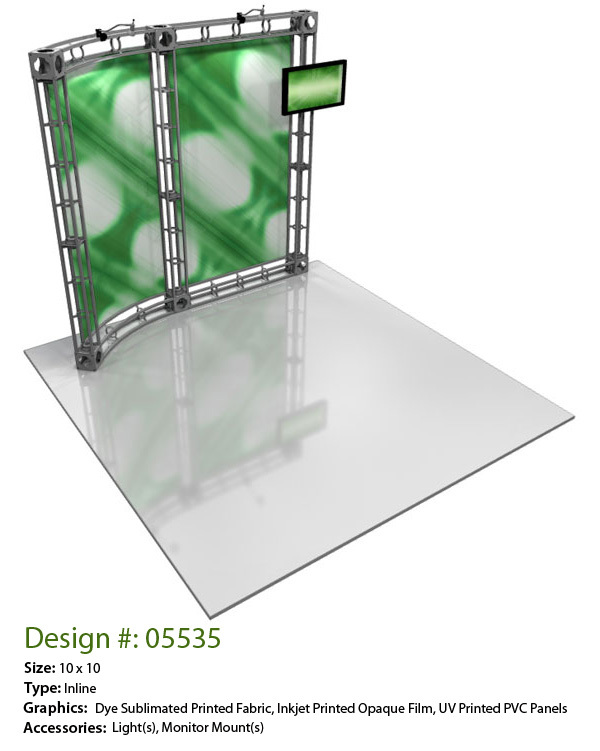 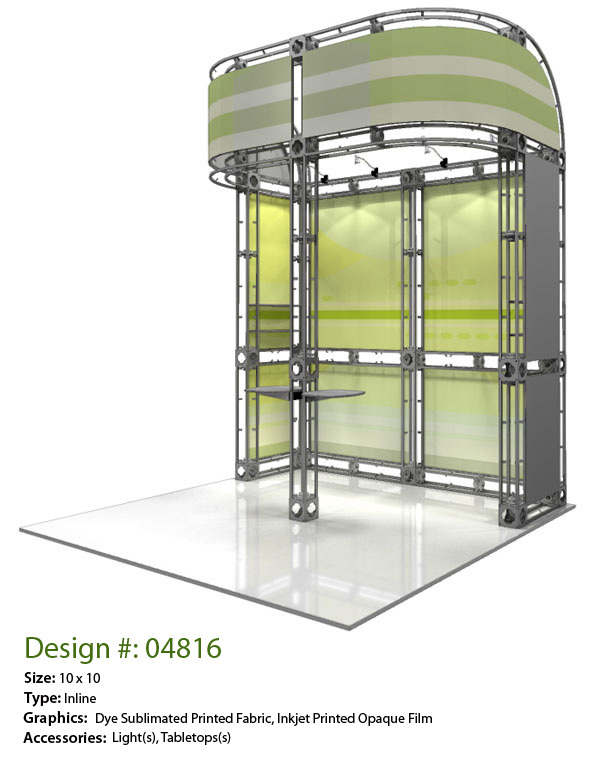 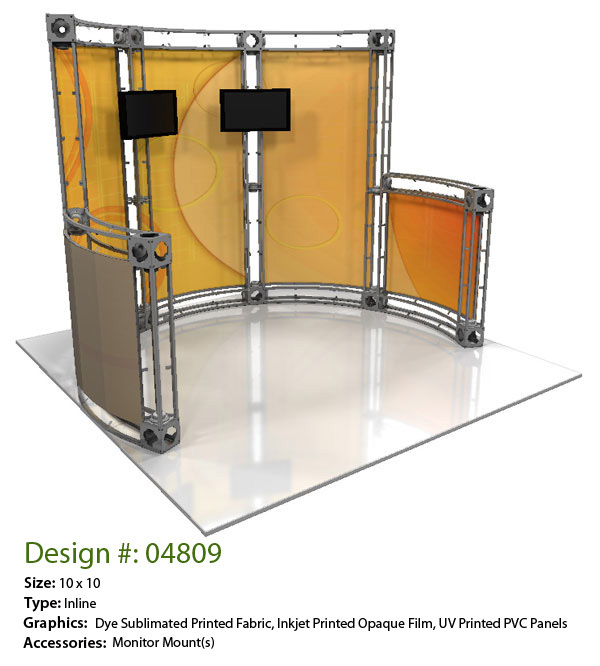 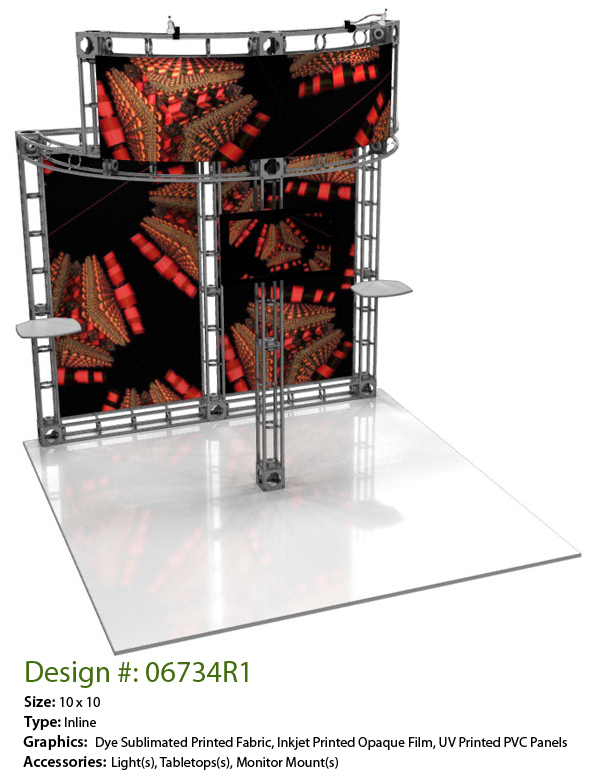 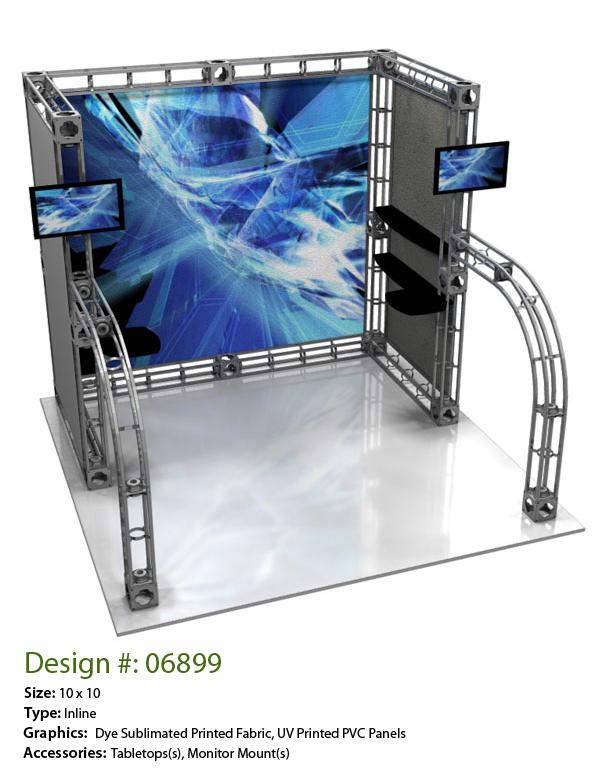 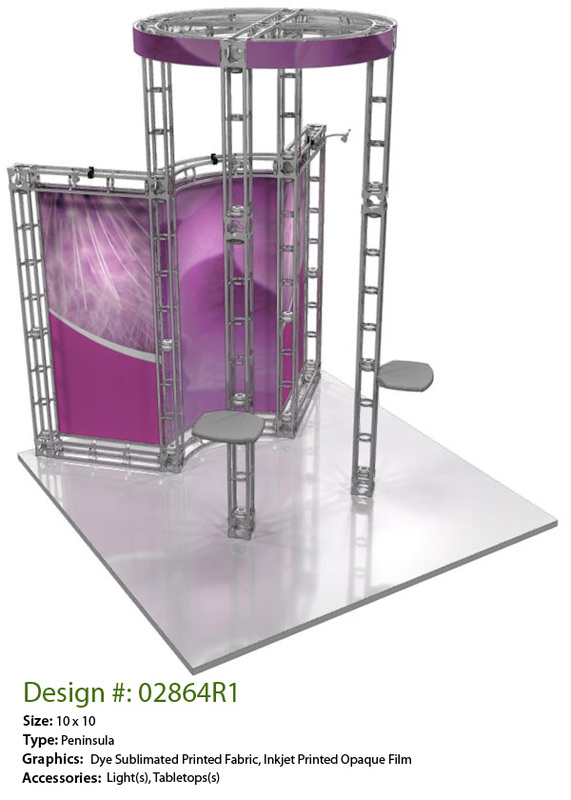 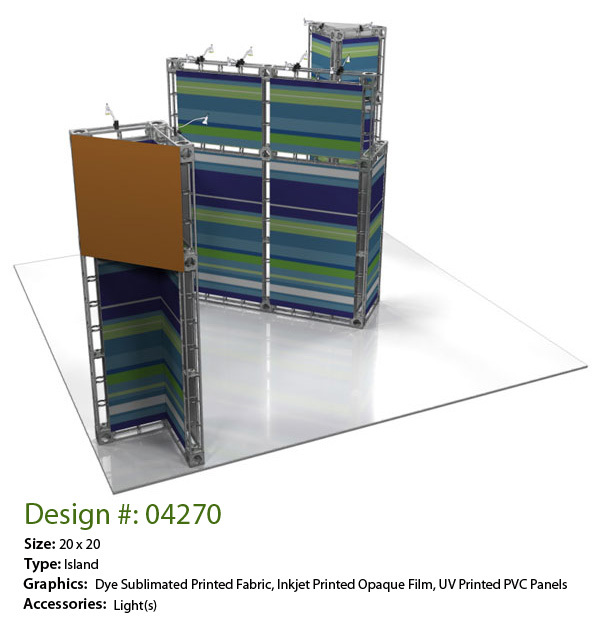 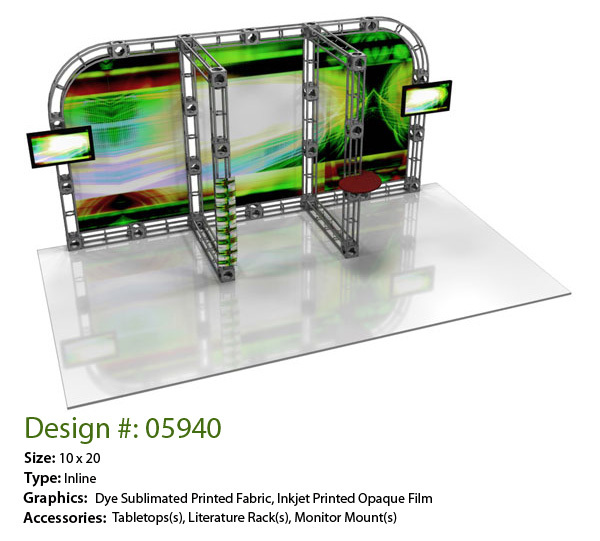 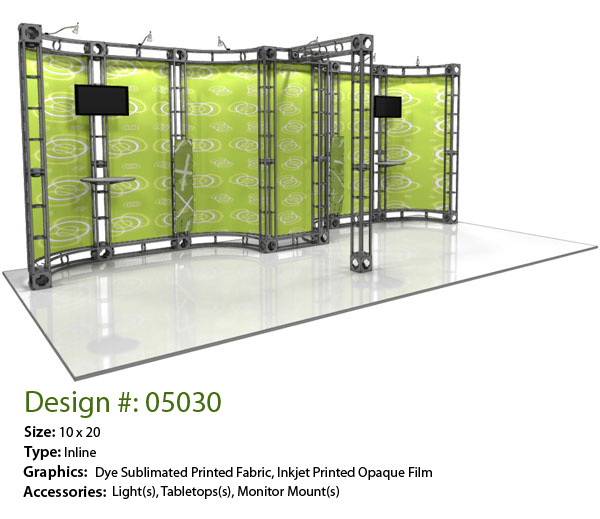 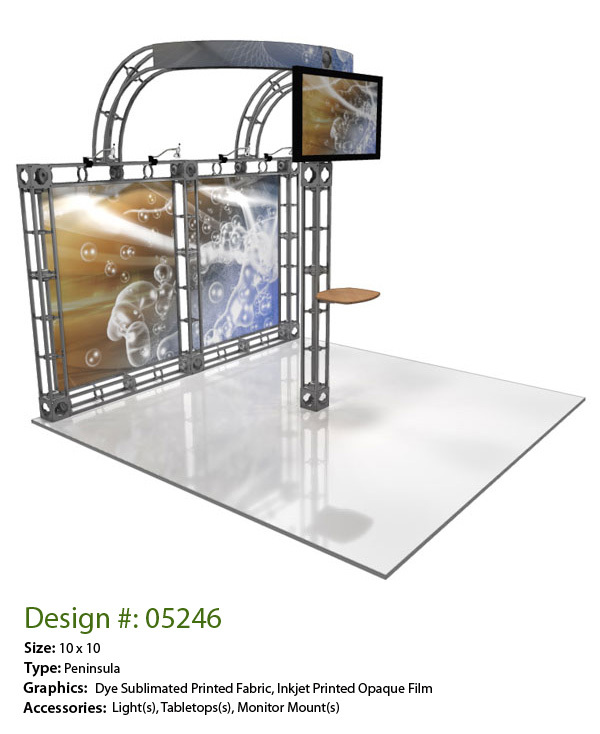 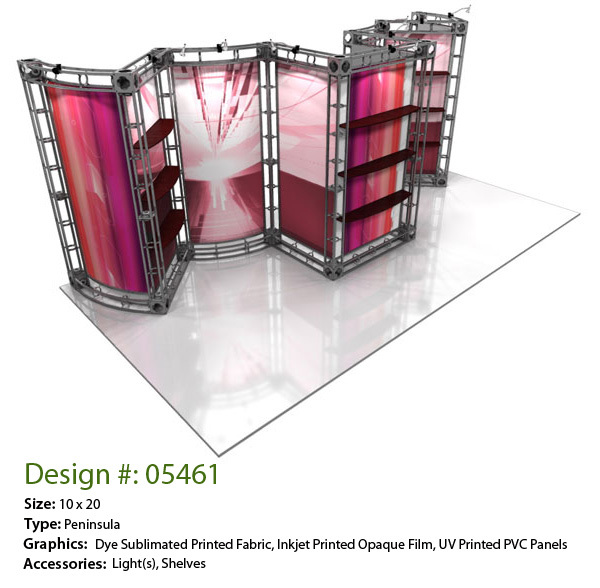 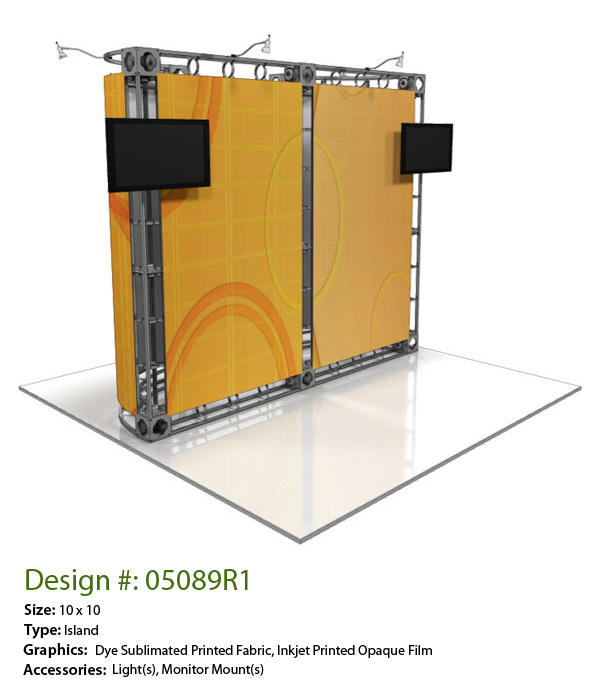 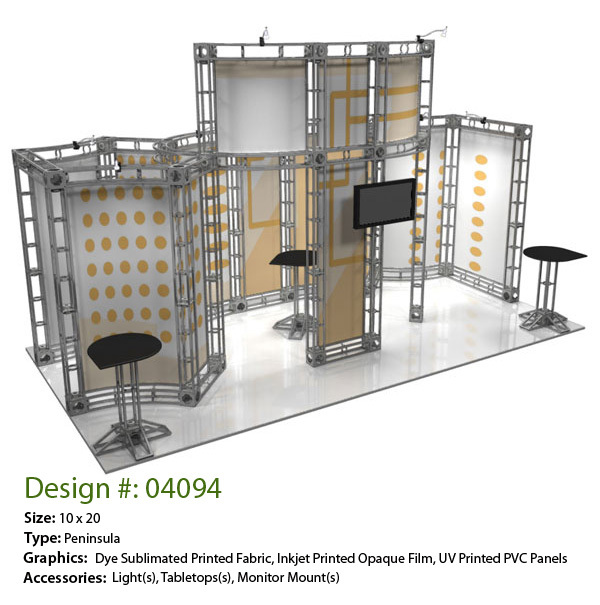 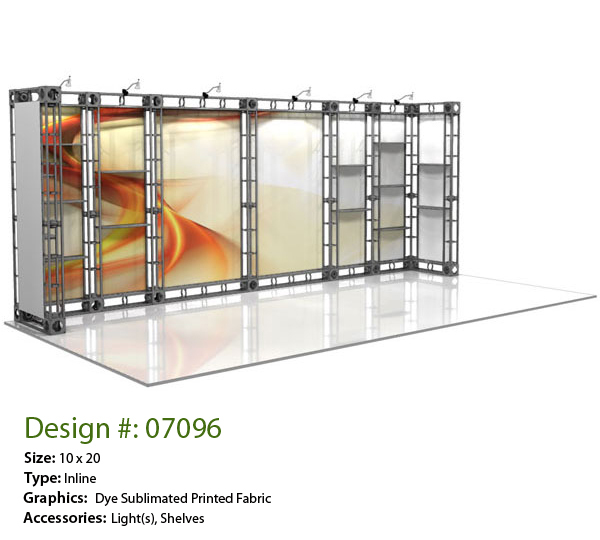 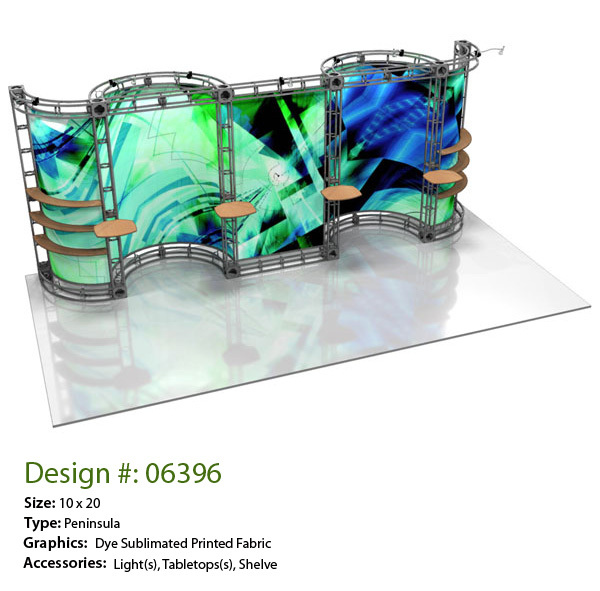 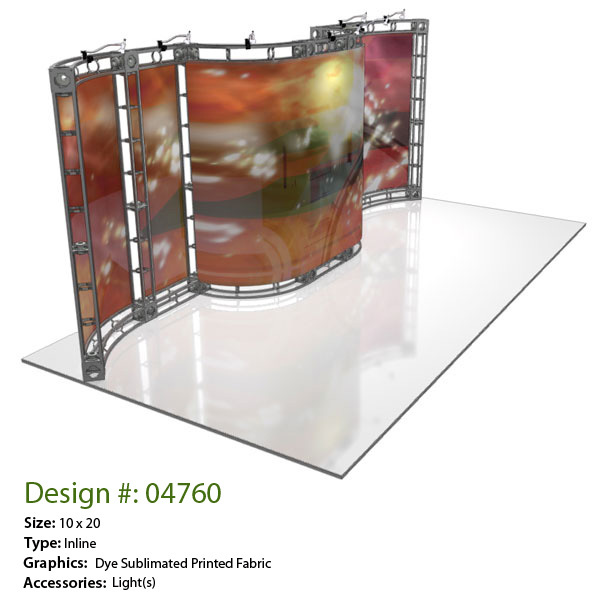 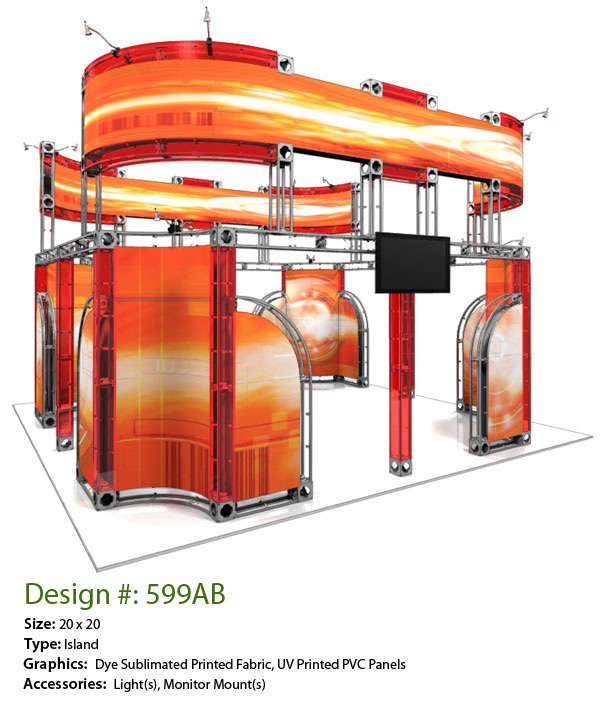 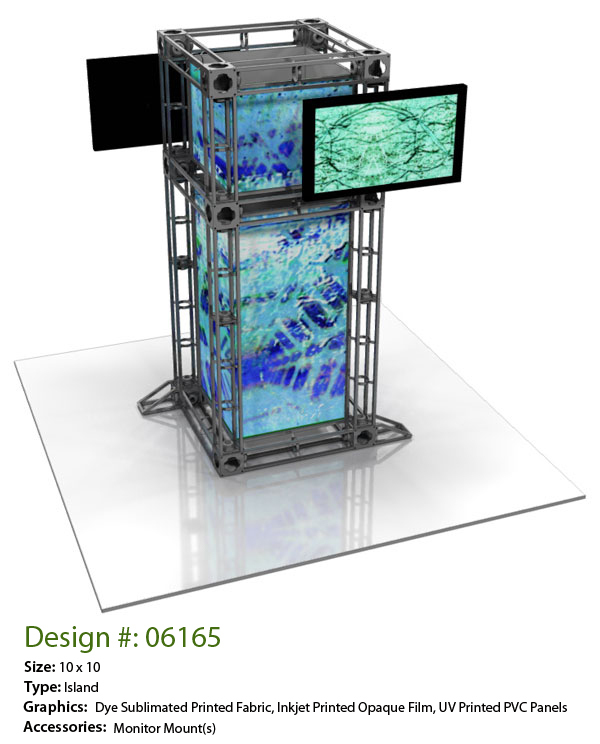 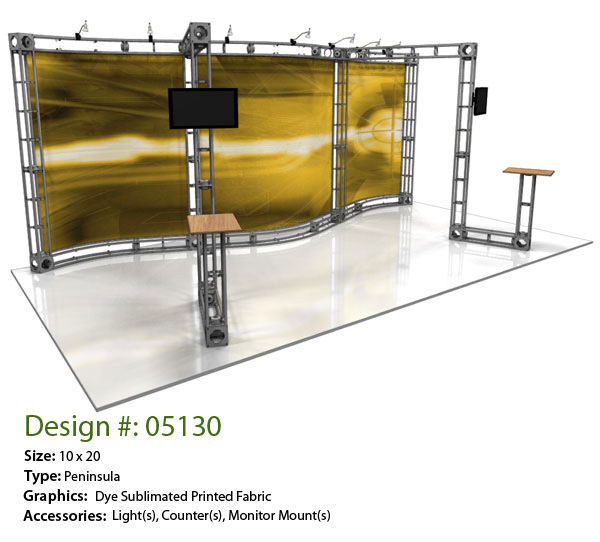 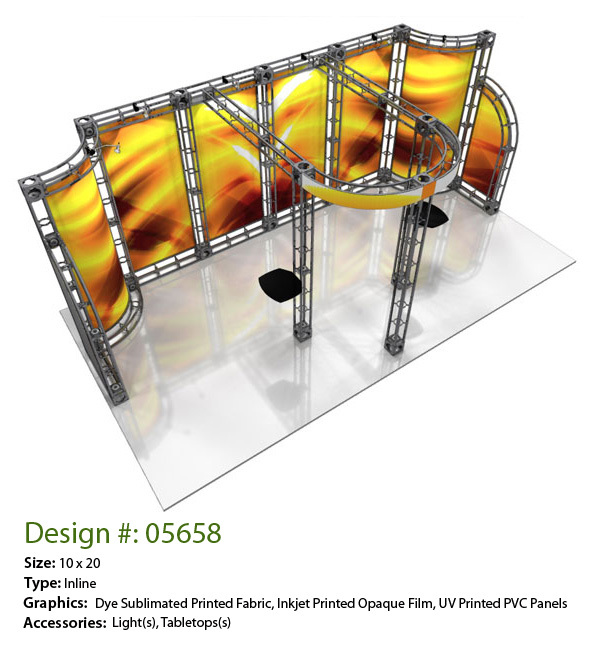 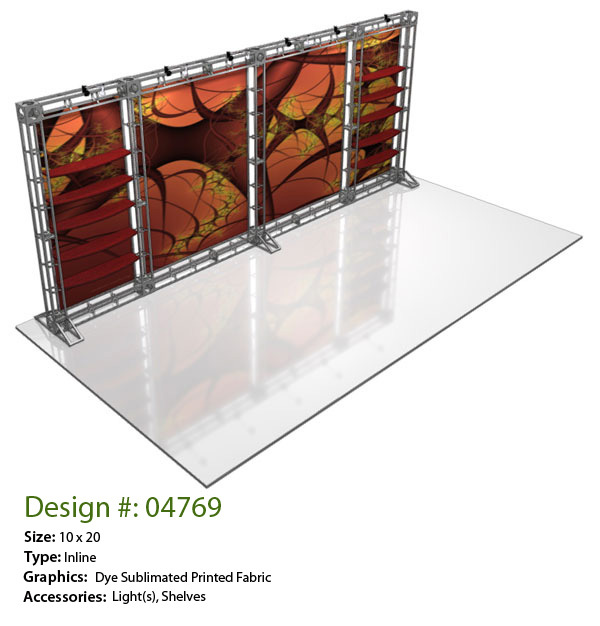 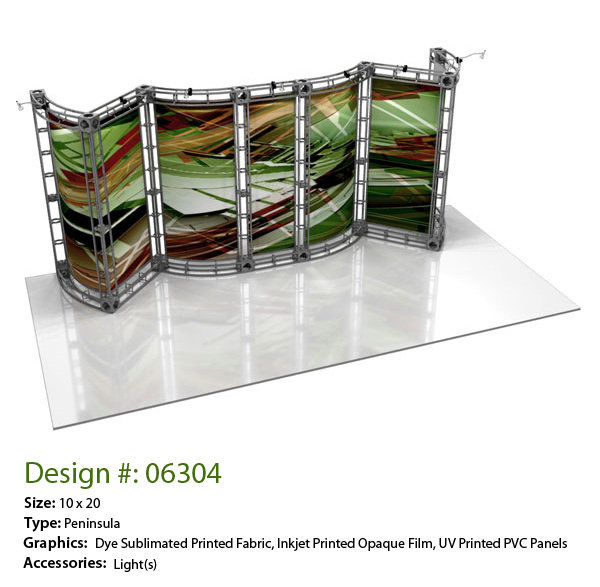 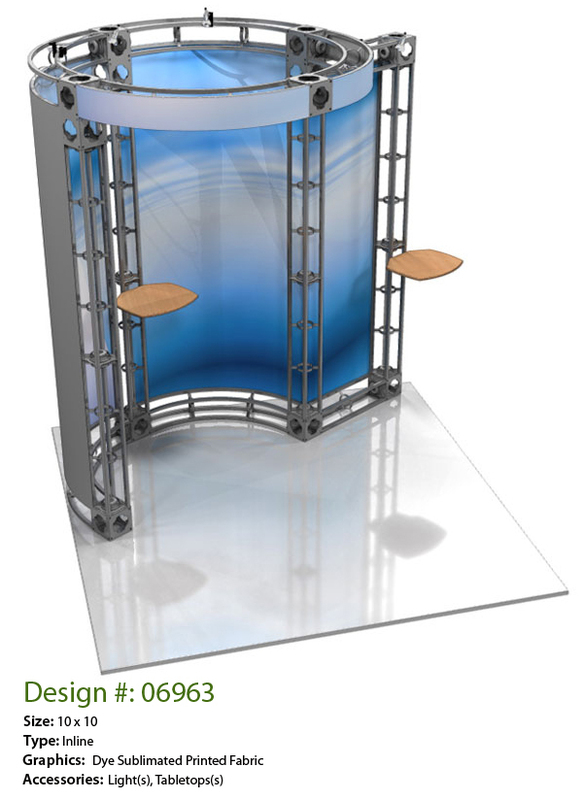 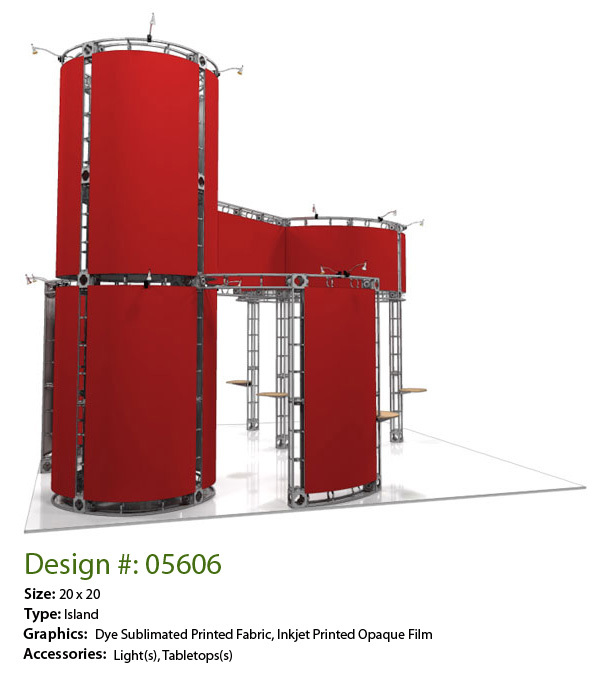 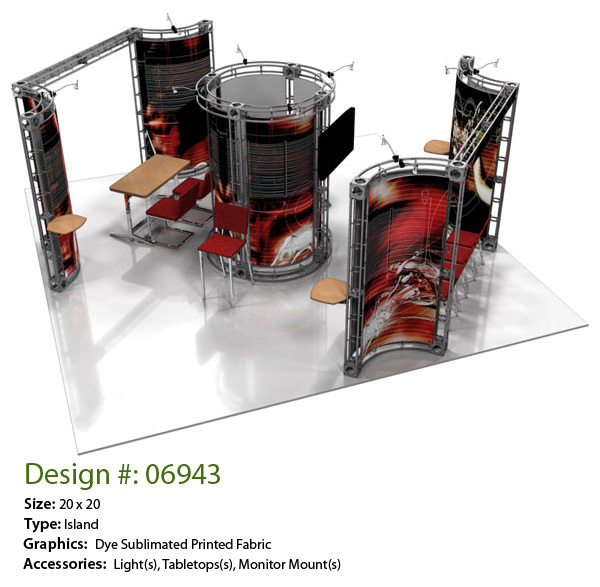 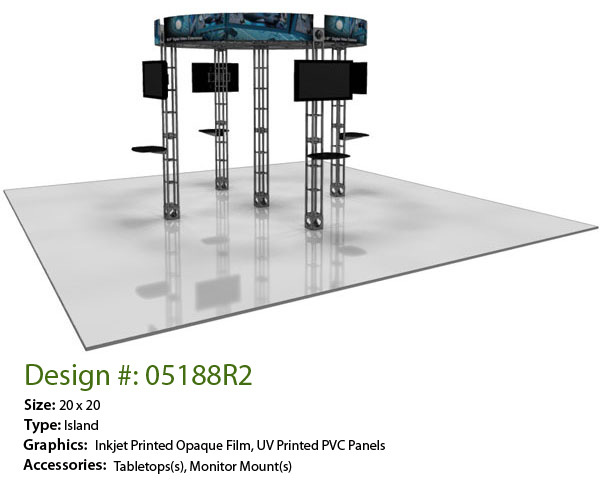 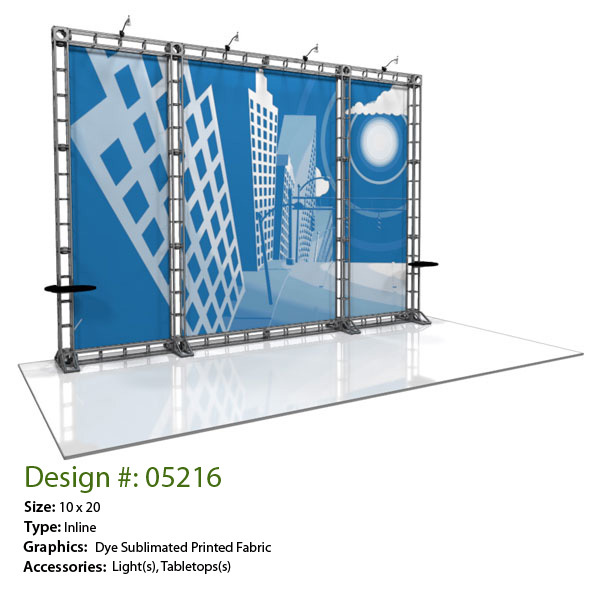 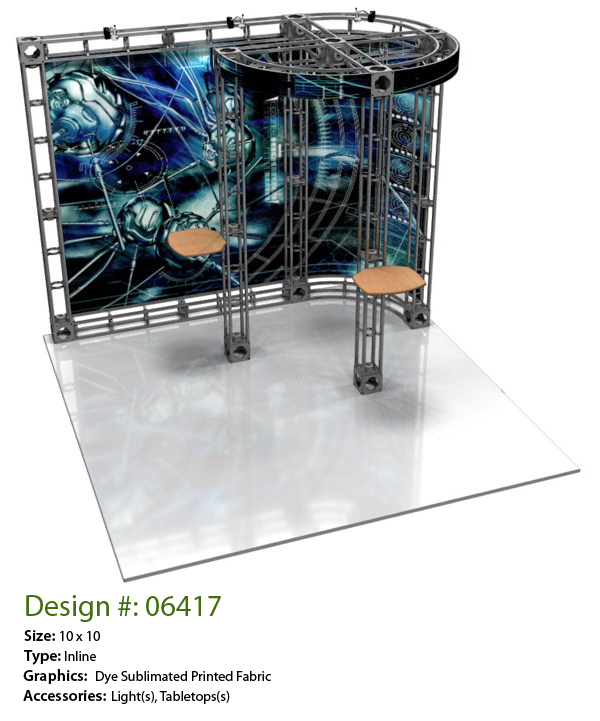 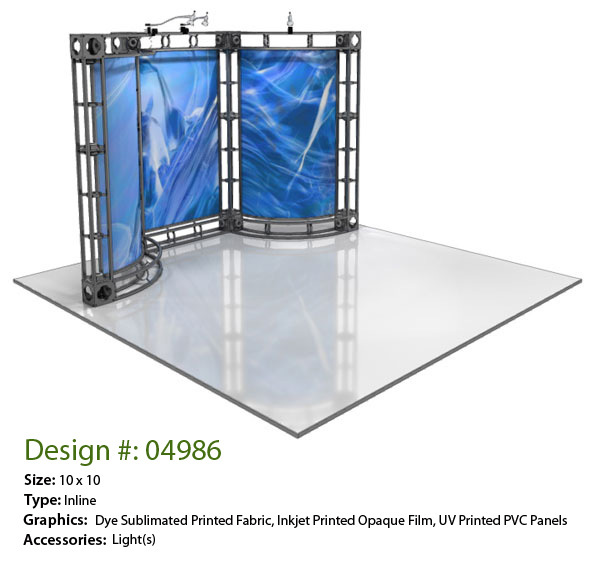 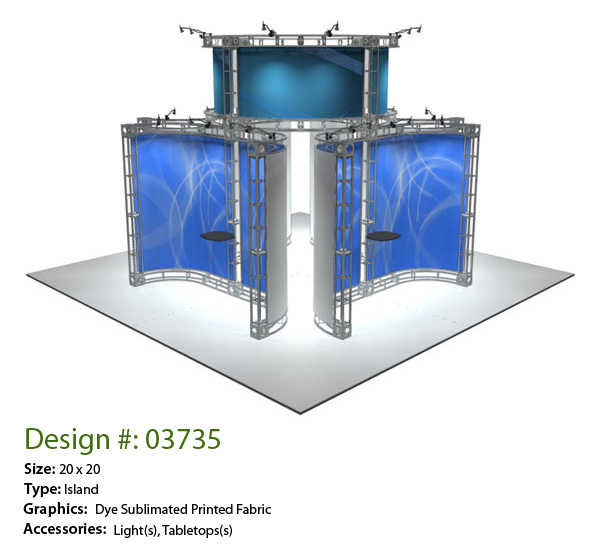 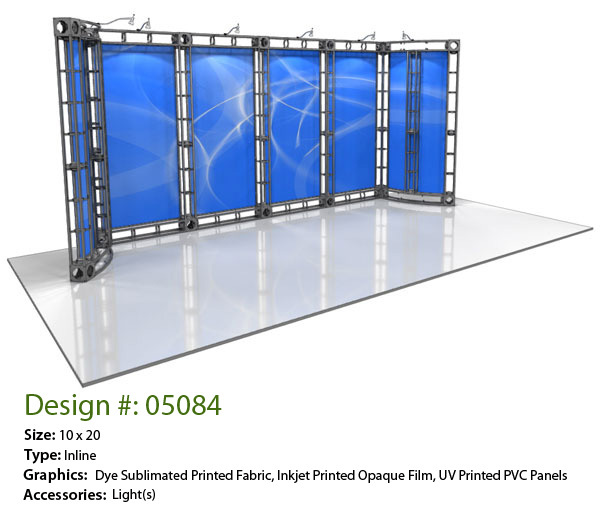 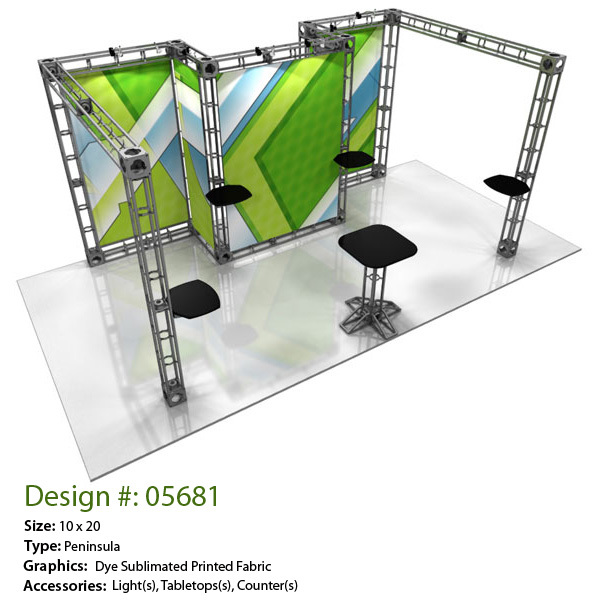 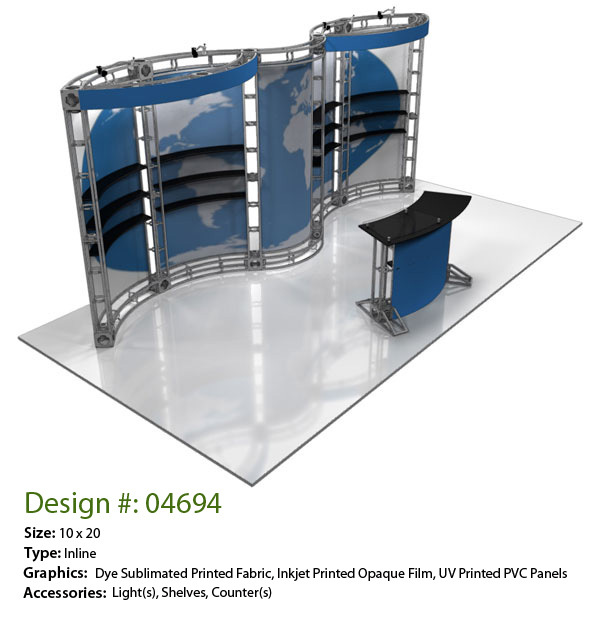 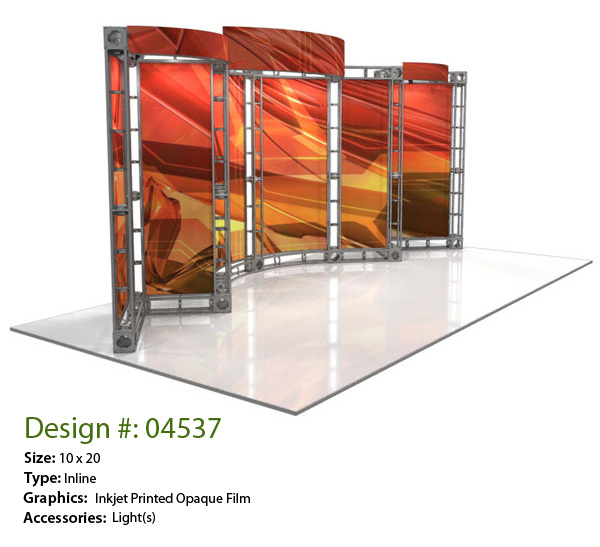 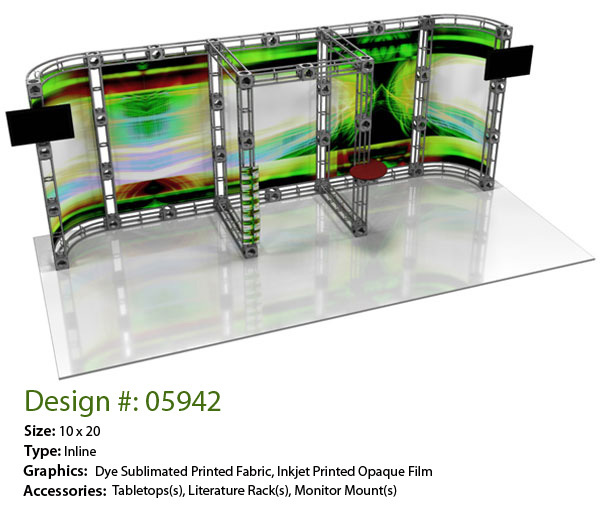 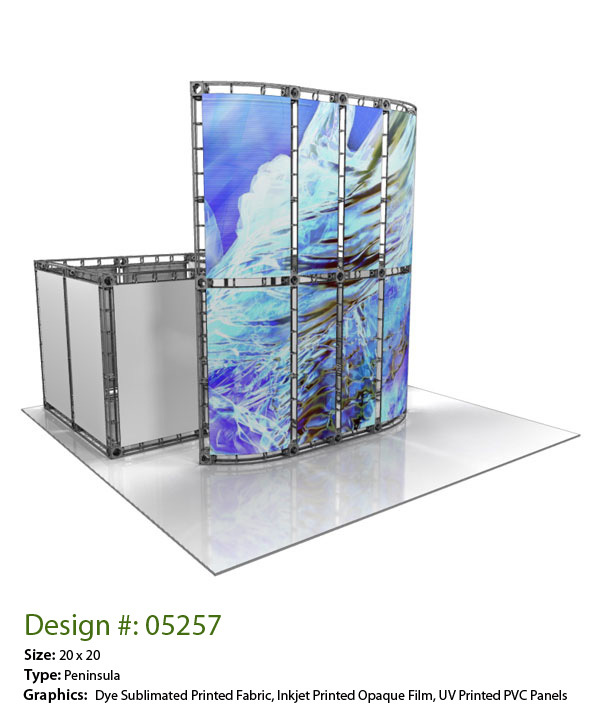 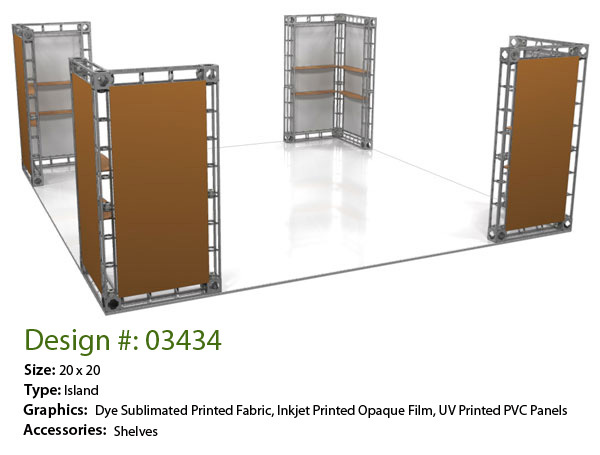 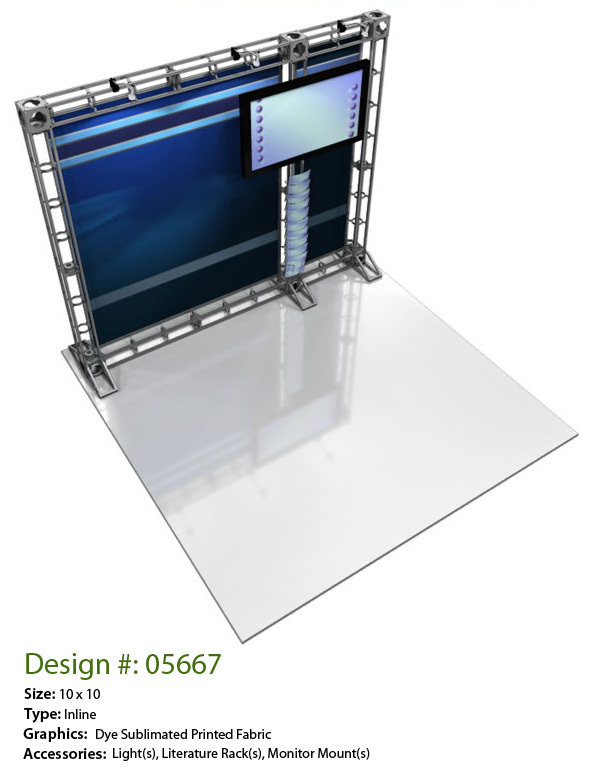 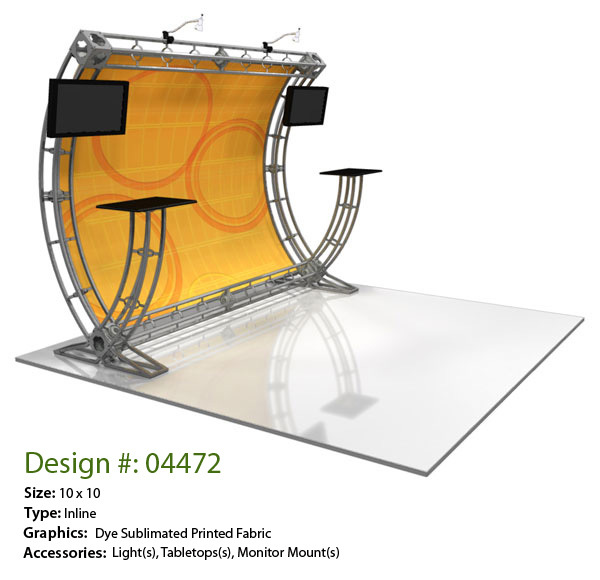 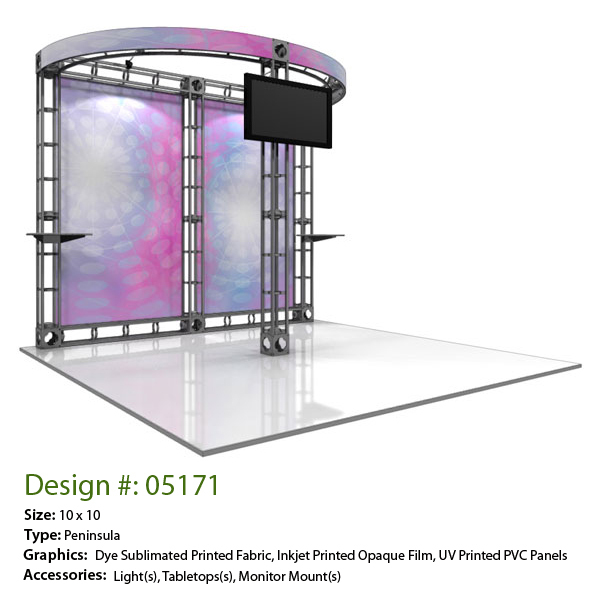 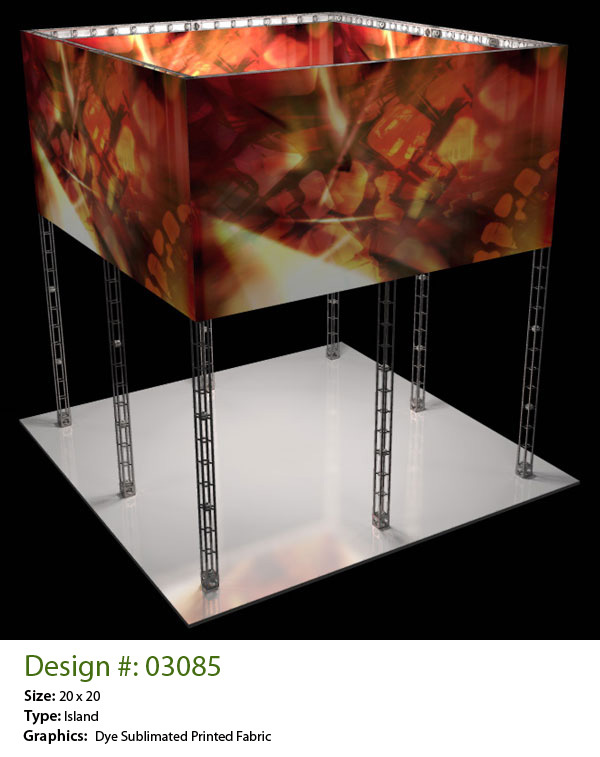 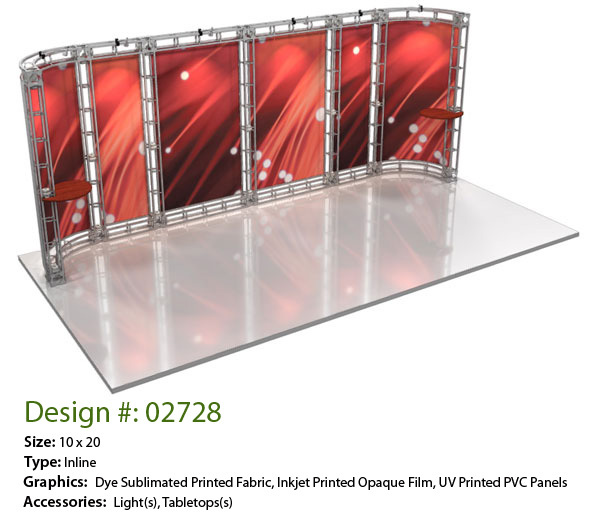 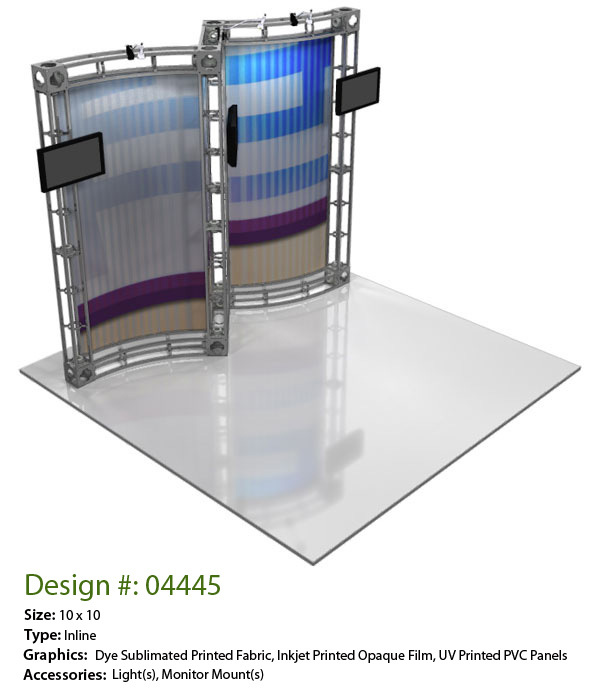 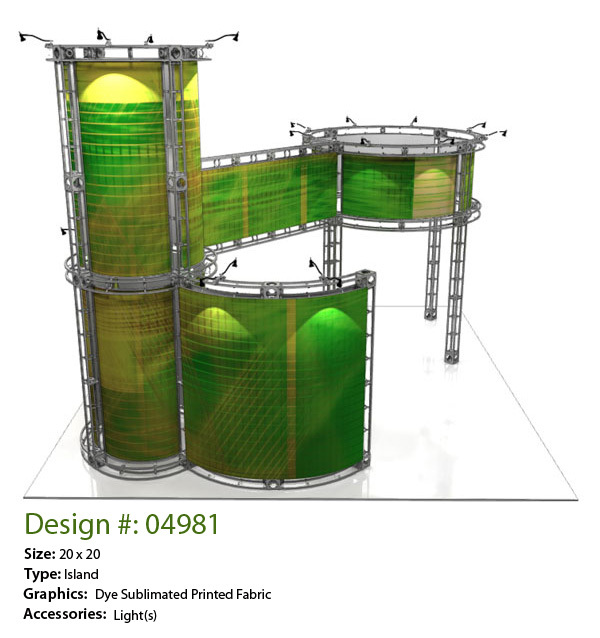 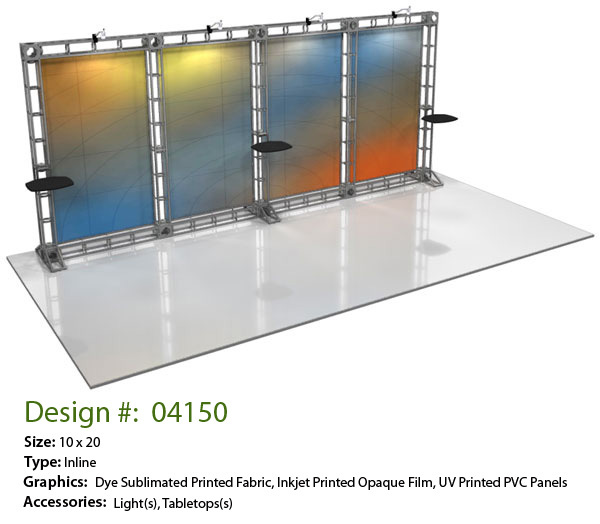 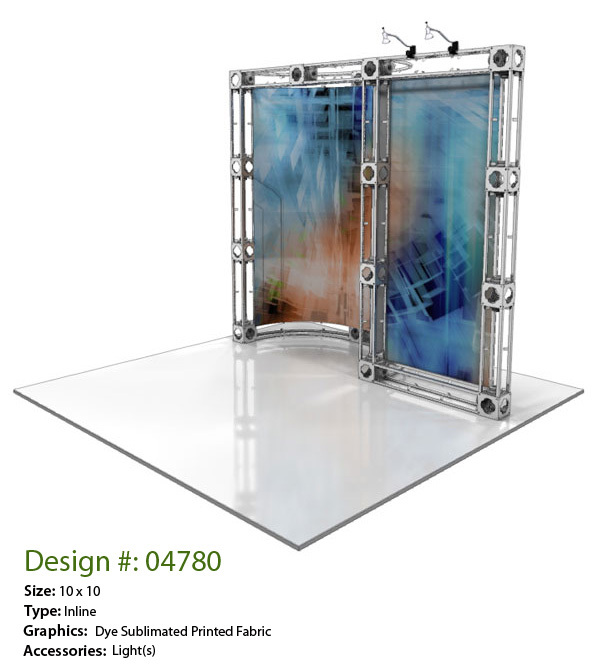 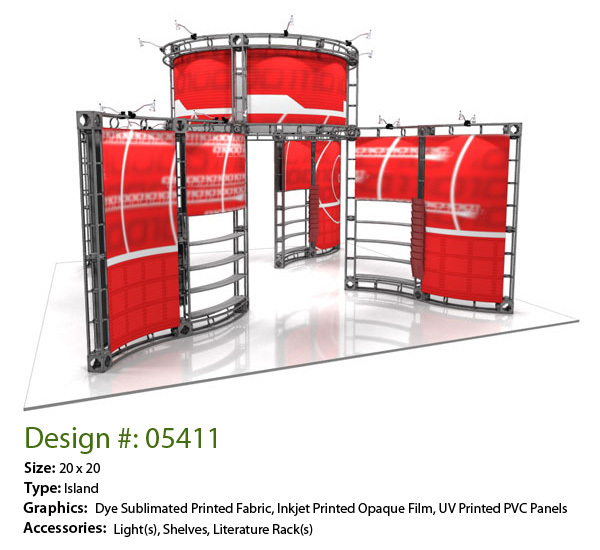 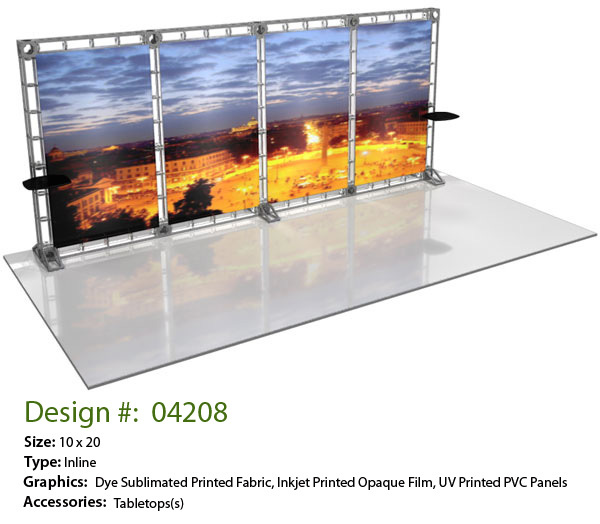 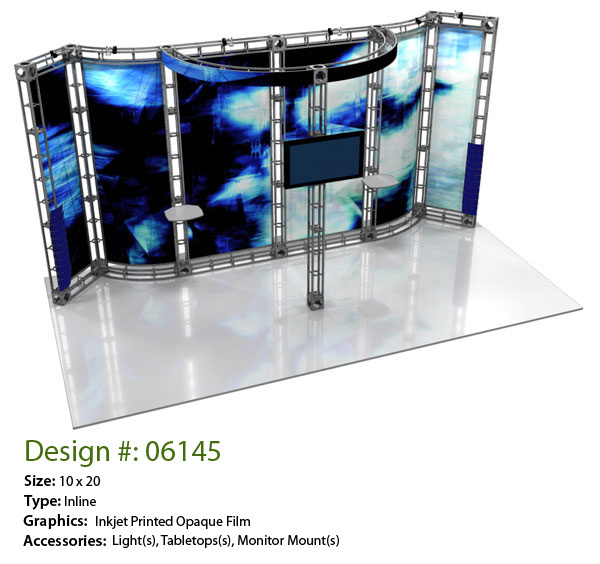 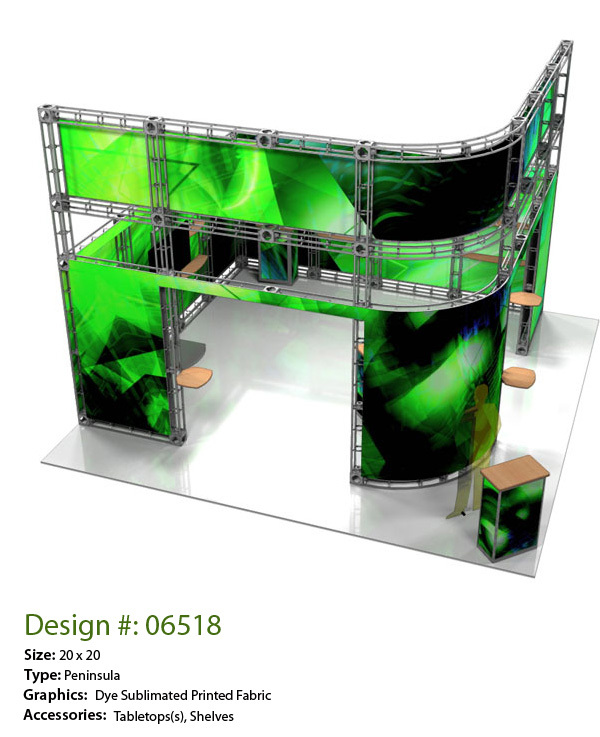 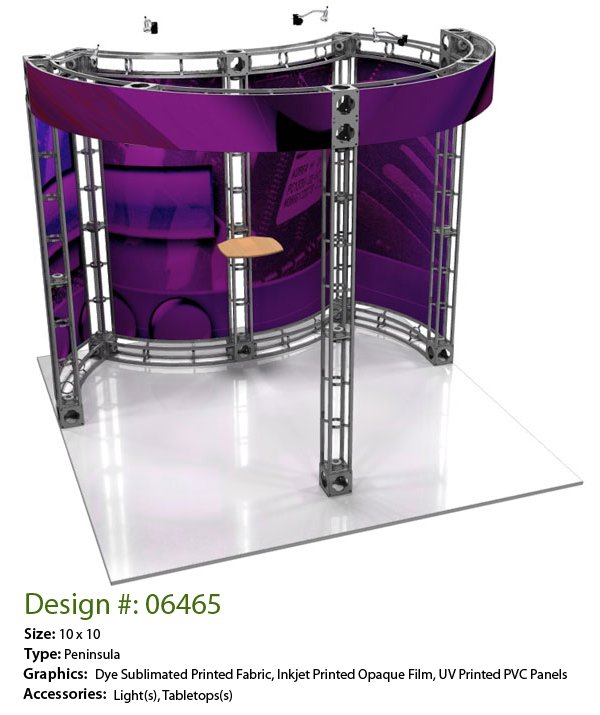 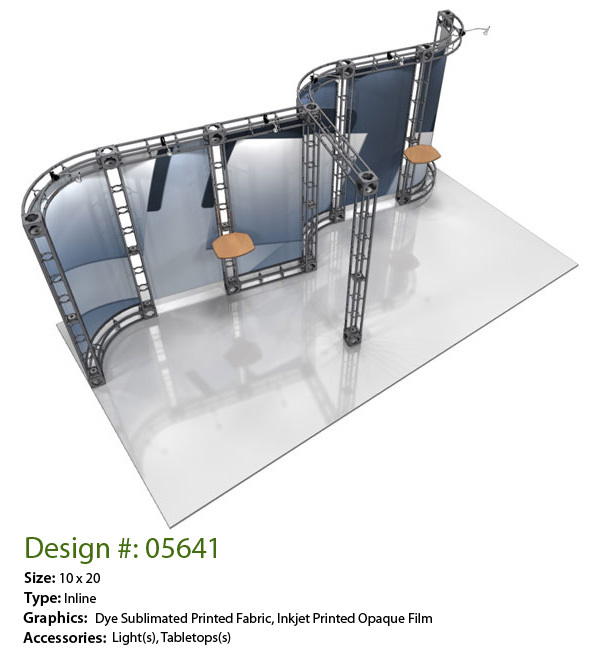 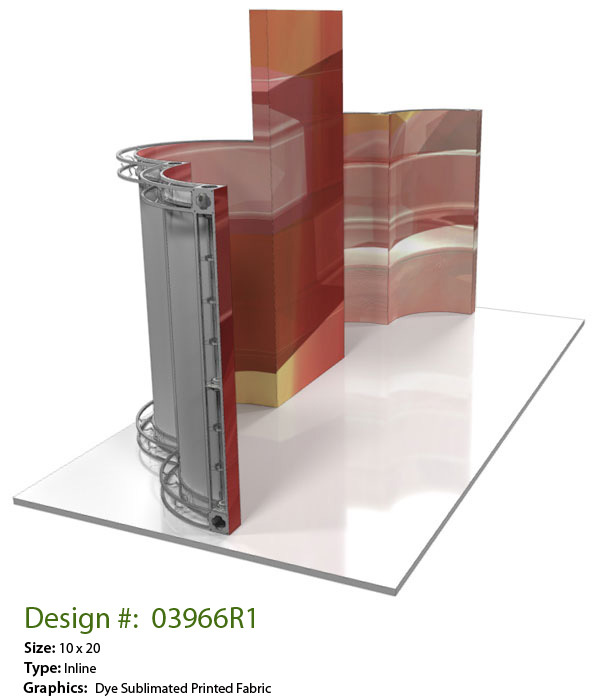 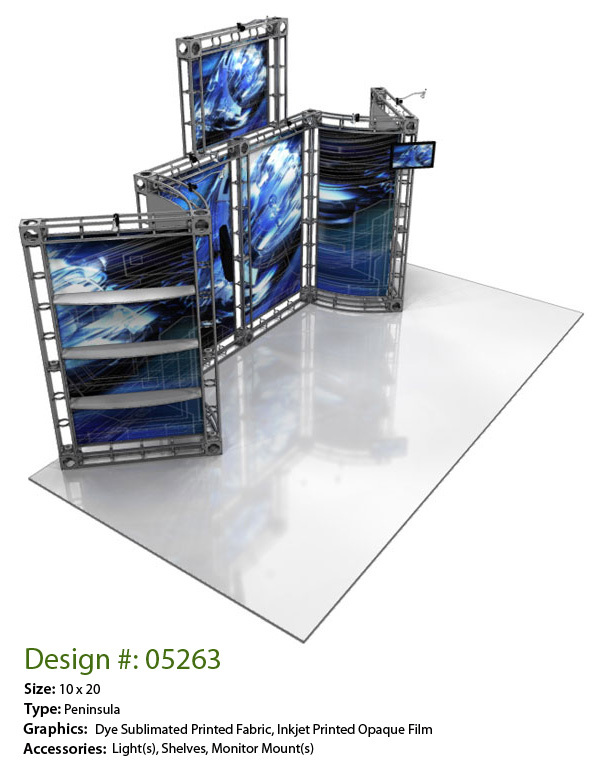 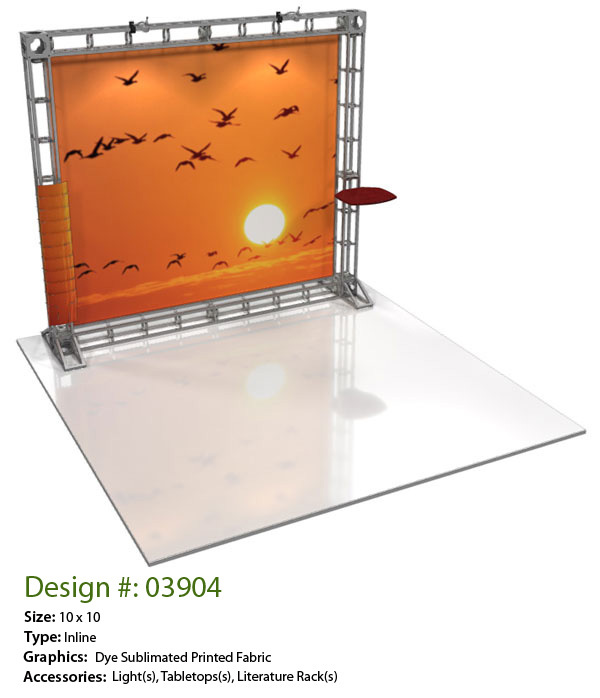 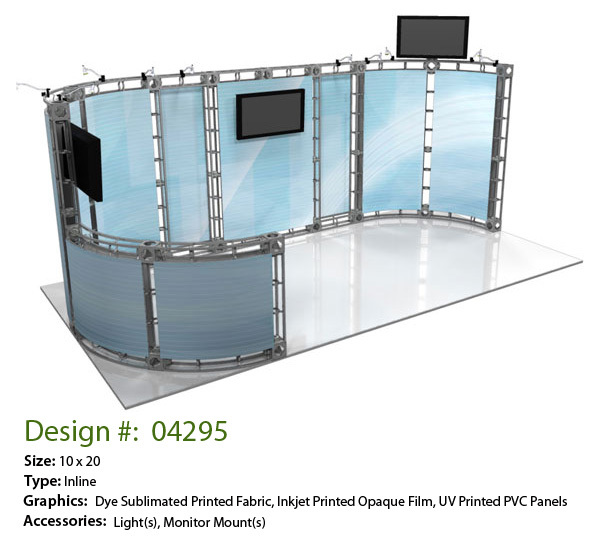 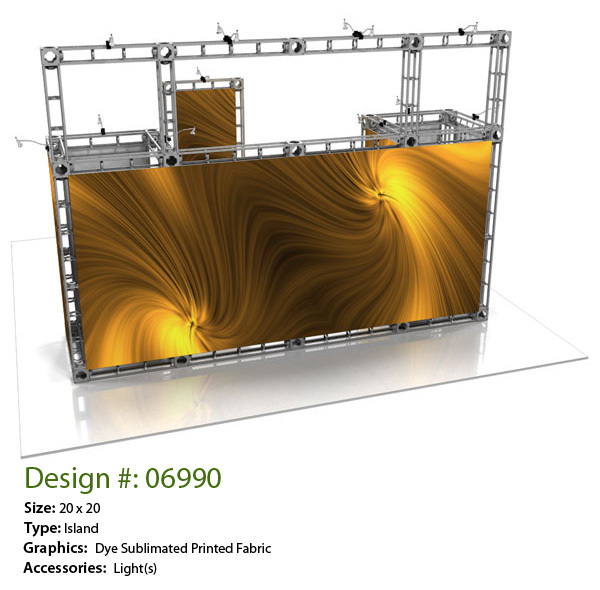 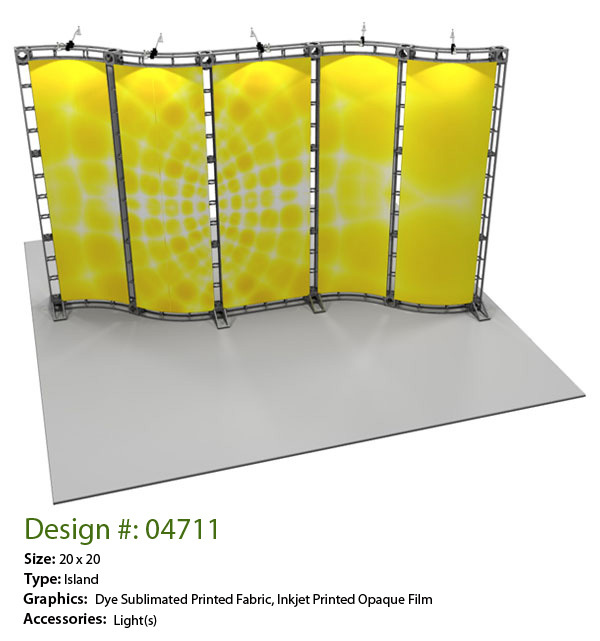 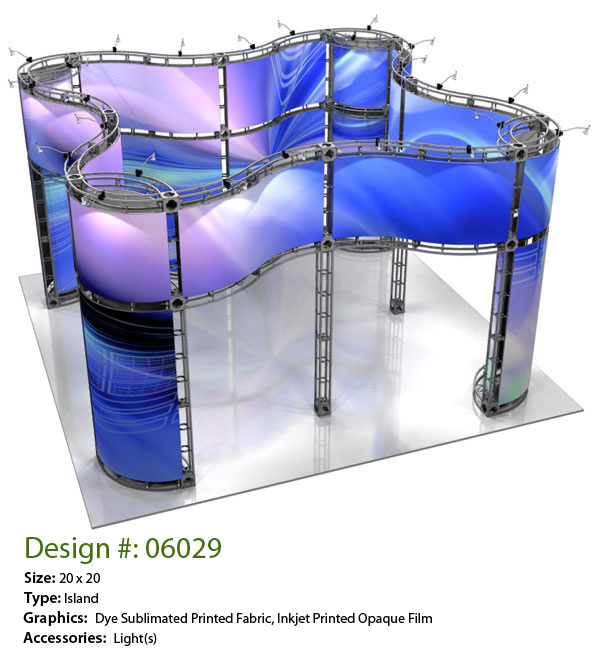 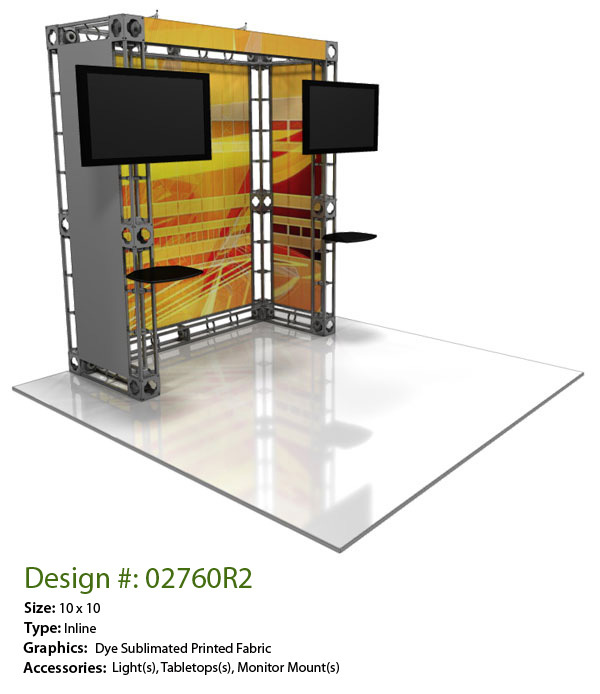 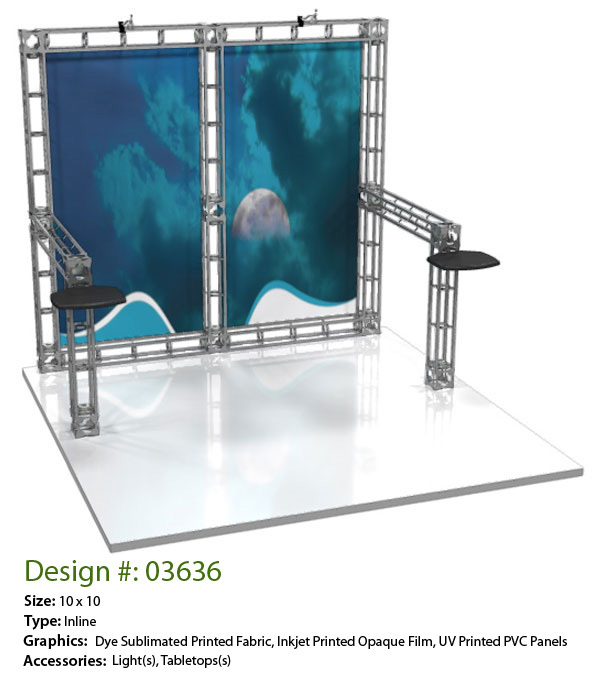 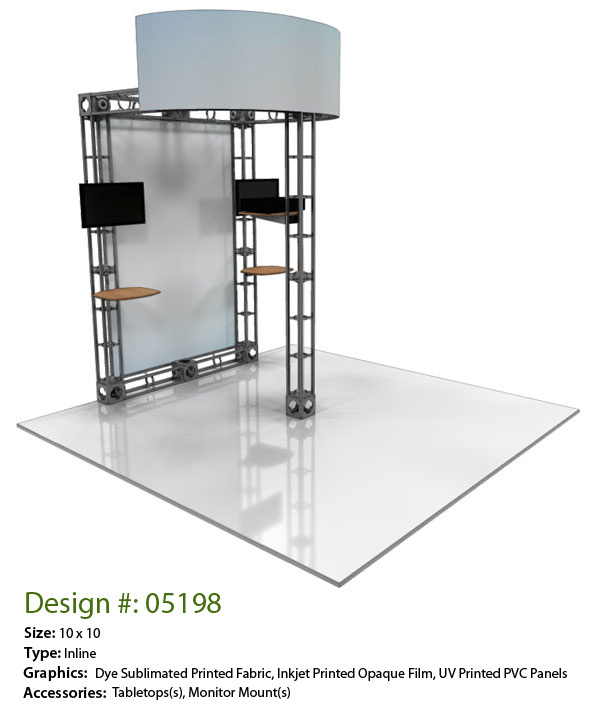 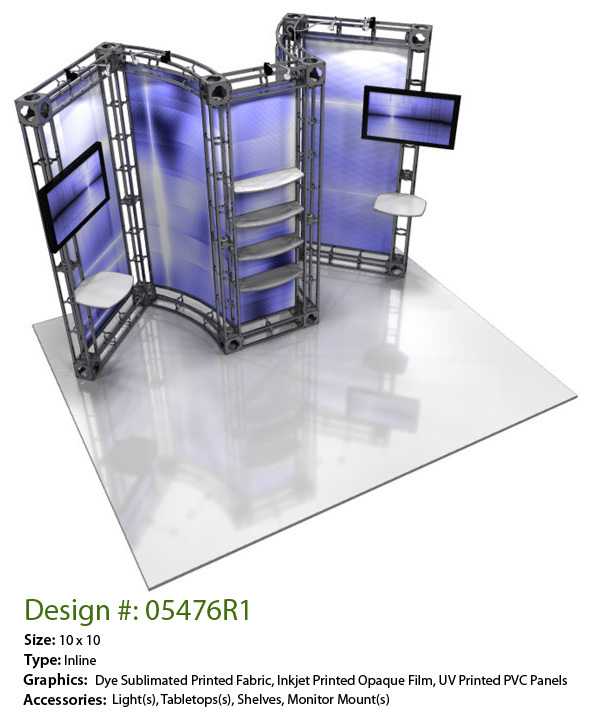 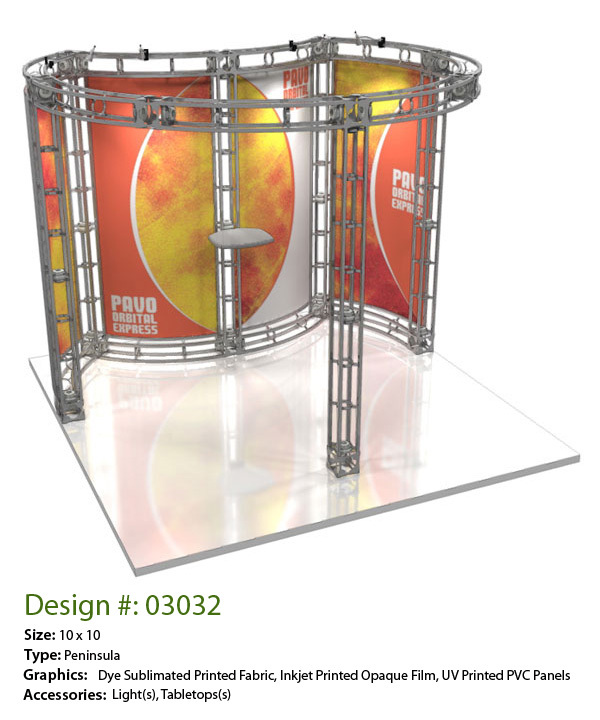 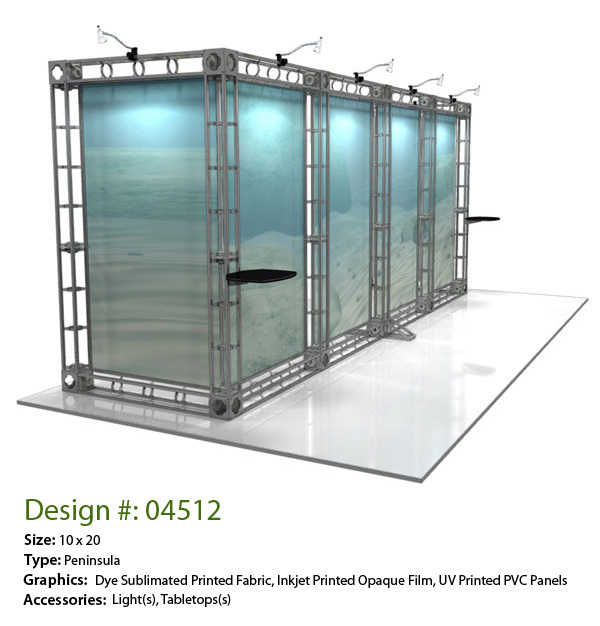 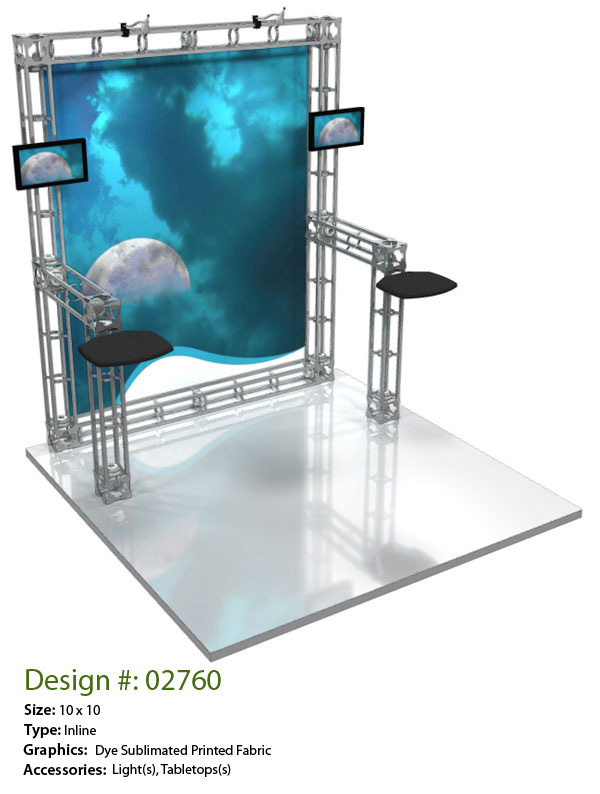 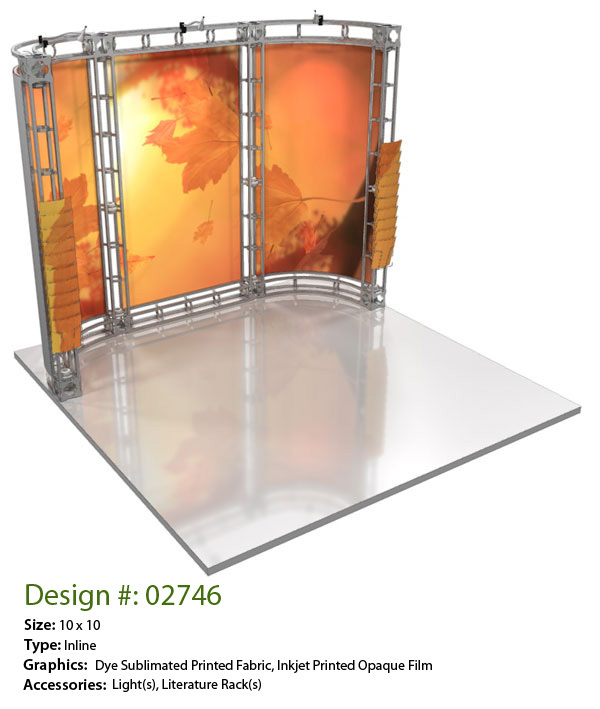 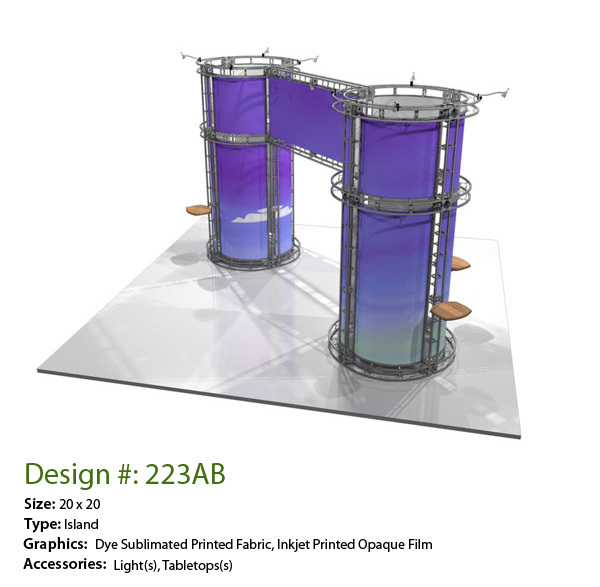 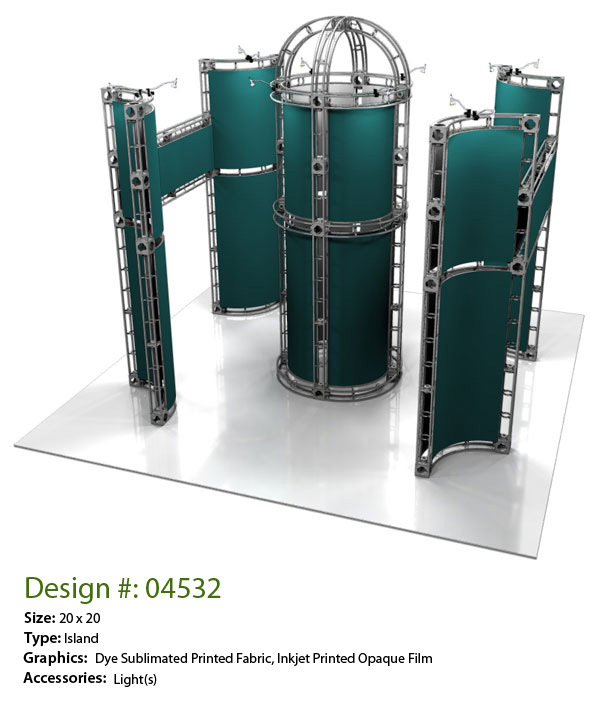 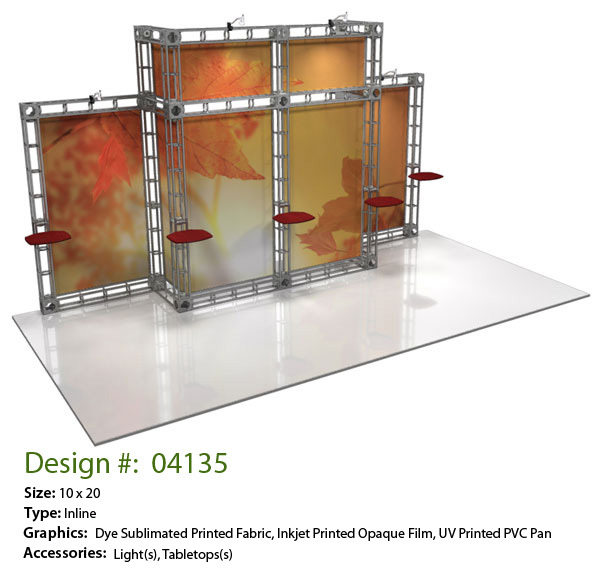 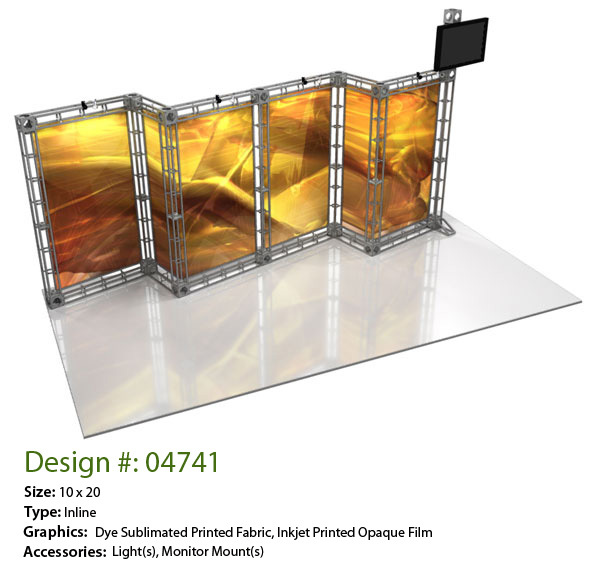 APG Exhibits offers the ability to create completely custom trade show booths from the ground up. 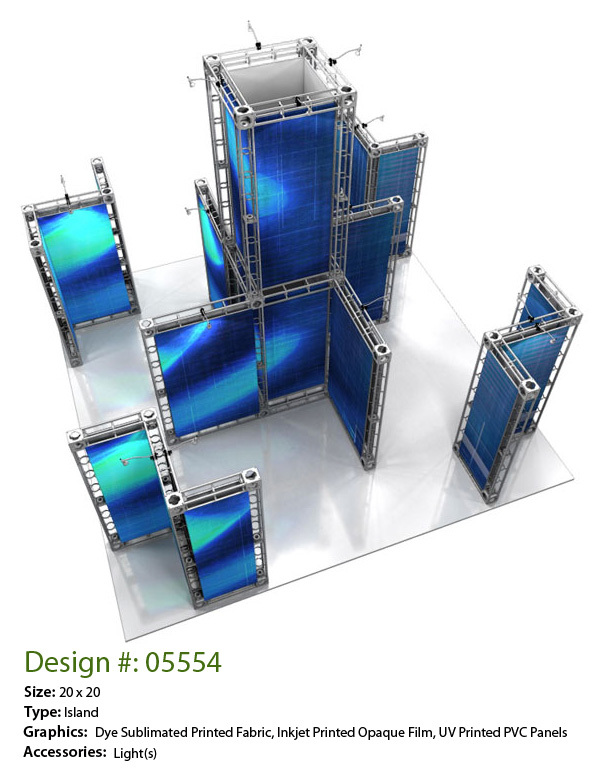 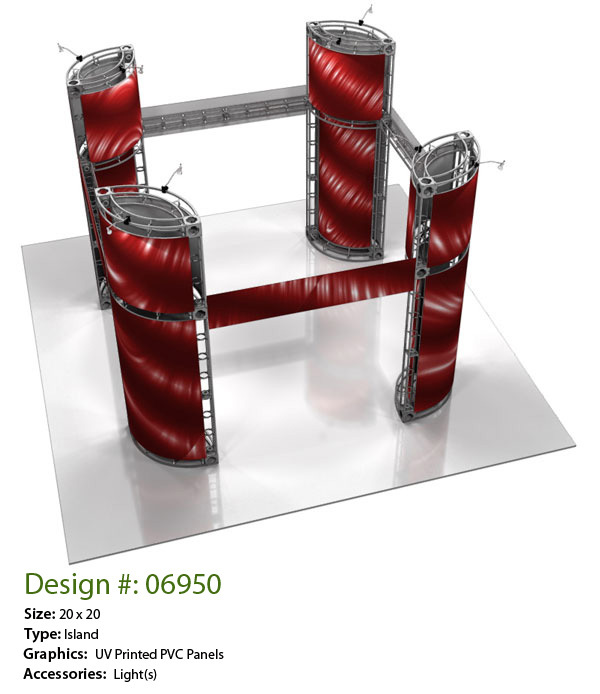 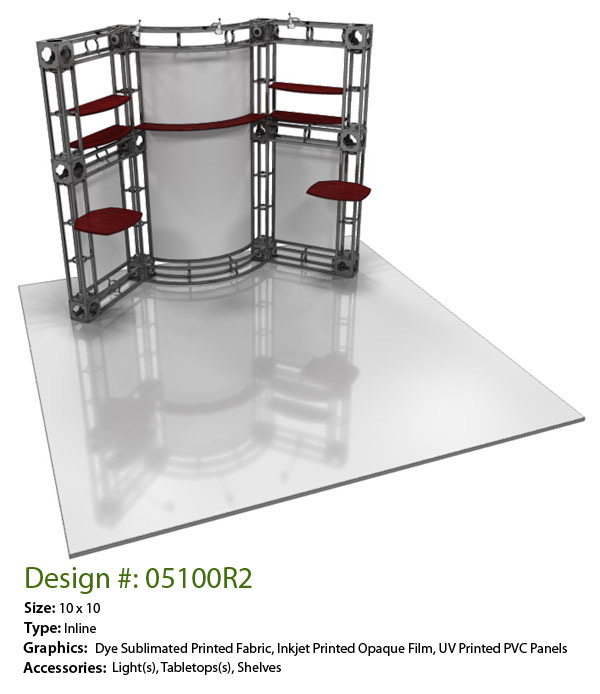 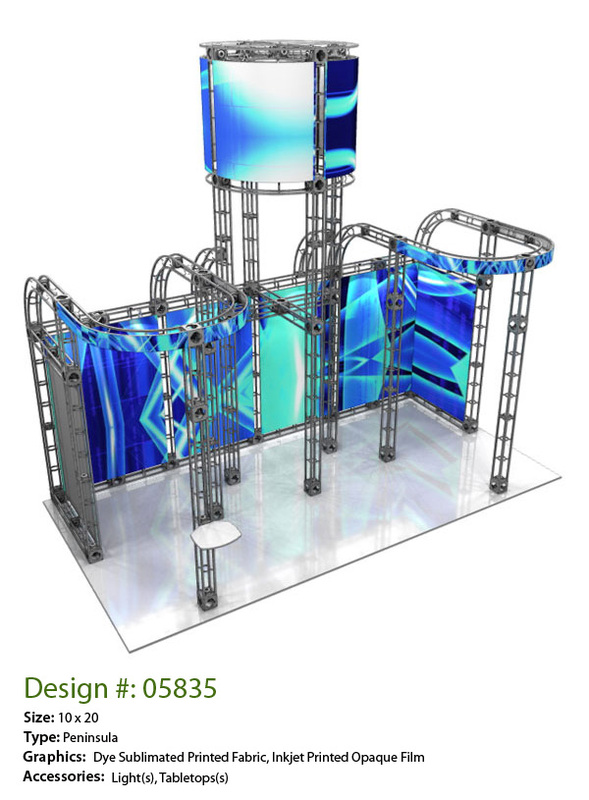 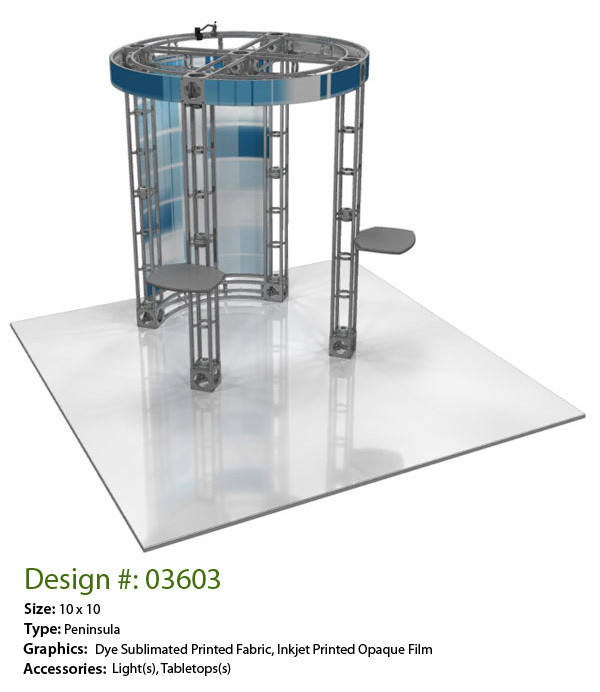 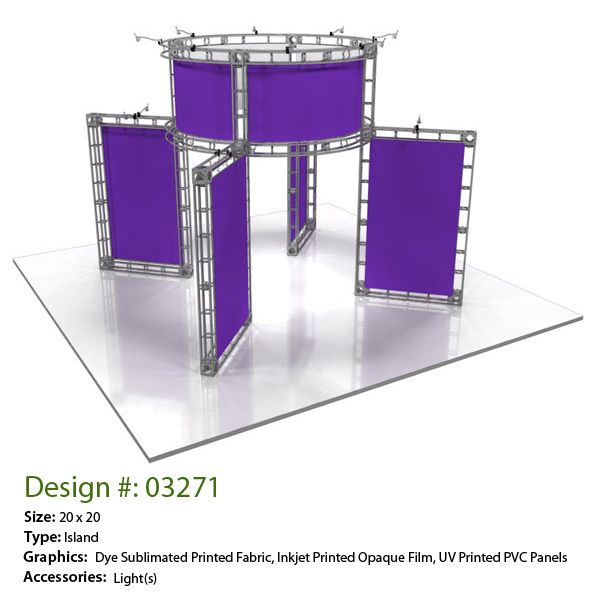 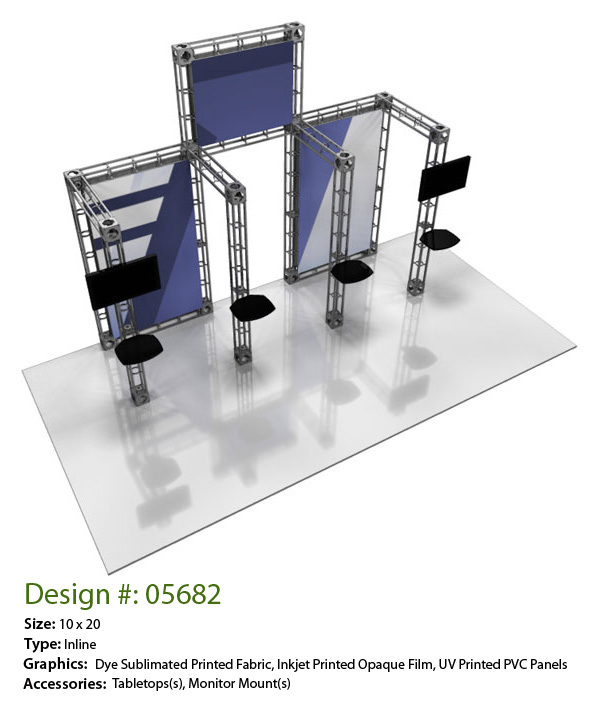 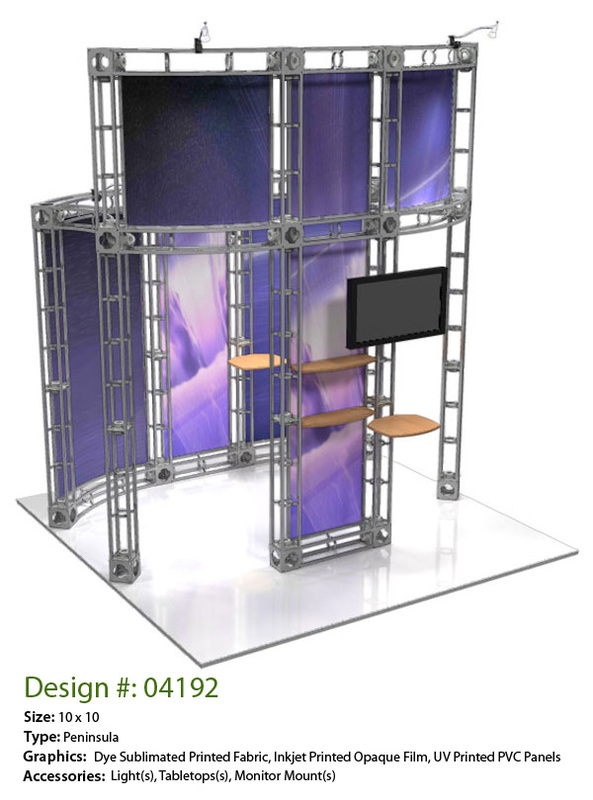 We utilize a modular truss-based system which provides the flexibility to craft a trade show exhibit that will meet any and all of your trade show display needs, no matter how specific. 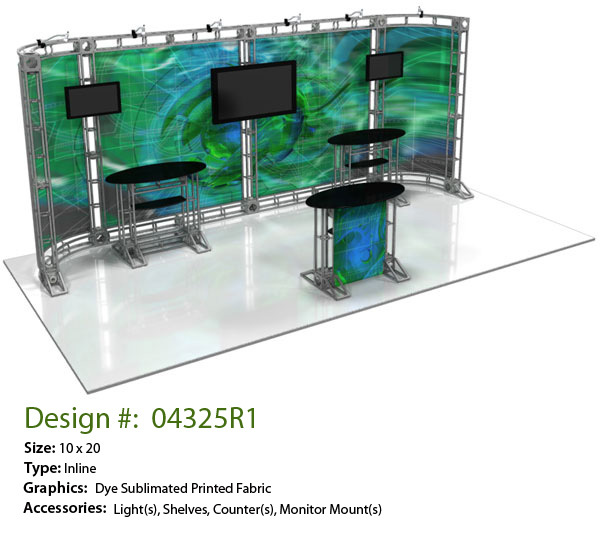 From smaller back walls to giant 20' x 20' (and larger) island exhibits, we have you covered. 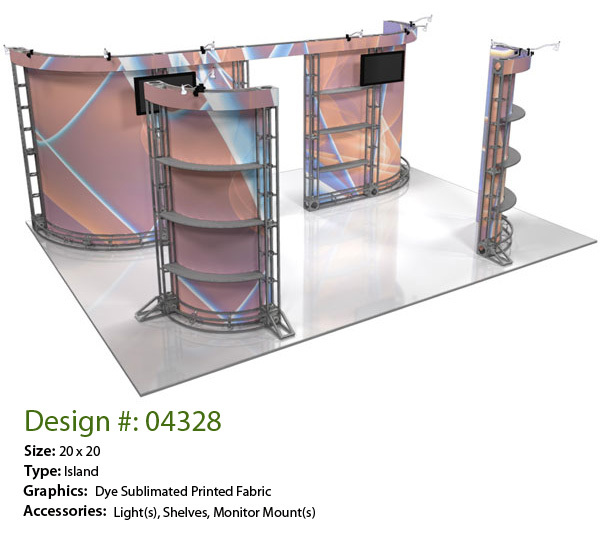 Available options include integrated flat-screen monitor mounts, lighting, shelving, and multi-level construction. 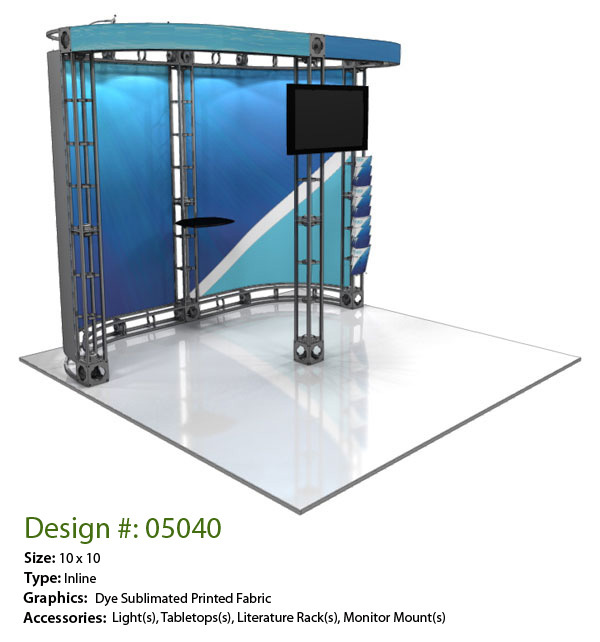 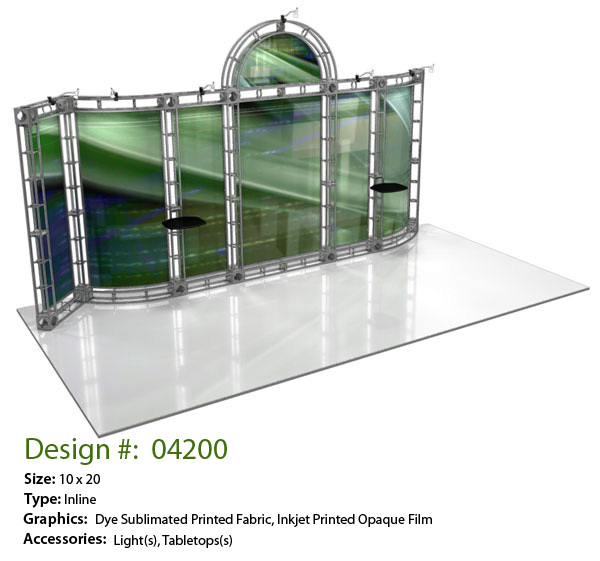 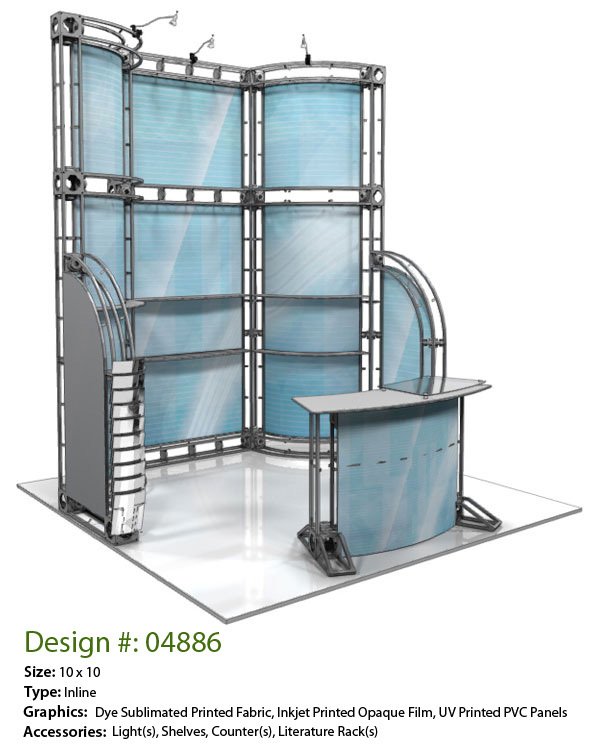 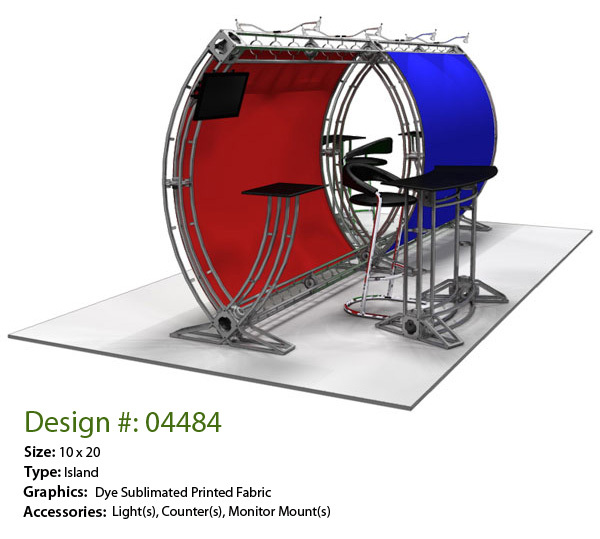 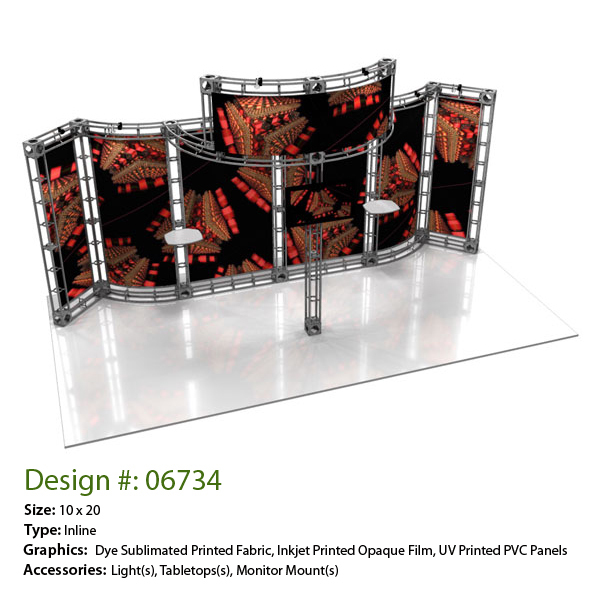 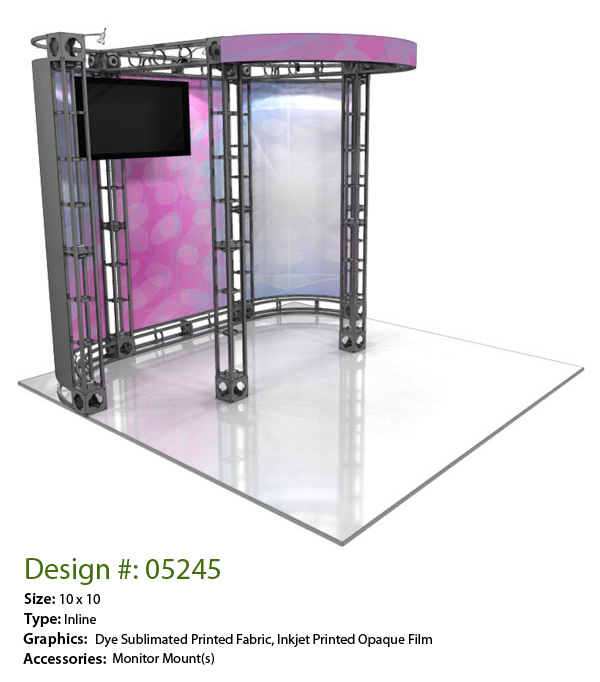 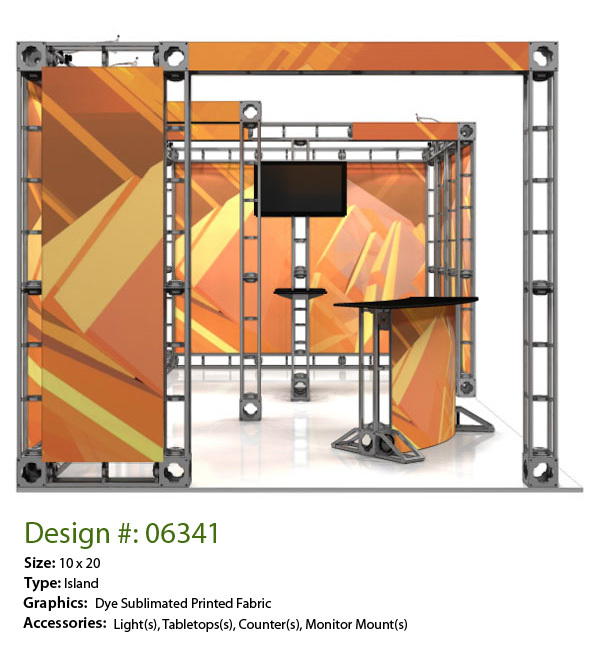 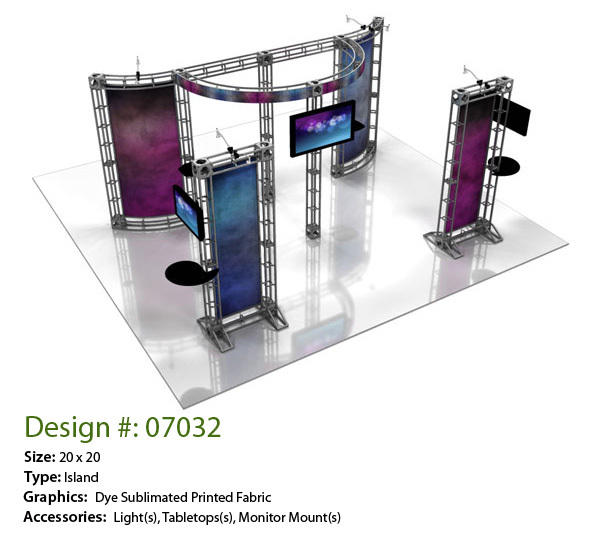 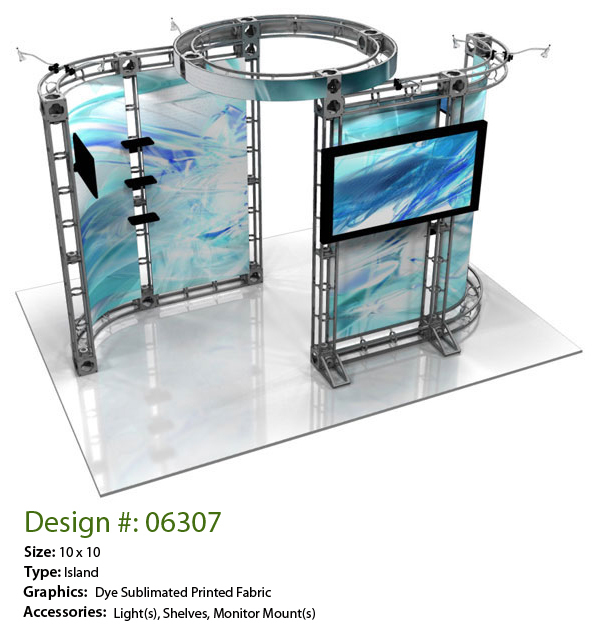 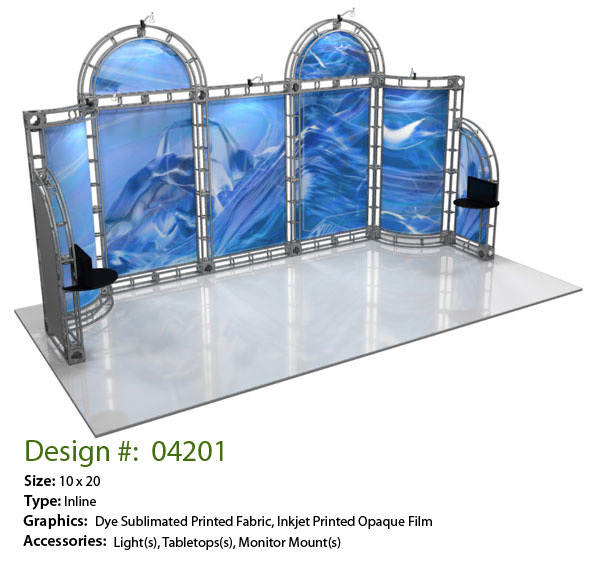 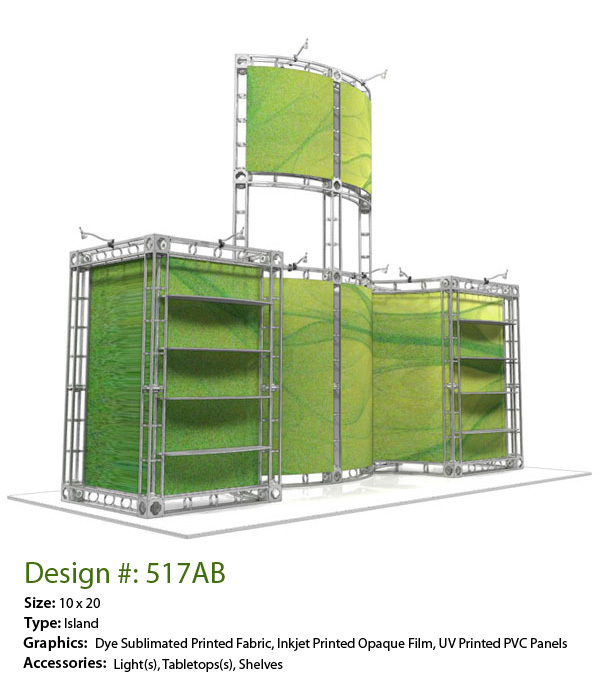 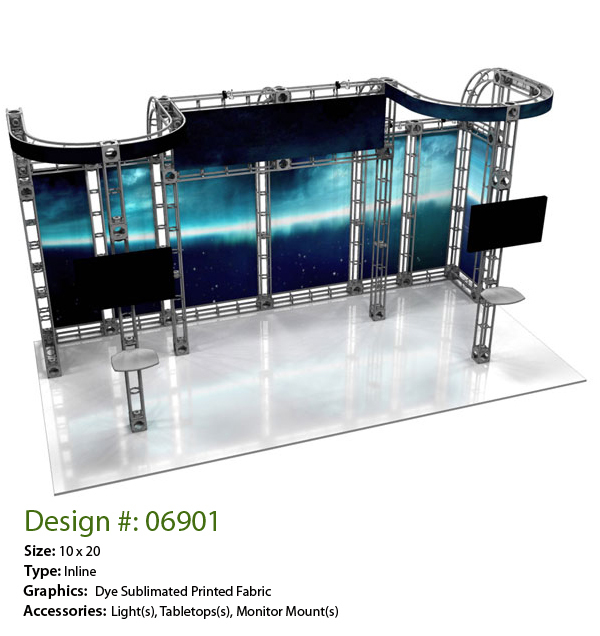 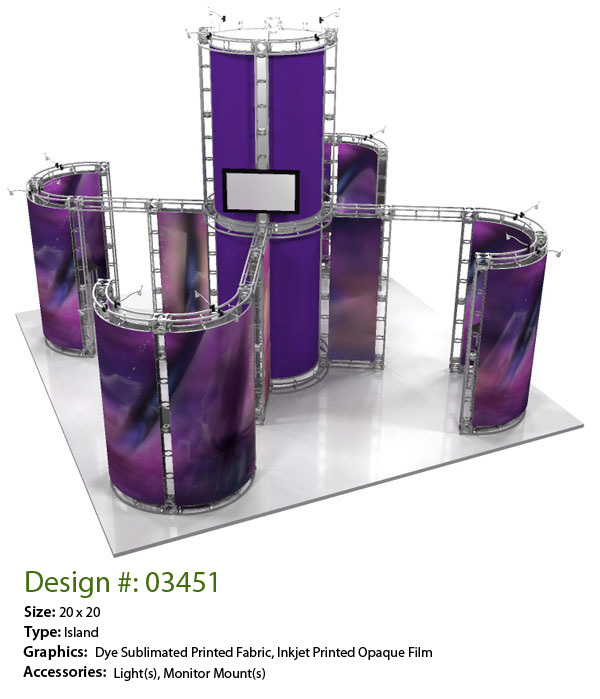 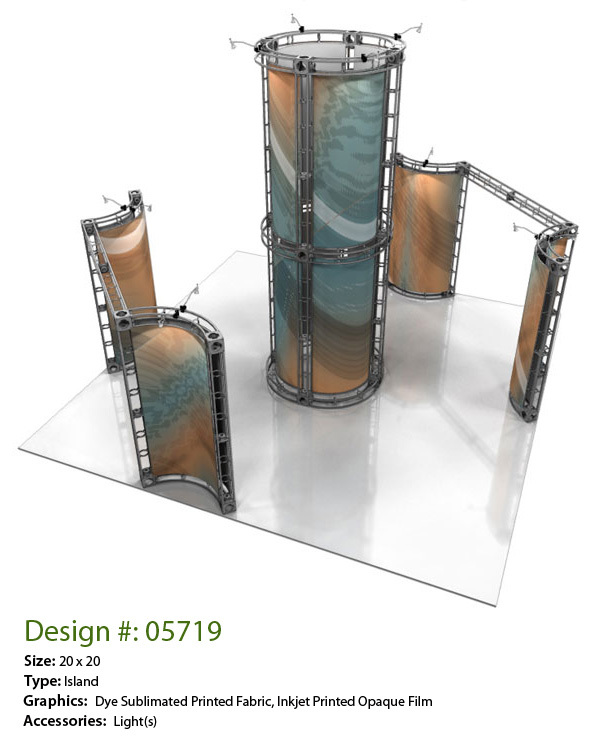 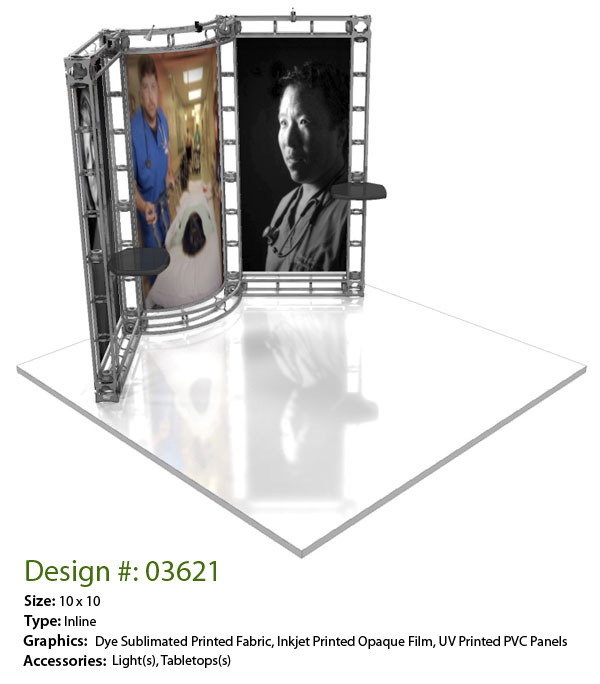 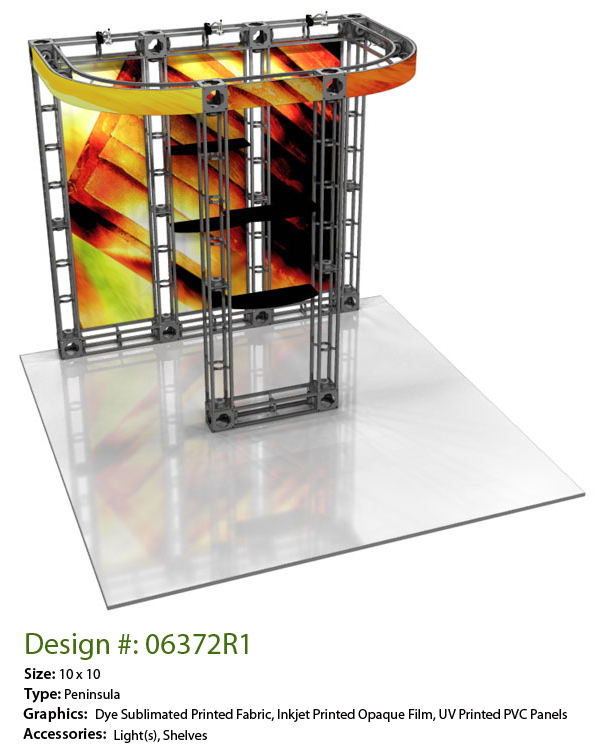 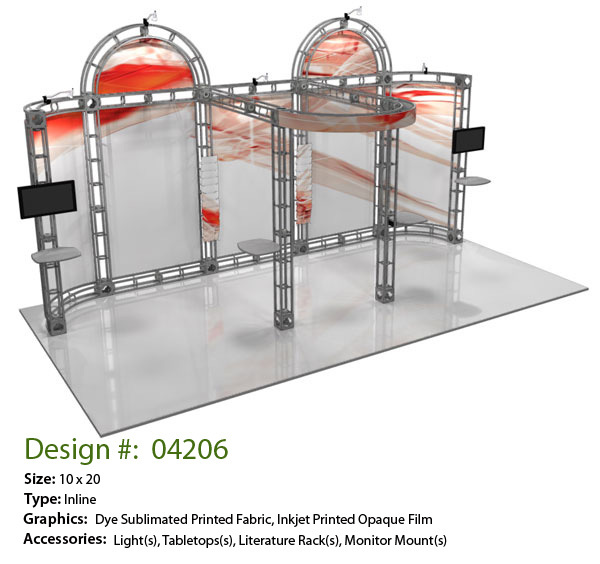 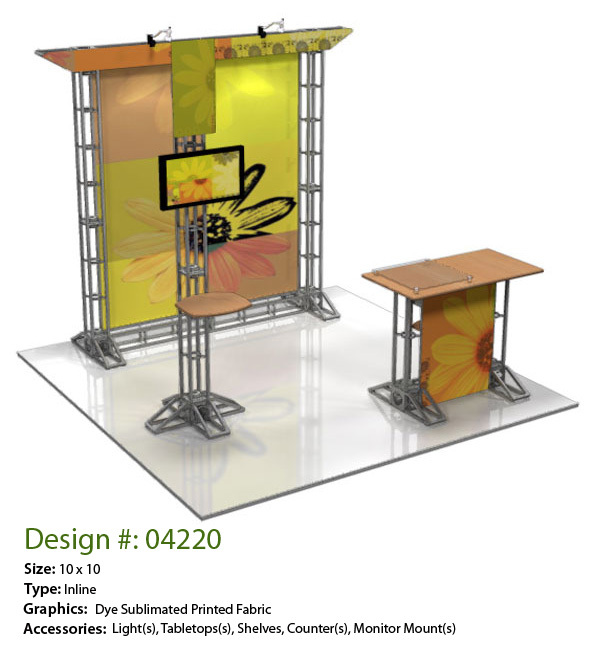 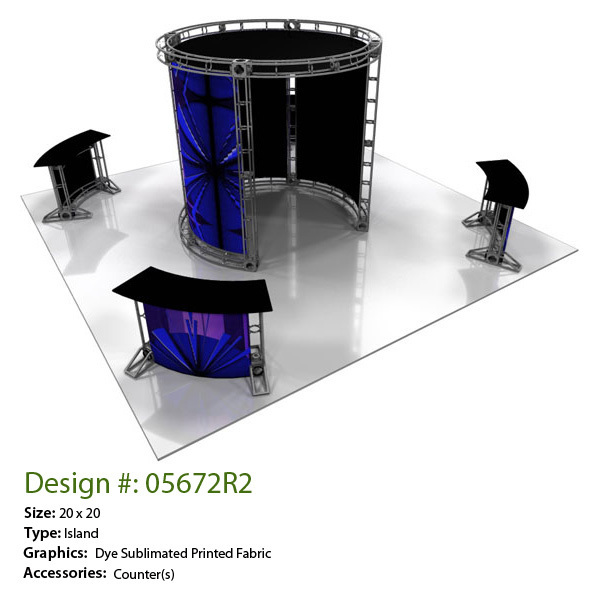 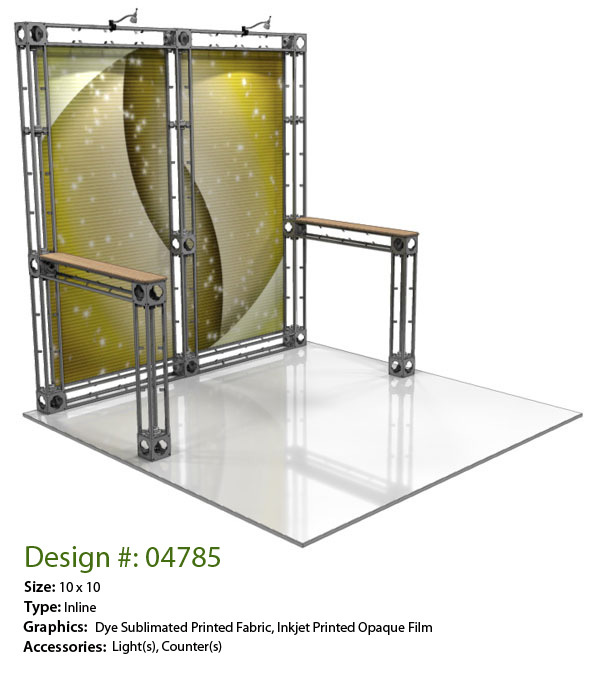 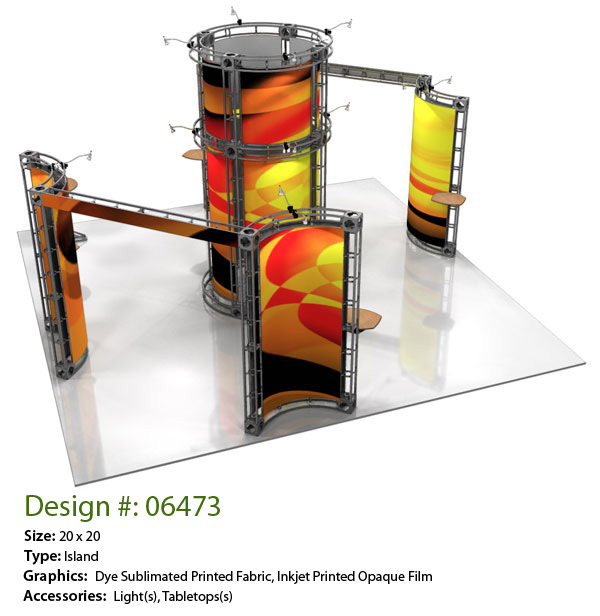 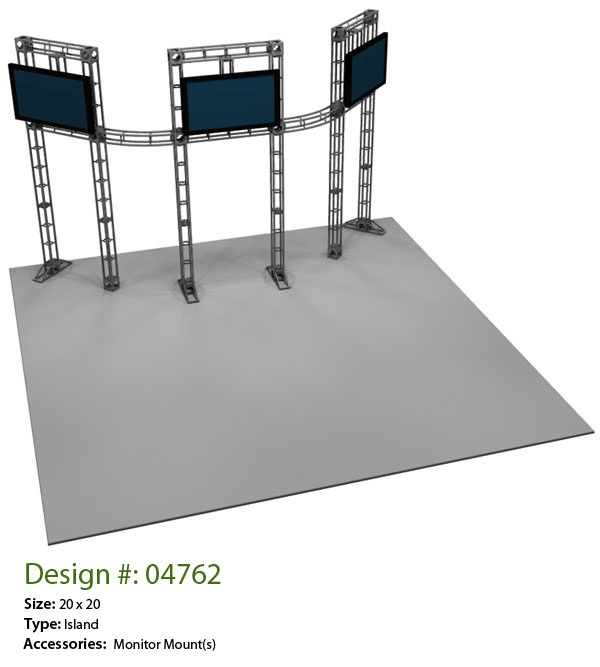 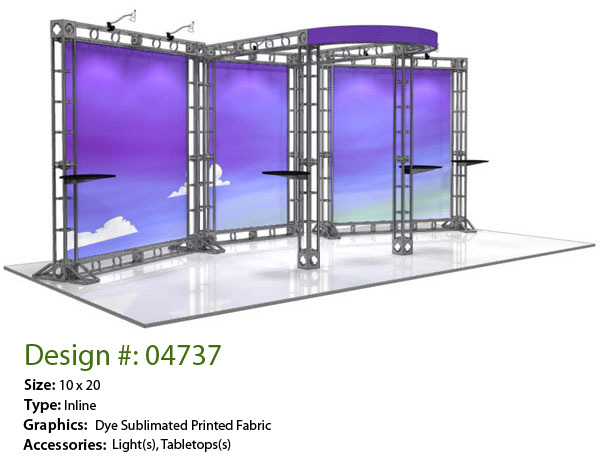 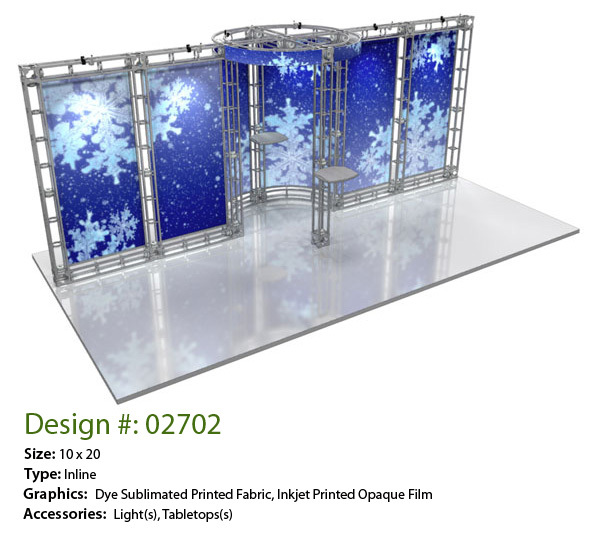 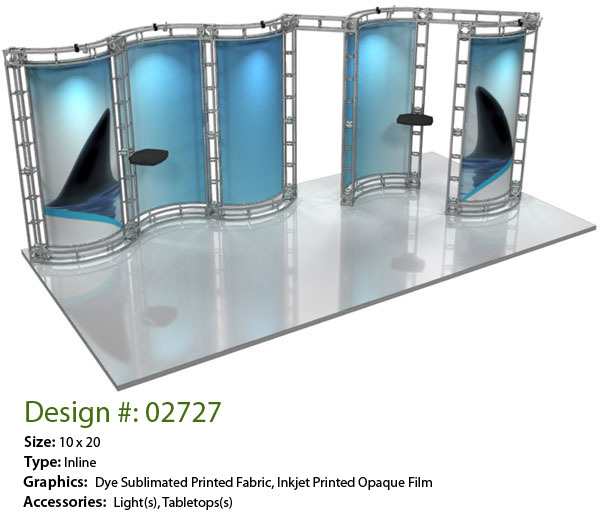 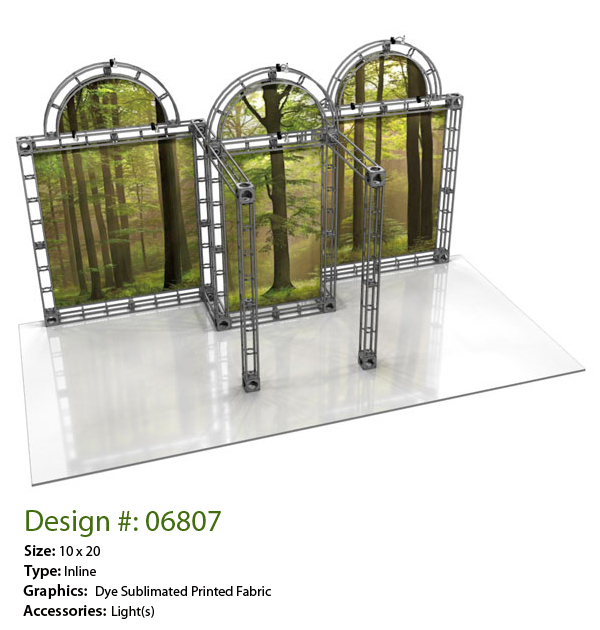 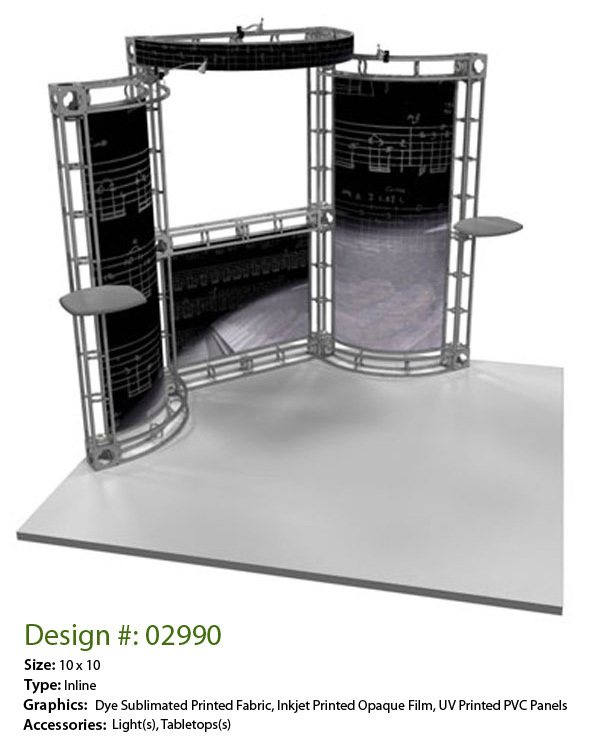 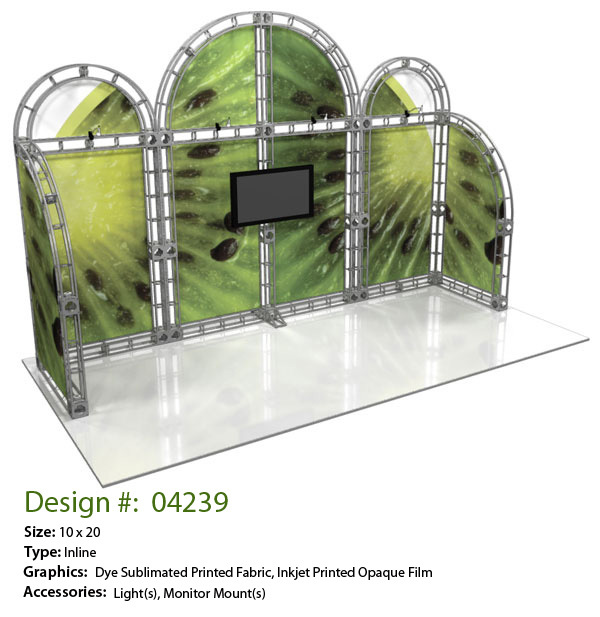 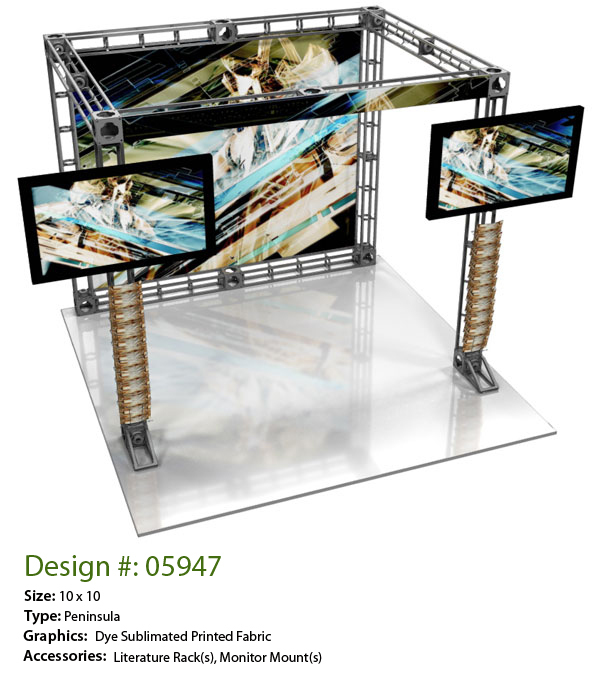 Call one of our custom trade show booth professionals today to get started on the custom display of your dreams! 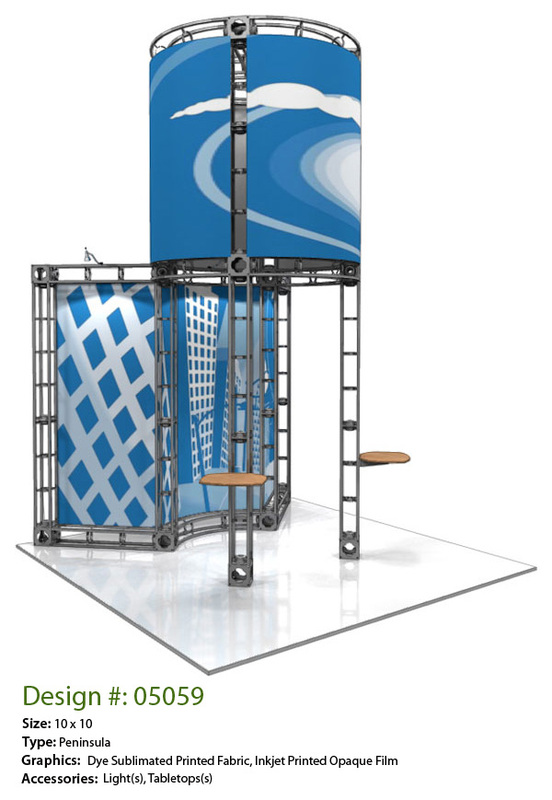 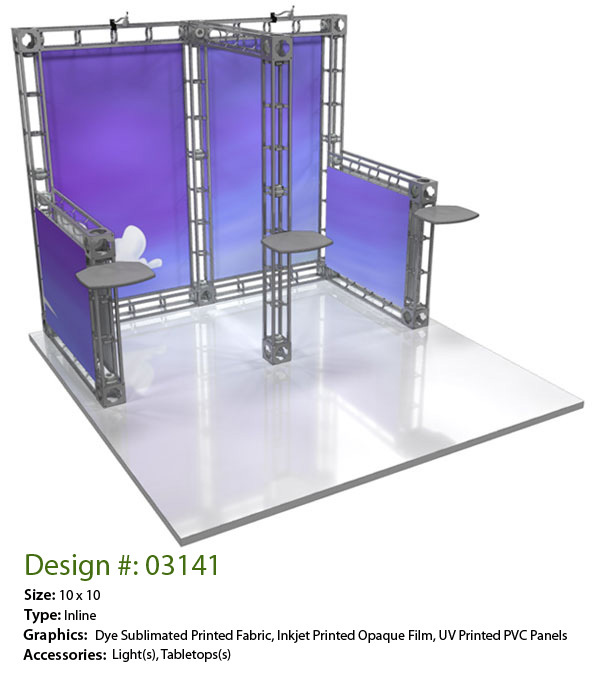 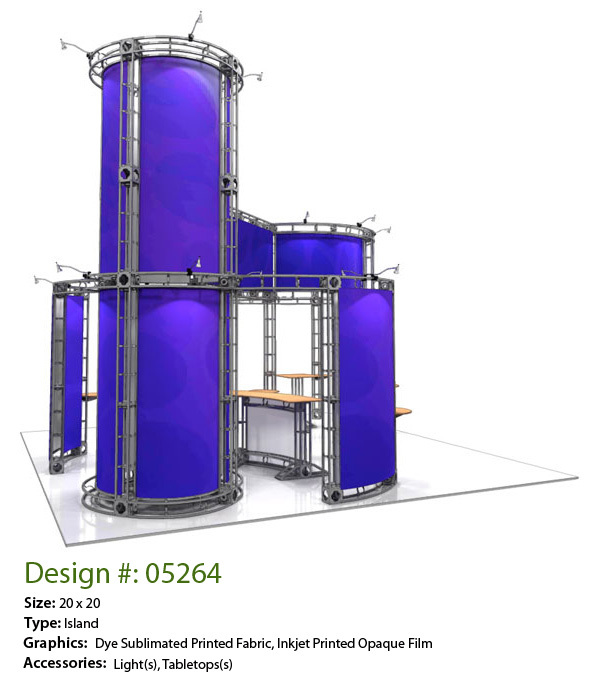 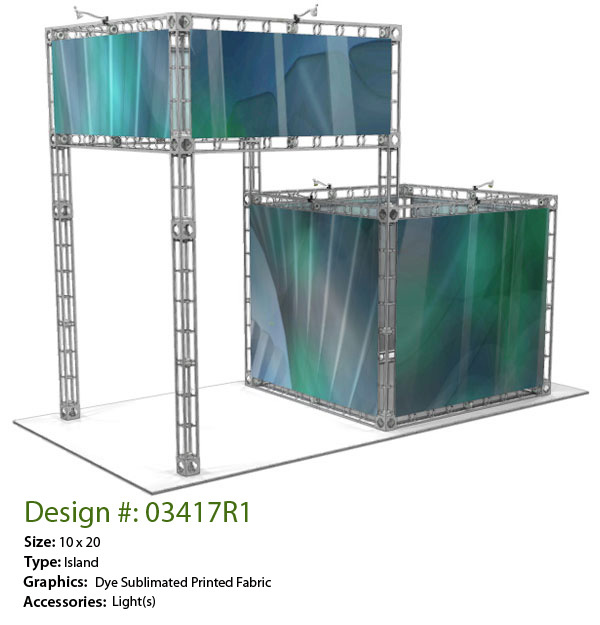 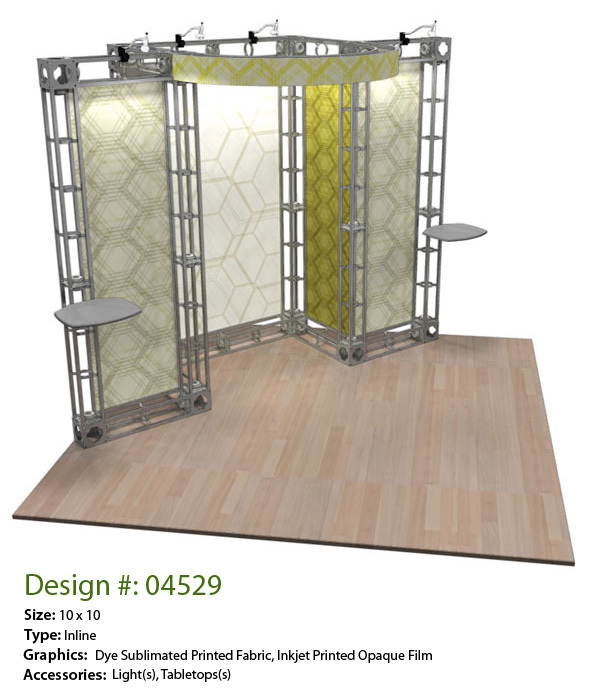 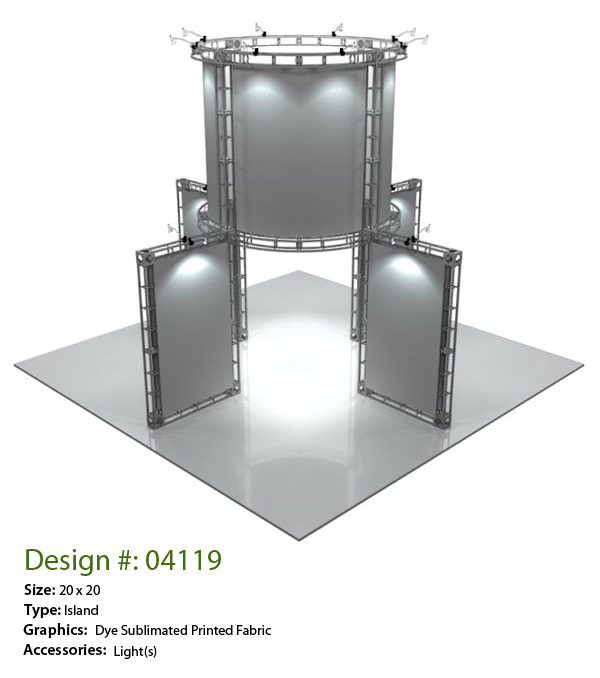 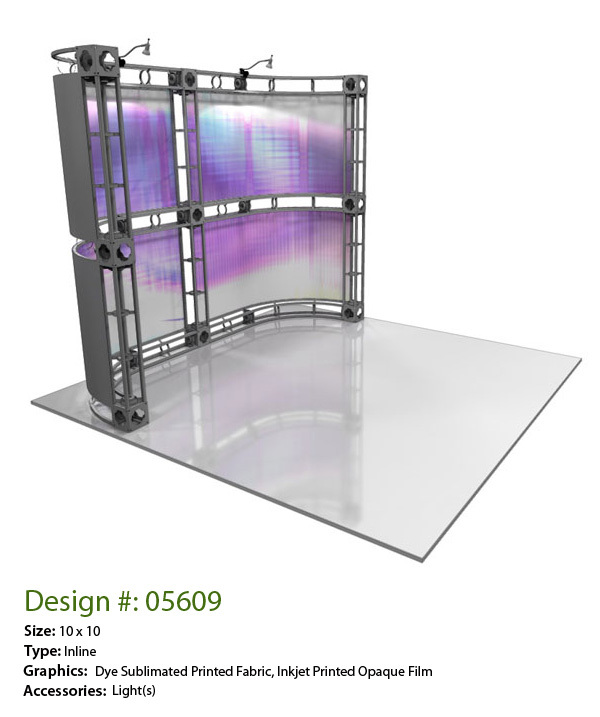 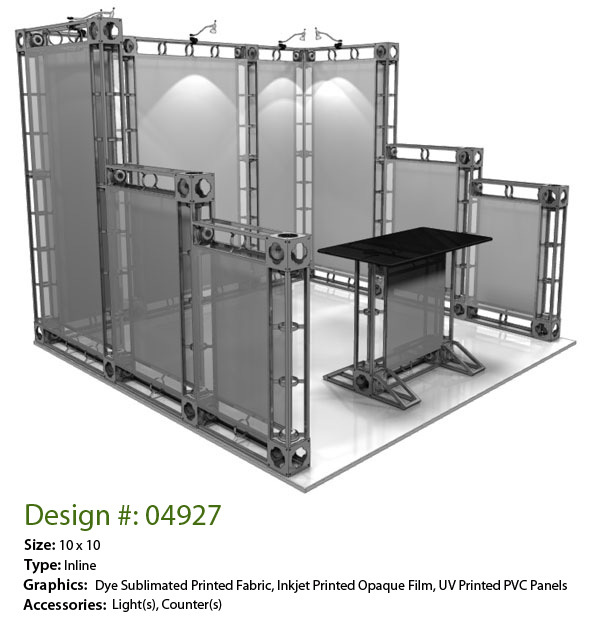 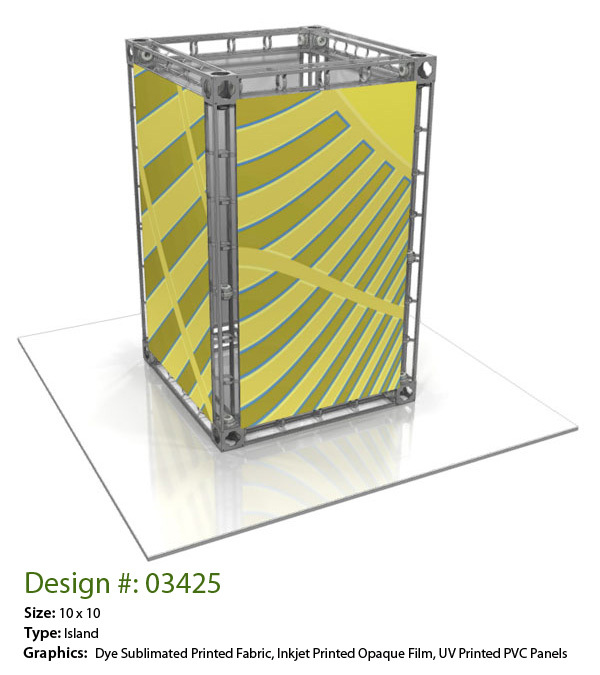 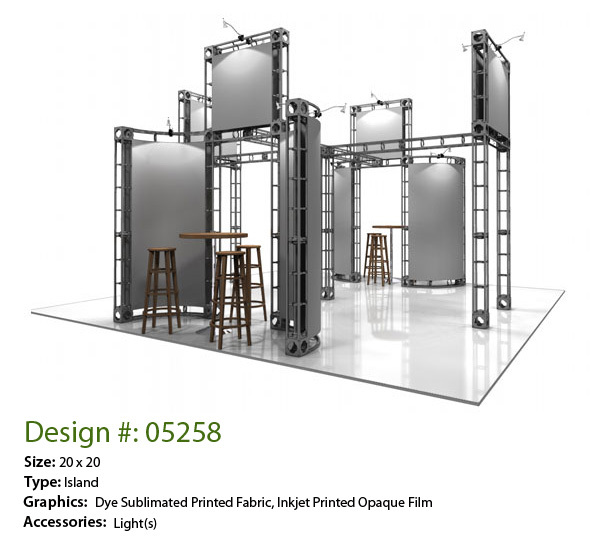 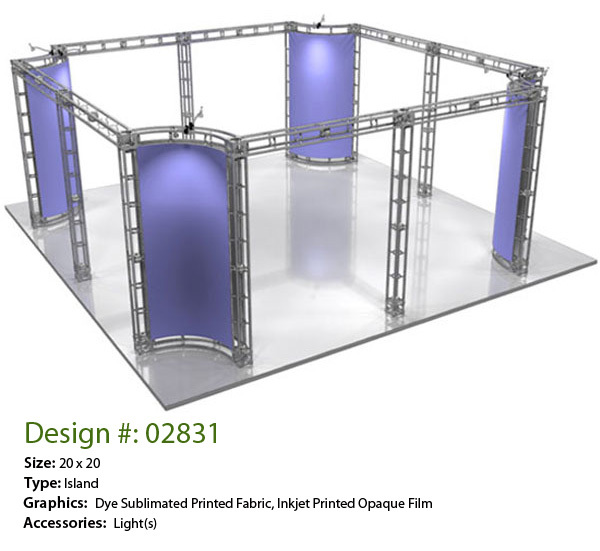 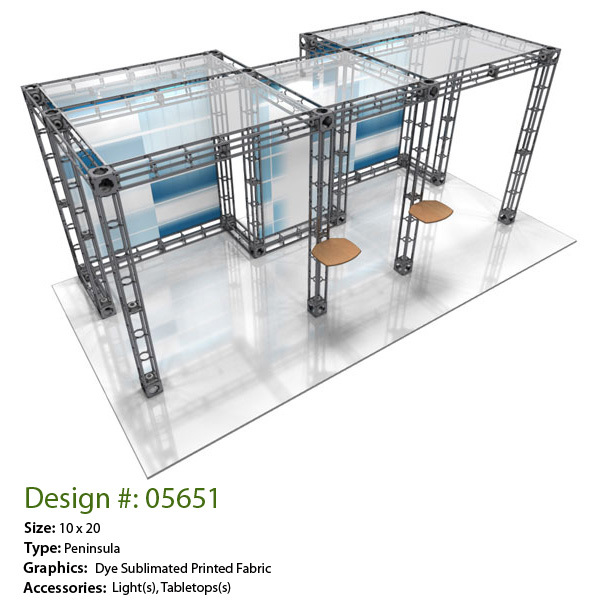 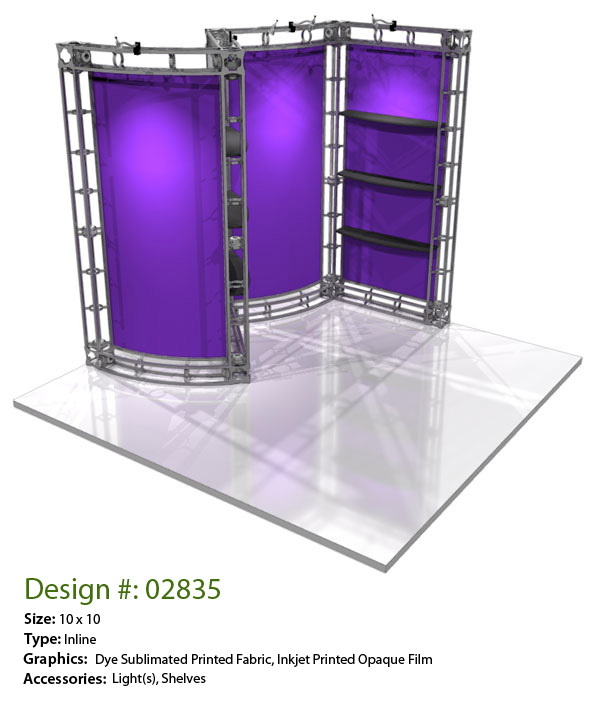 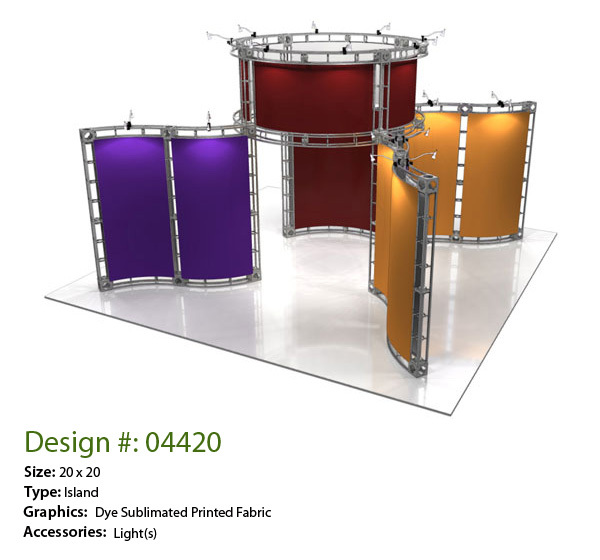 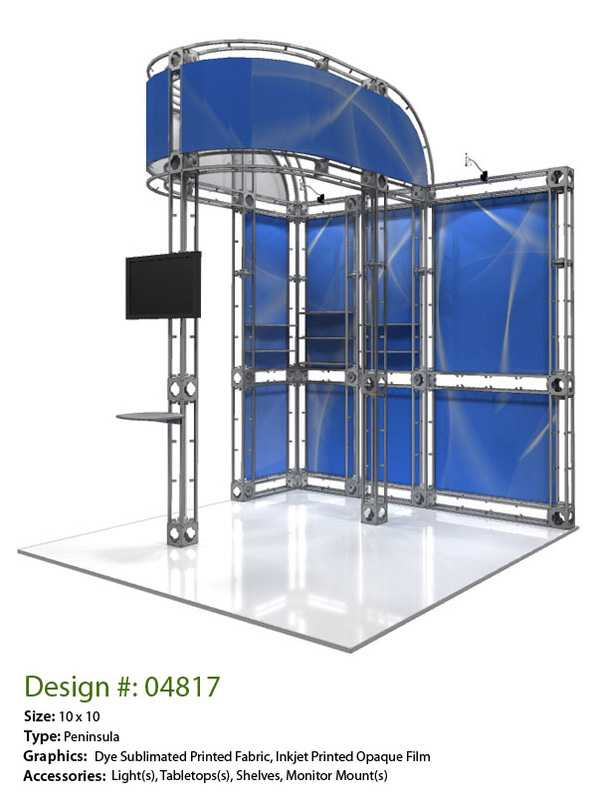 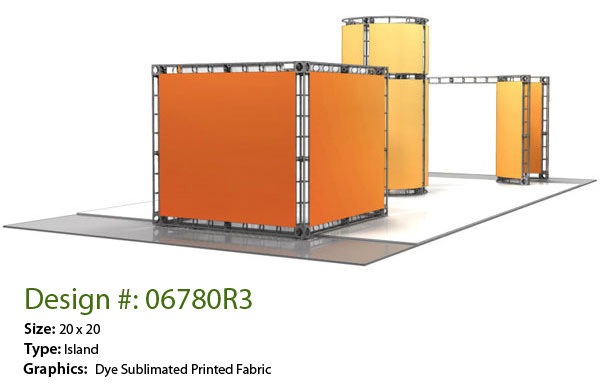 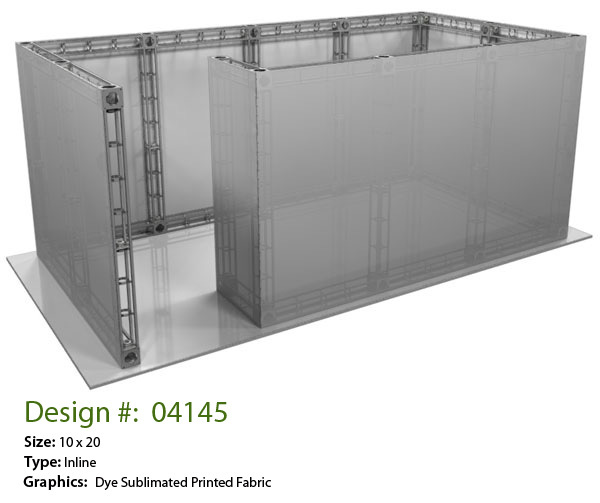 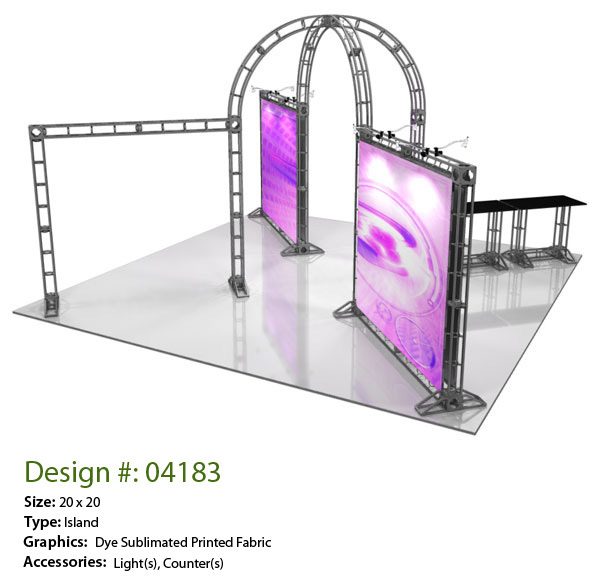 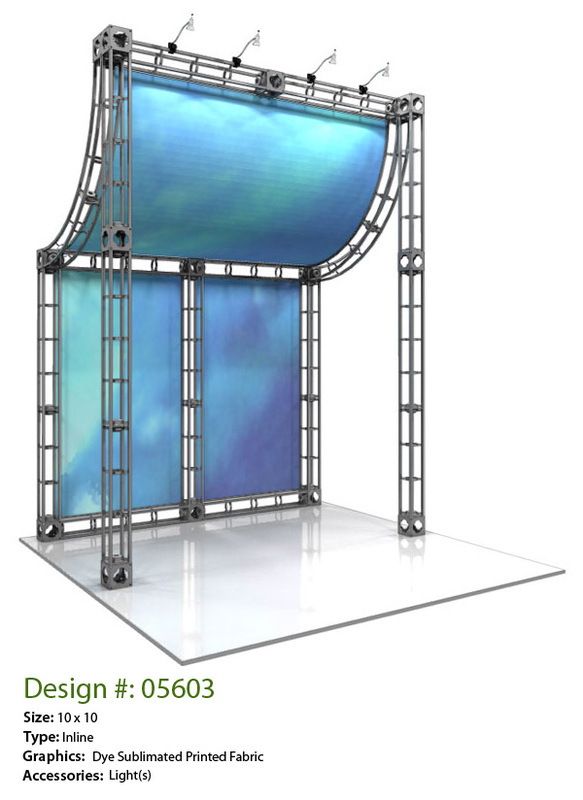 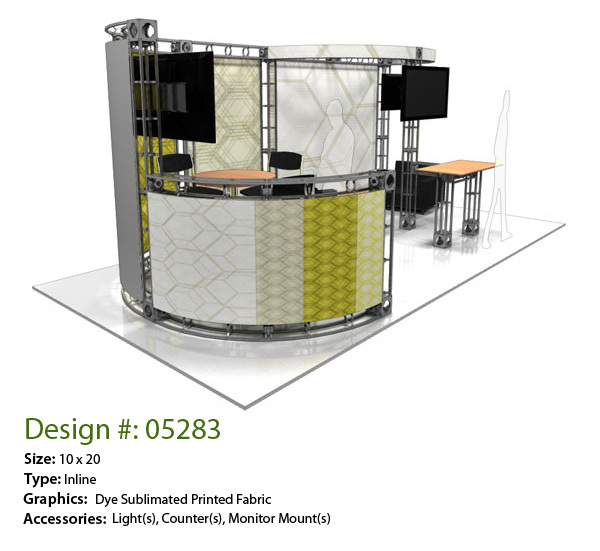 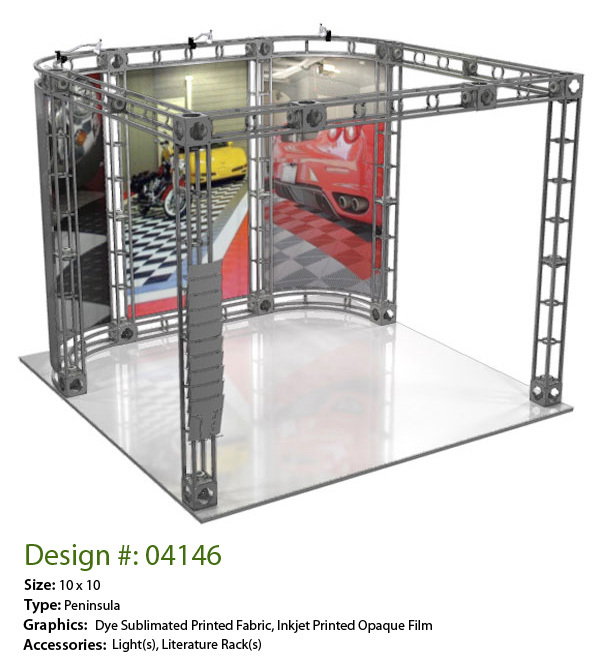 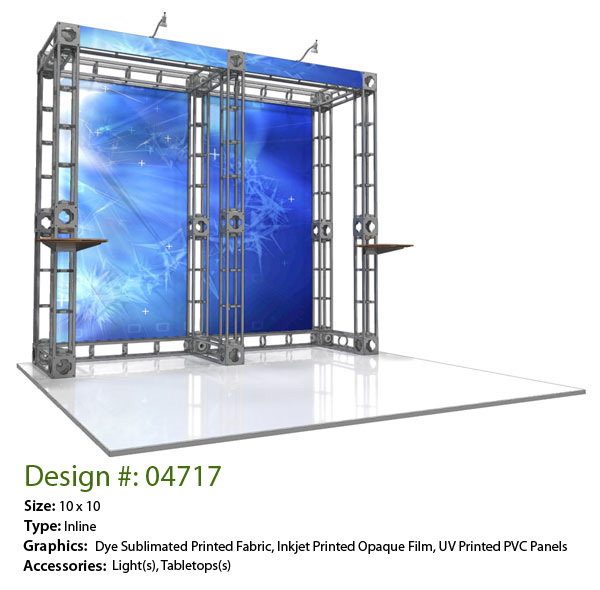 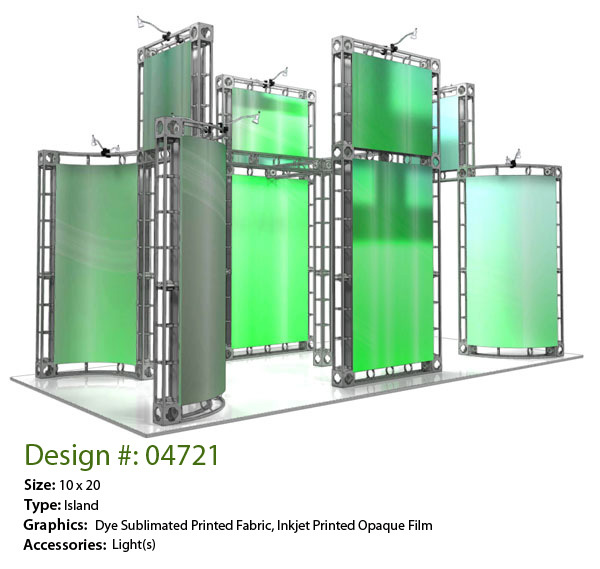 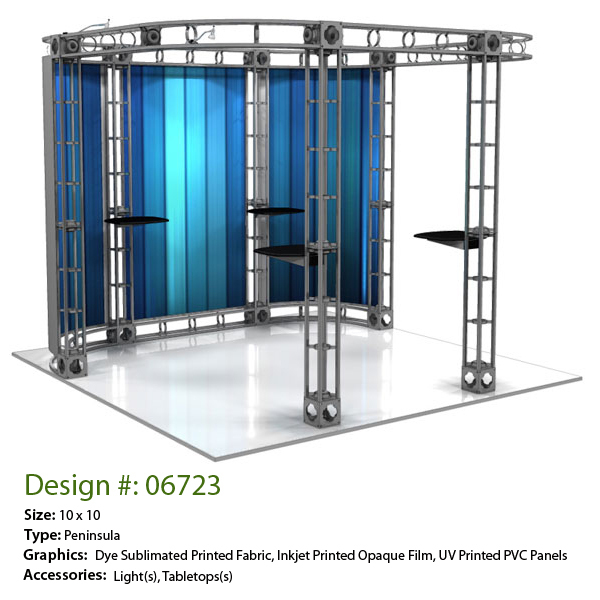 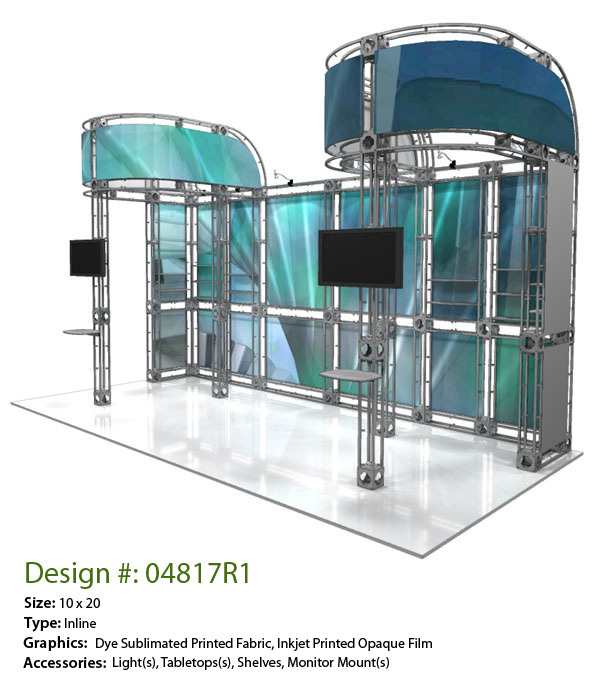 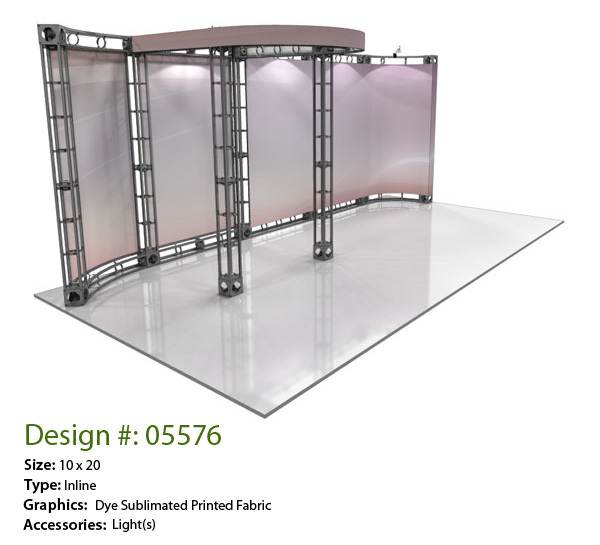 Custom truss-based trade show booths are available in an almost limitless array of sizes and shapes, customizable to fit your exact needs. 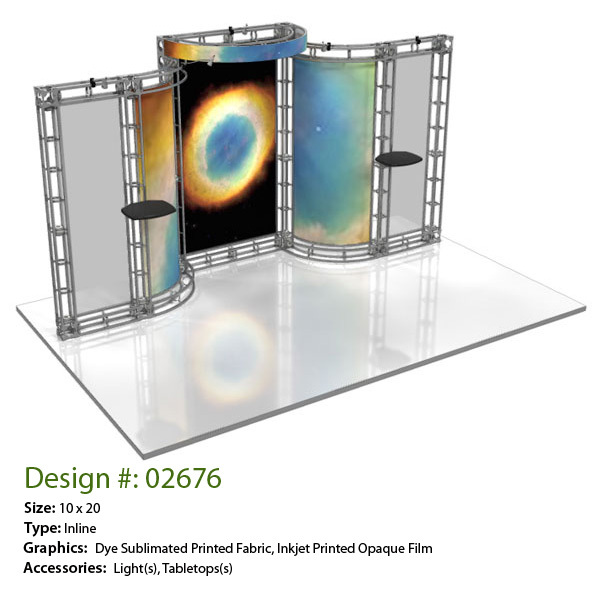 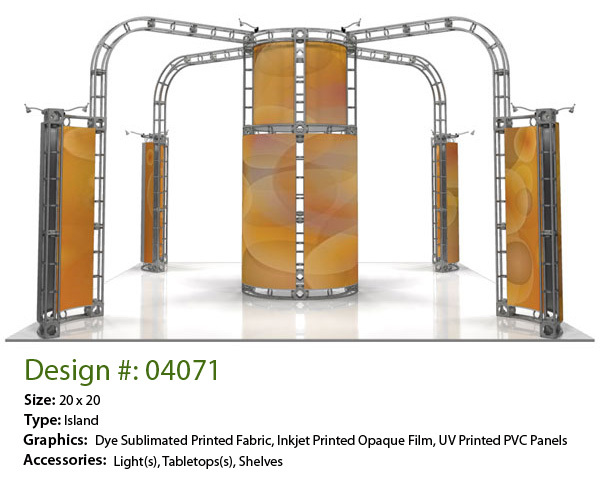 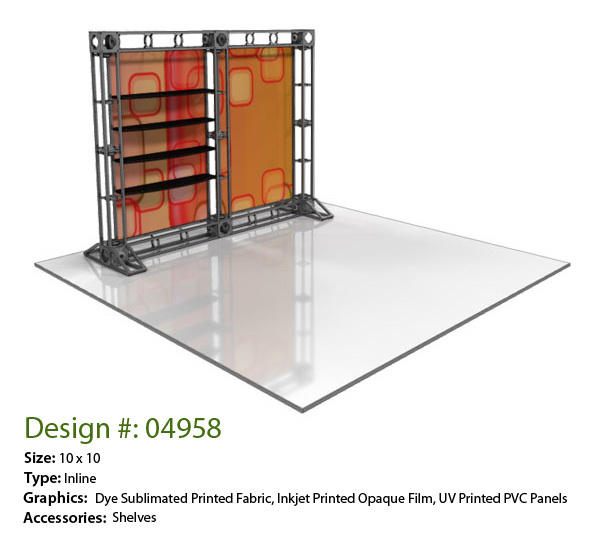 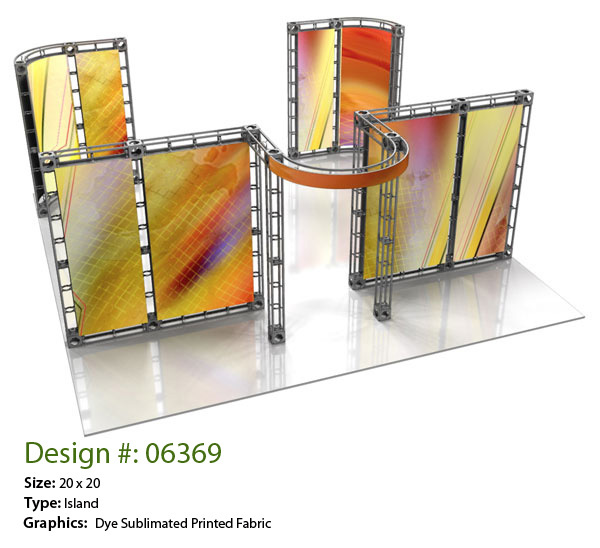 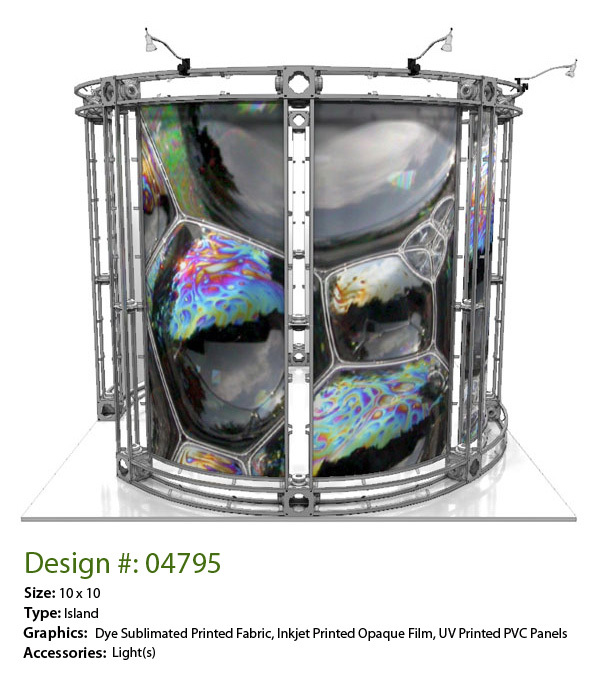 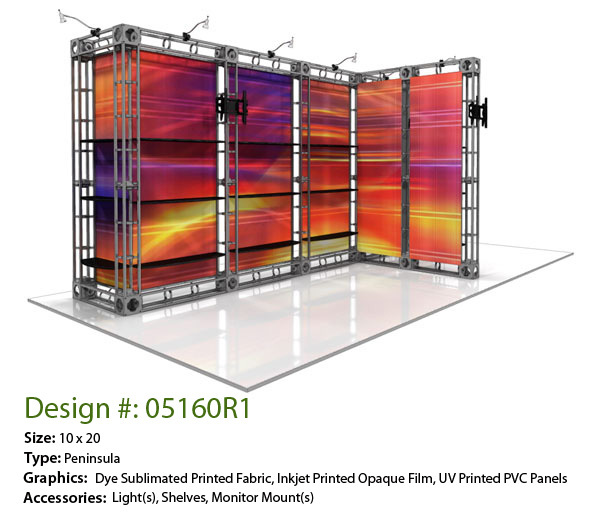 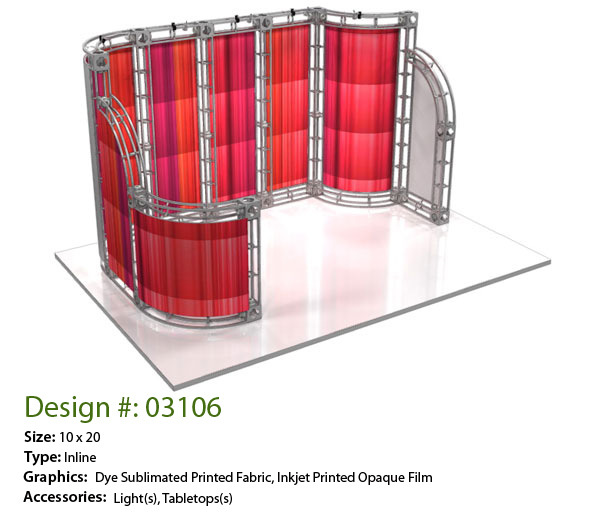 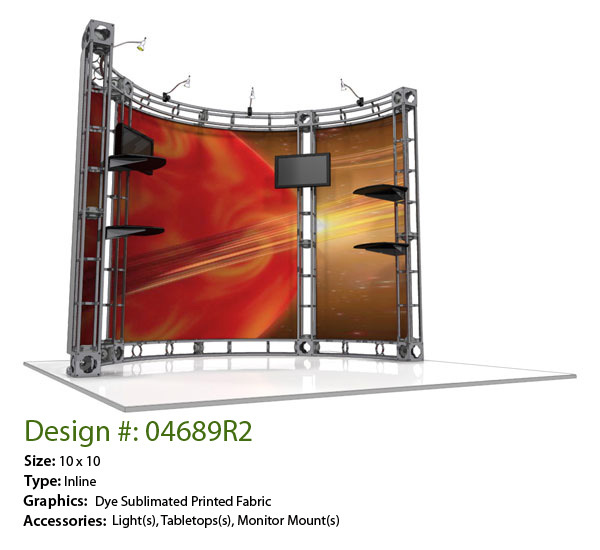 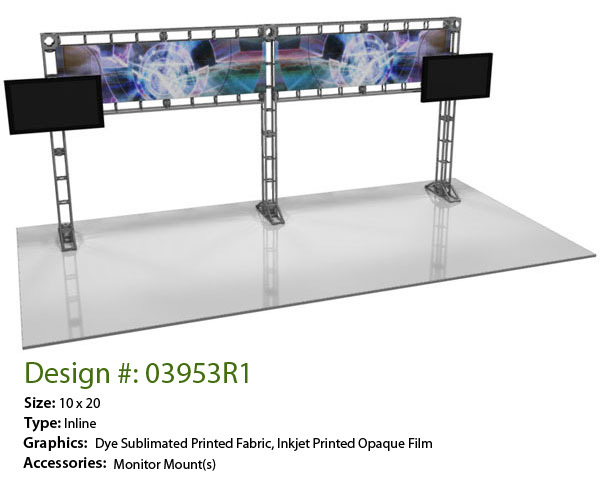 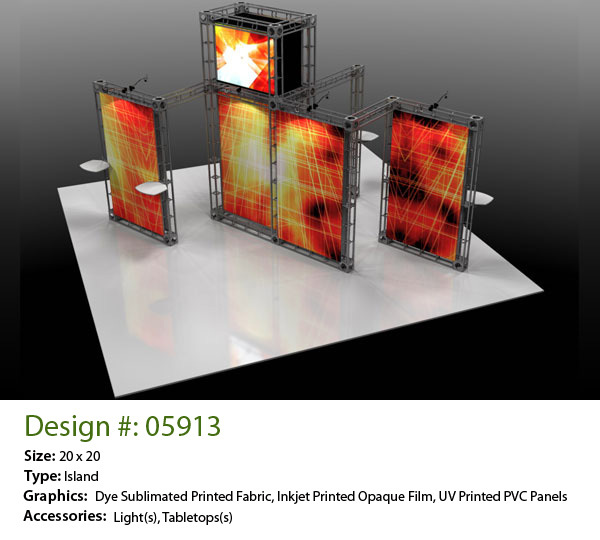 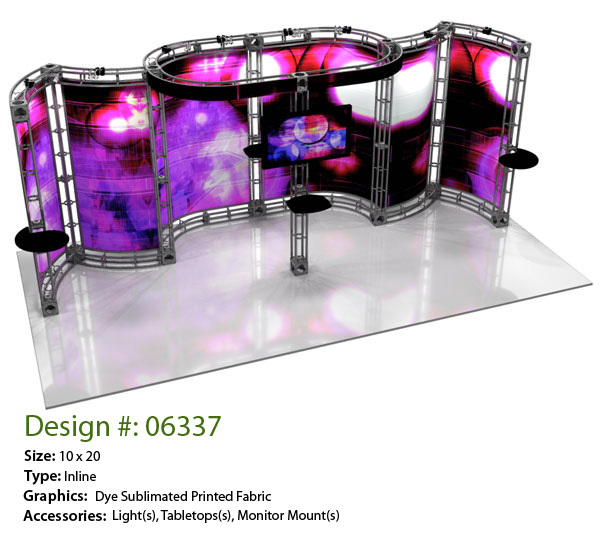 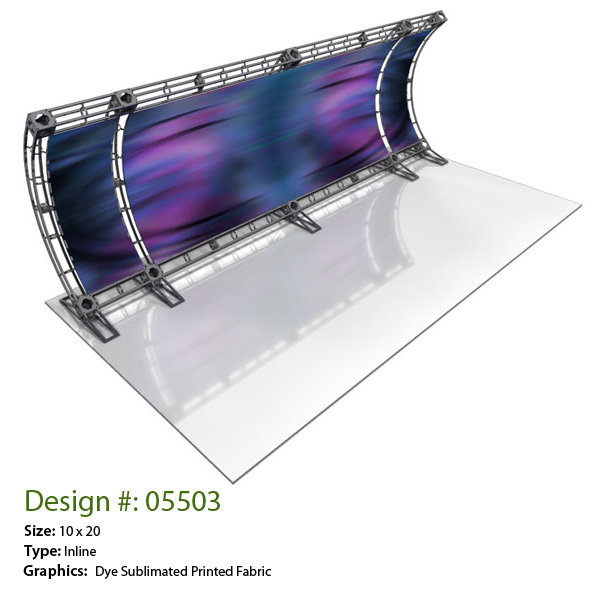 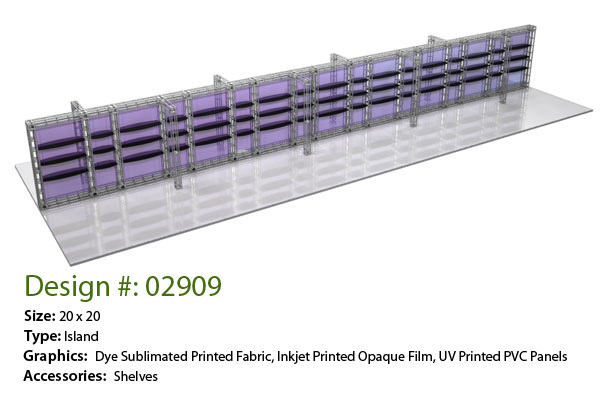 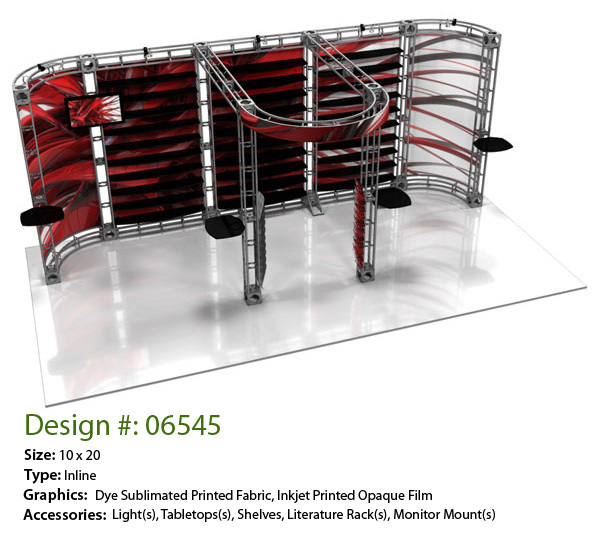 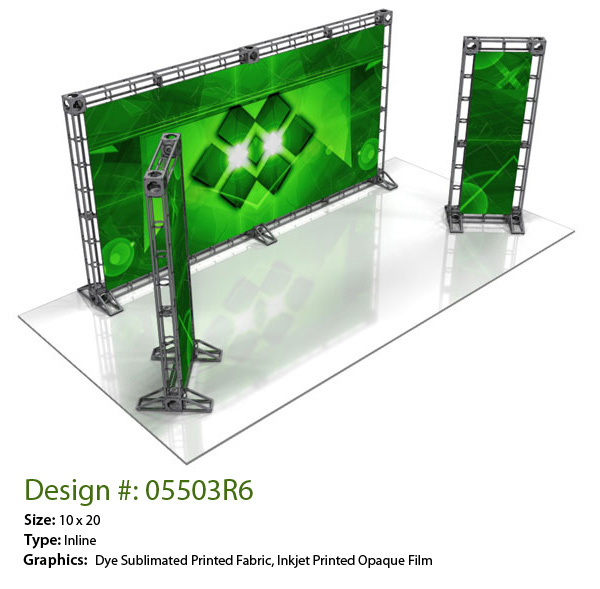 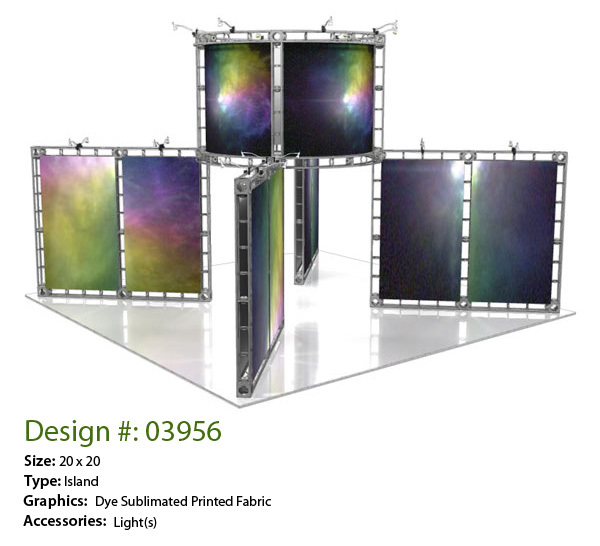 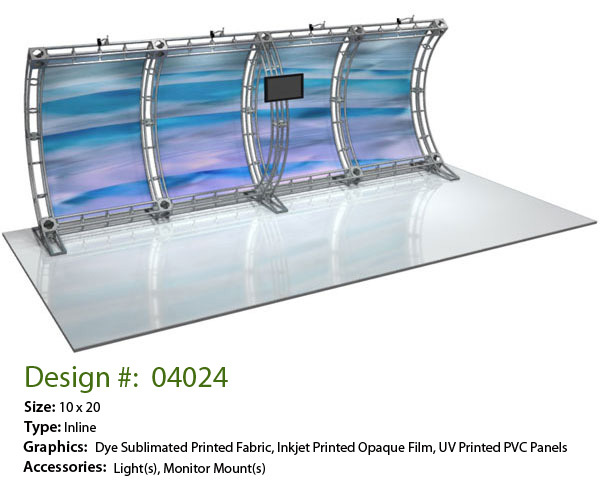 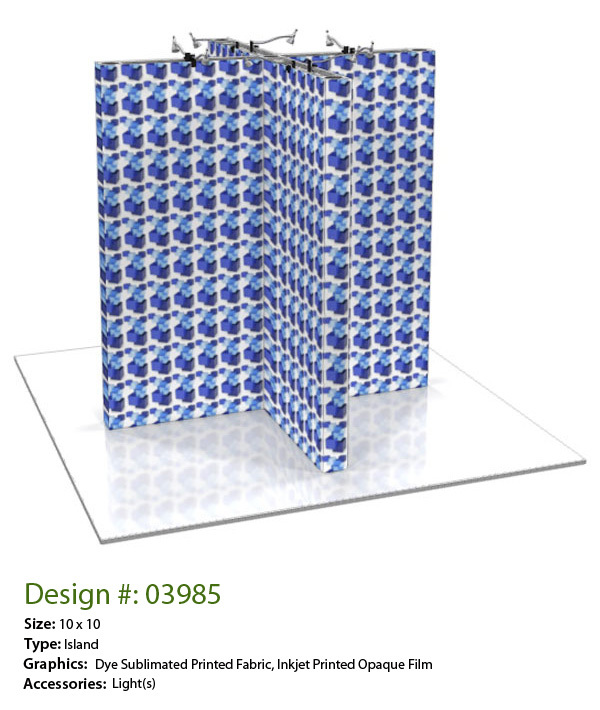 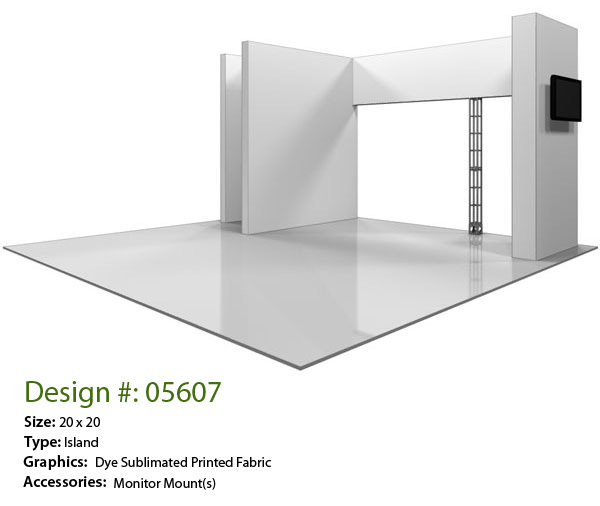 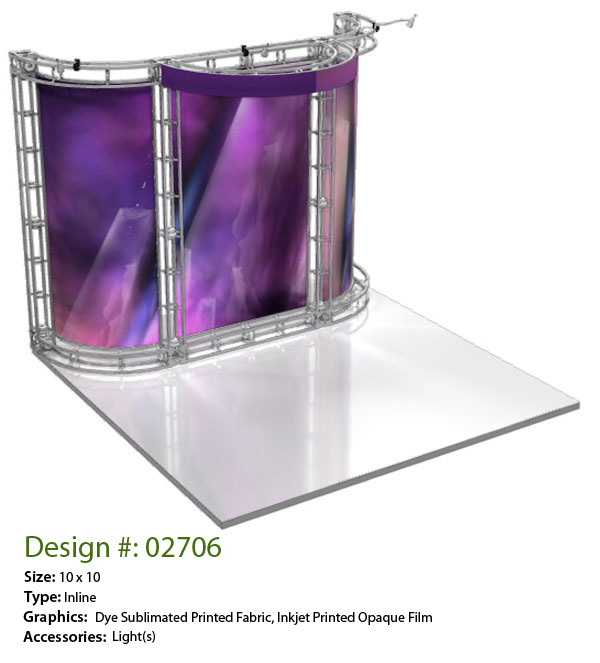 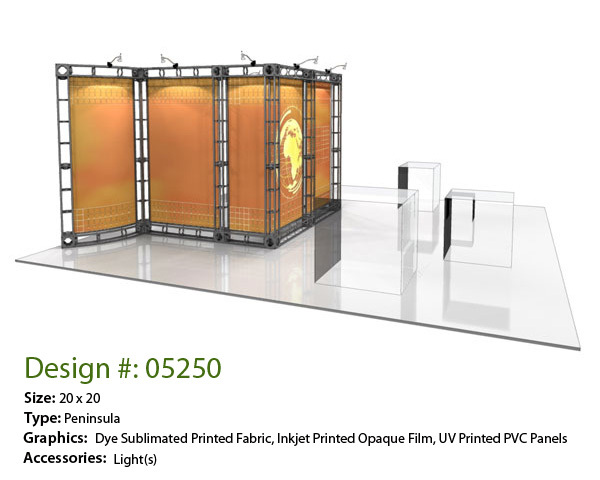 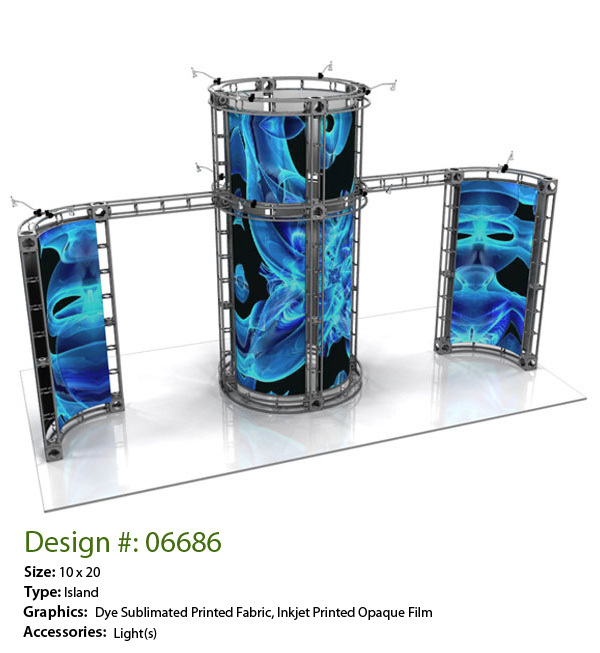 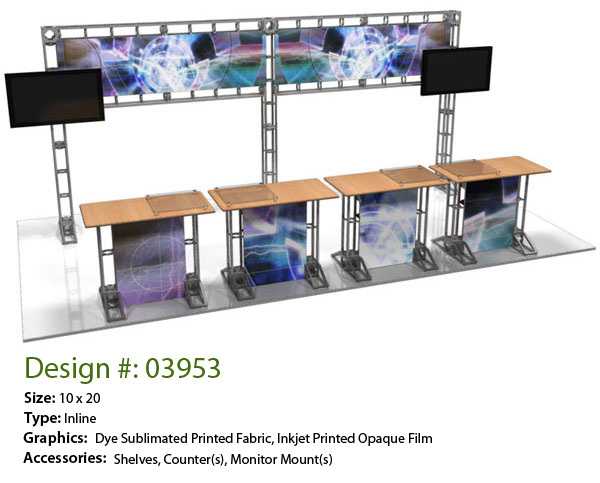 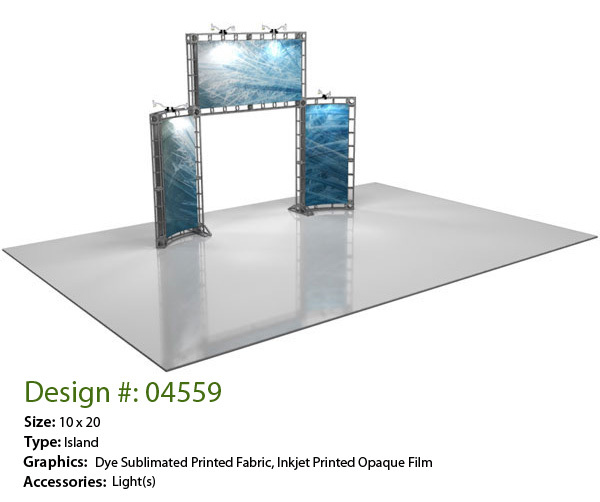 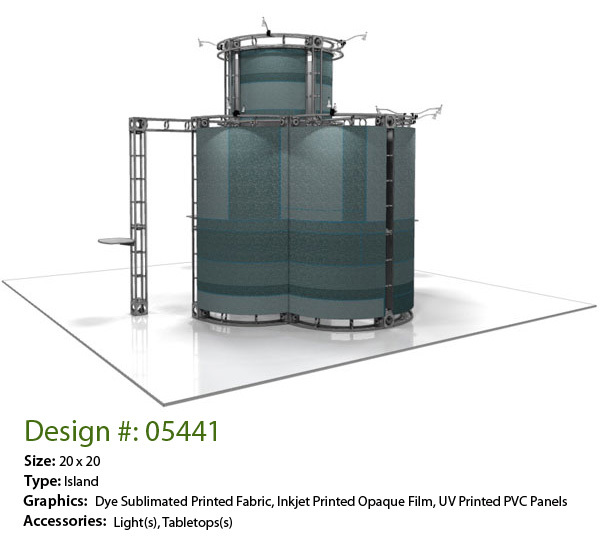 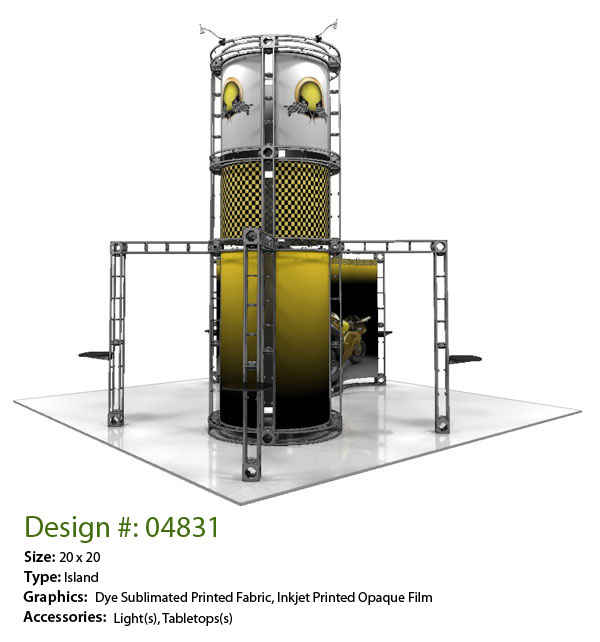 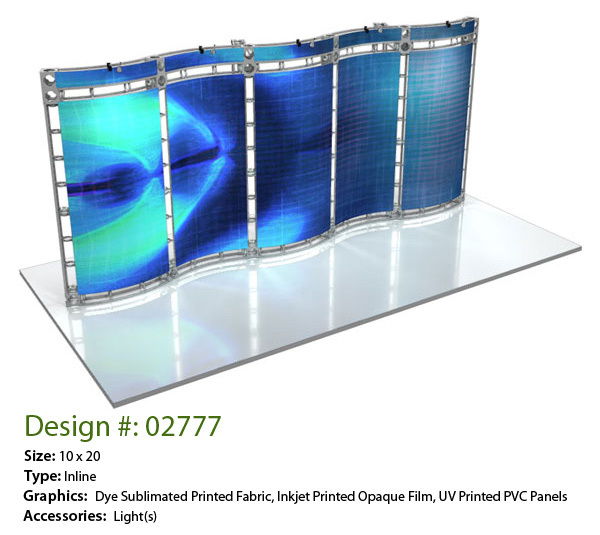 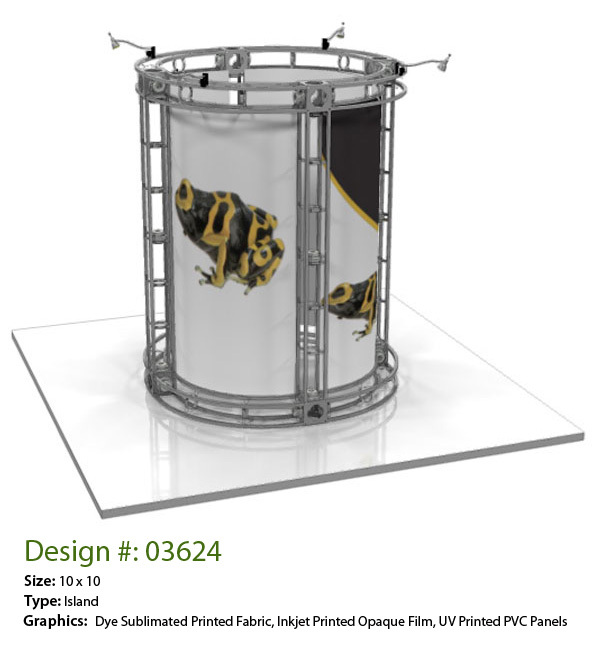 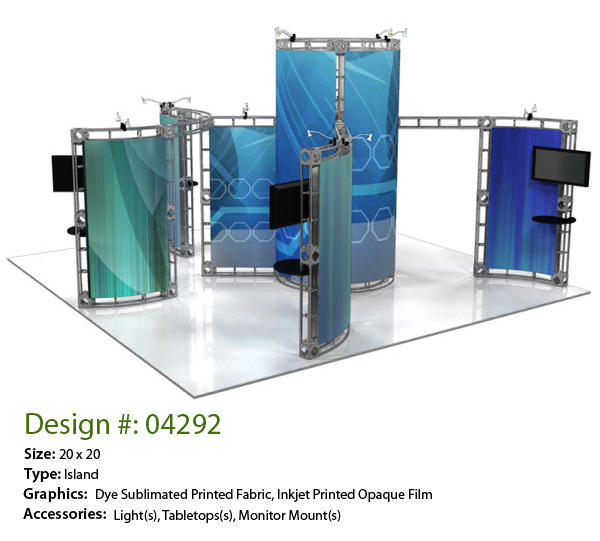 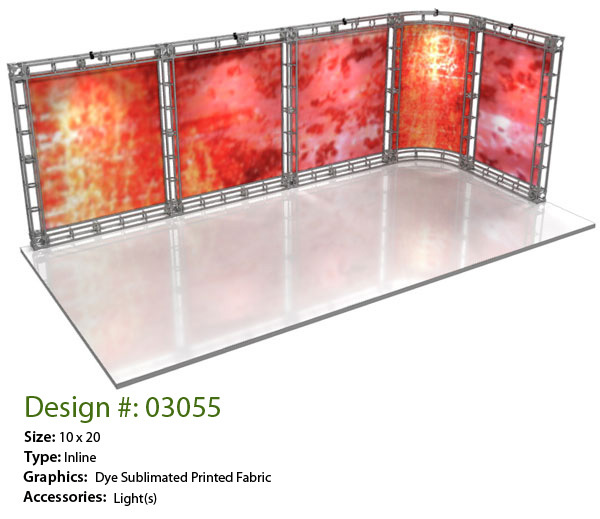 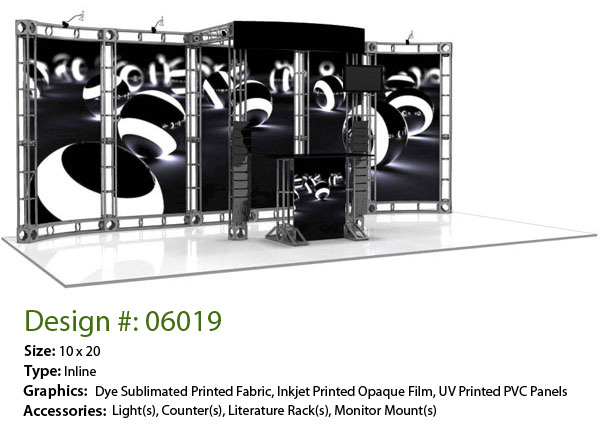 All kits come standard with vibrant dye-sublimated trade show banner graphics, as well as lighting and cases. 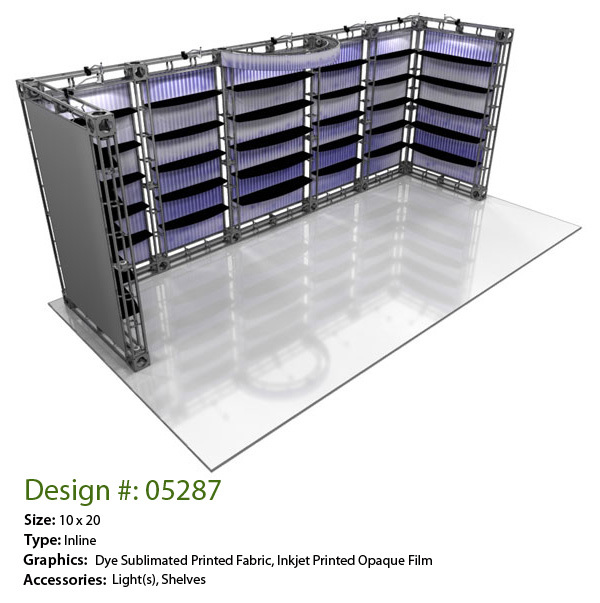 No tools are needed for assembly. 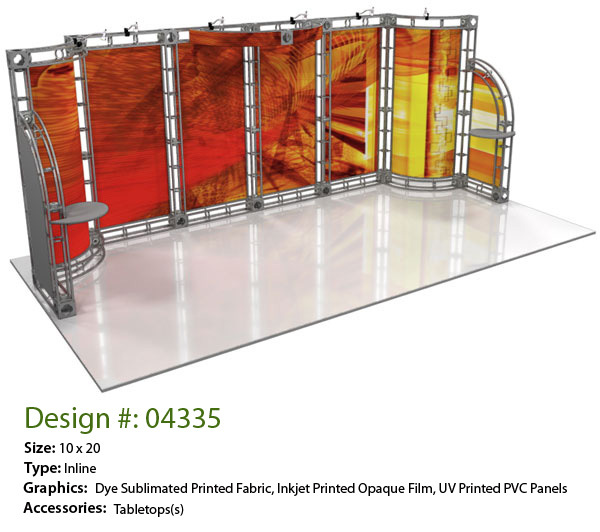 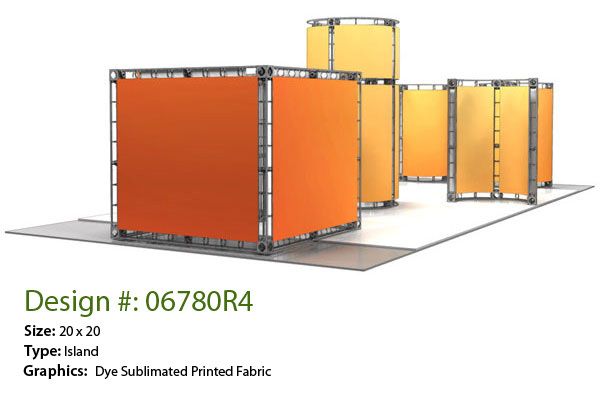 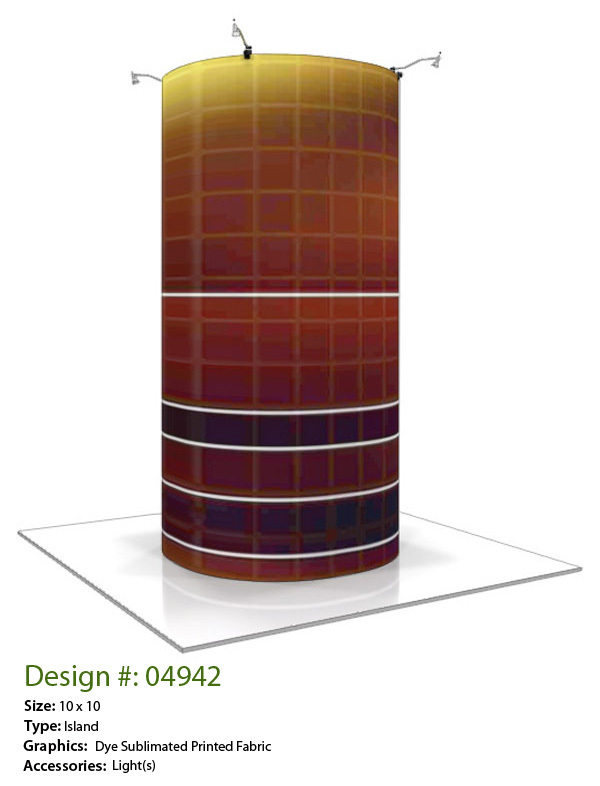 APG Exhibits offers an upgrade to UV-printed 22mil PVC graphic panels if you need greater durability and more precise color-matching. 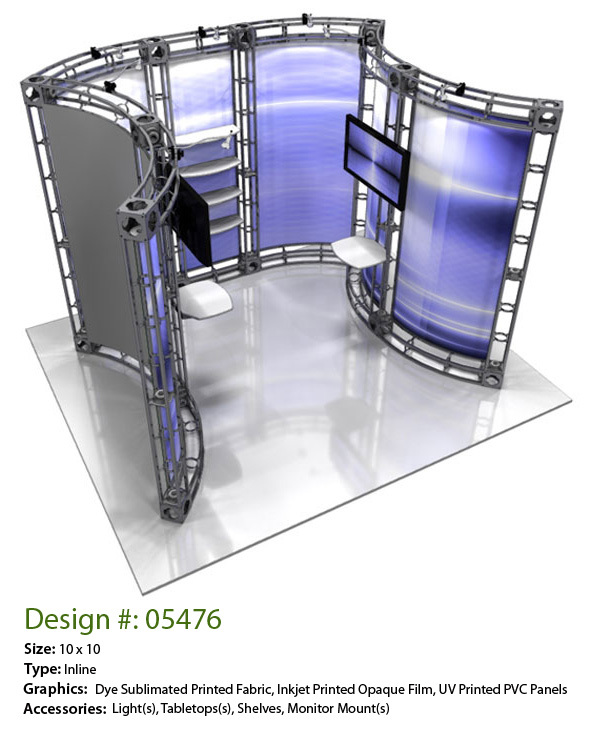 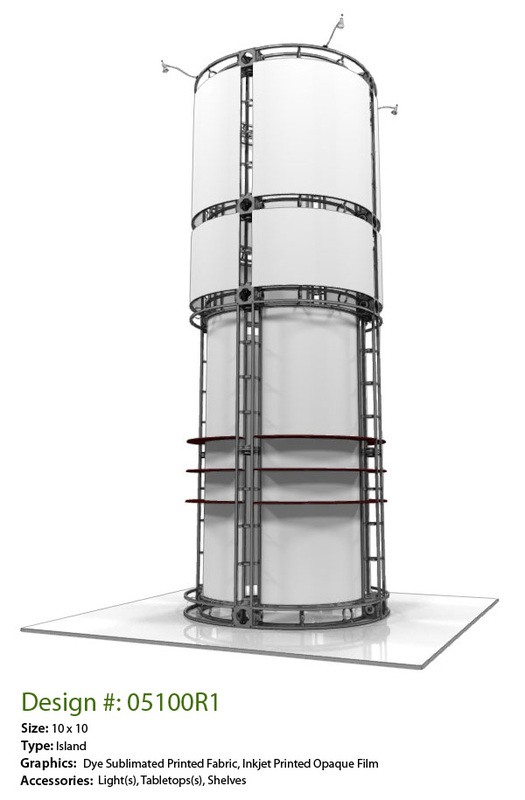 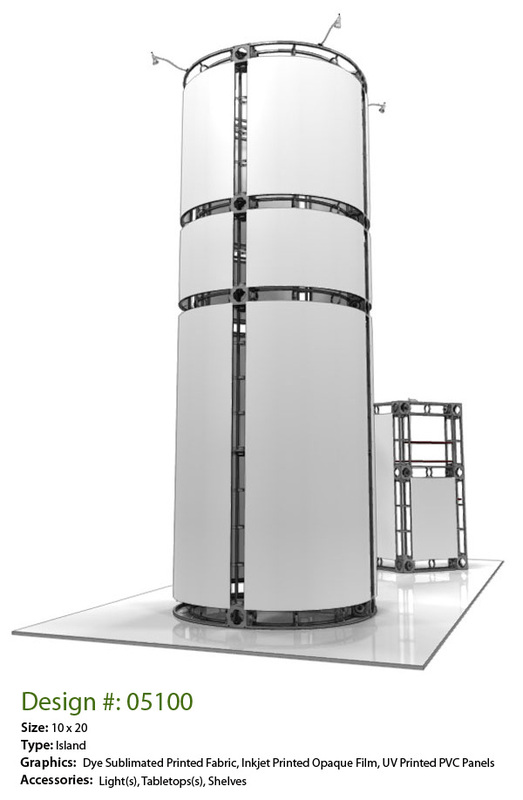 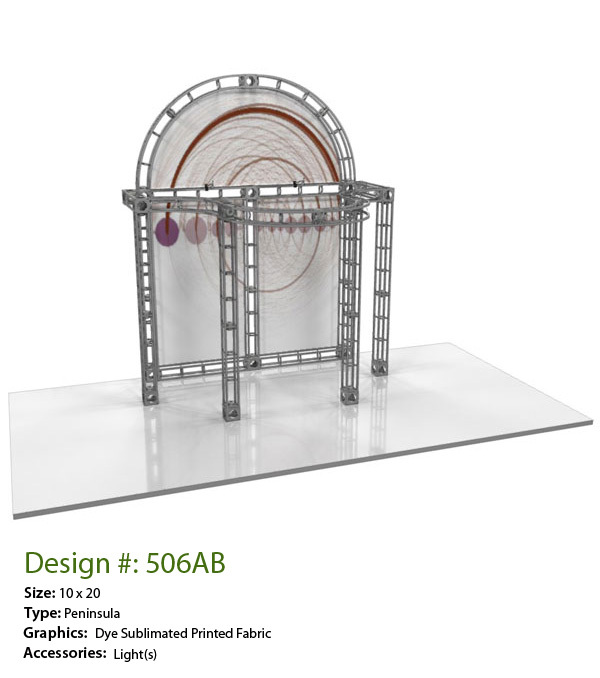 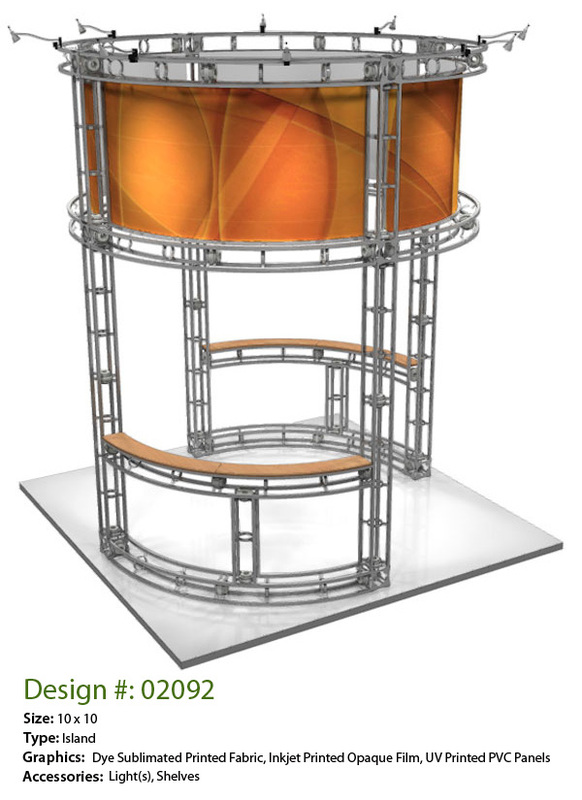 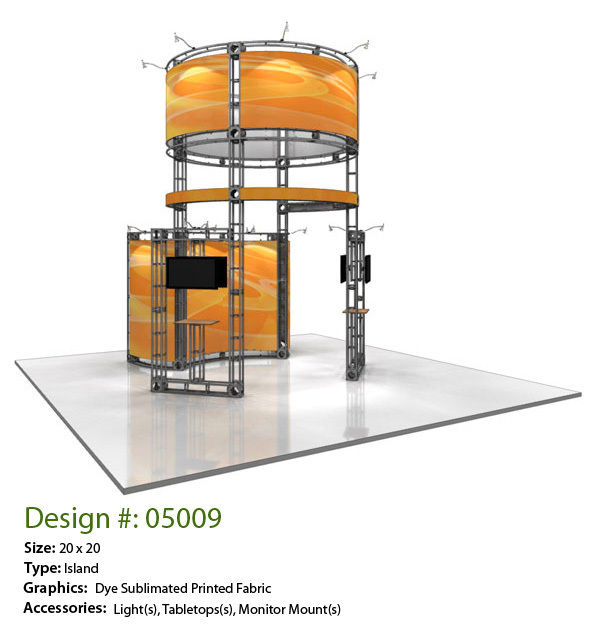 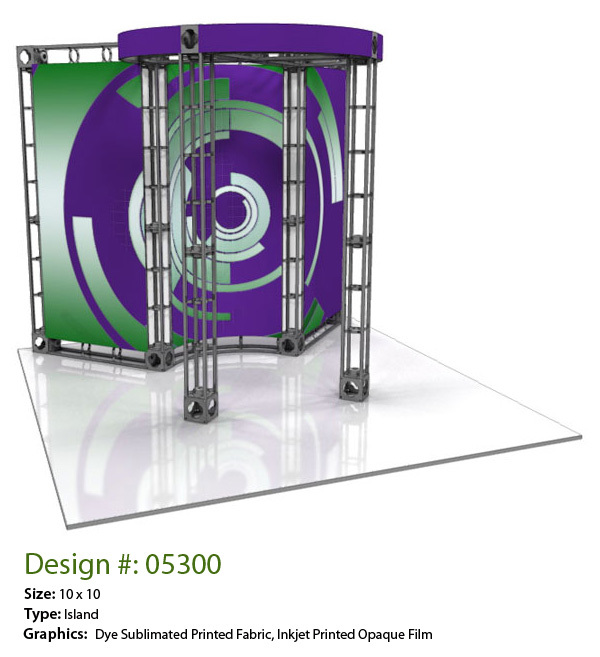 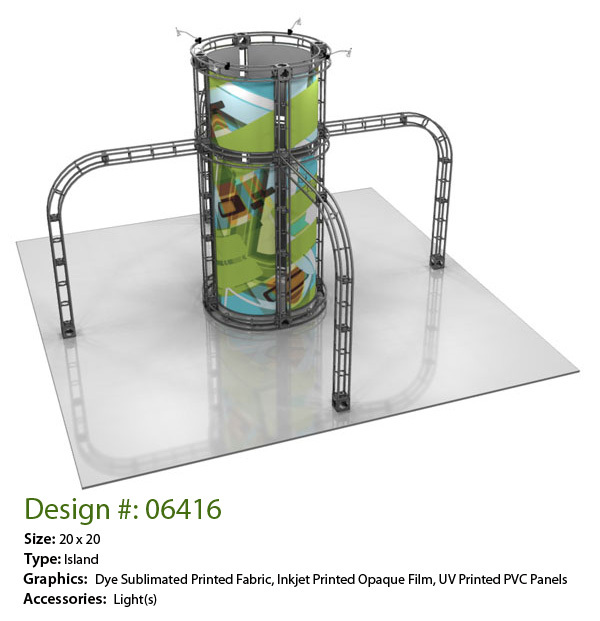 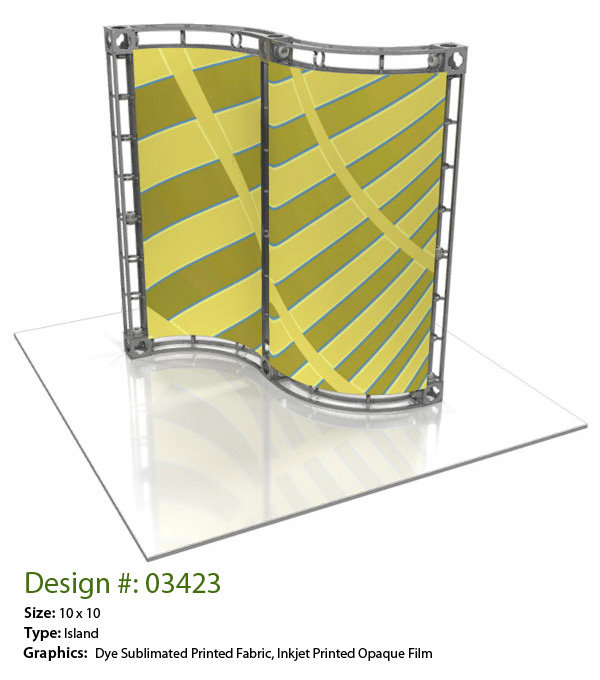 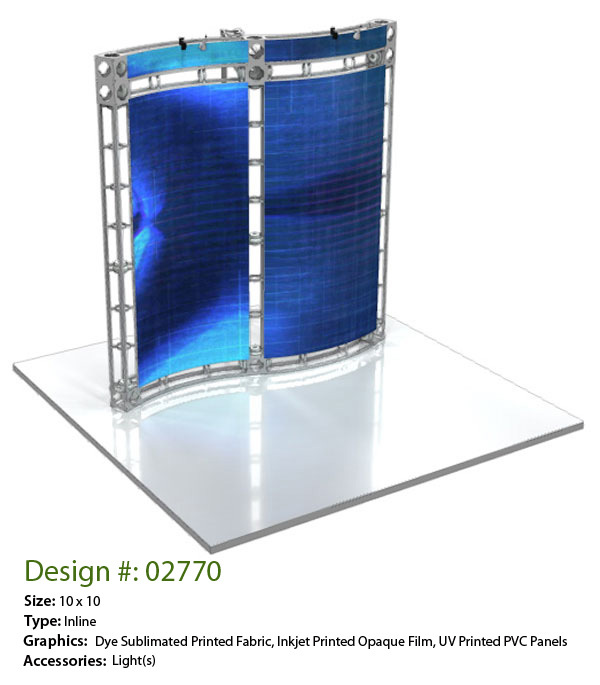 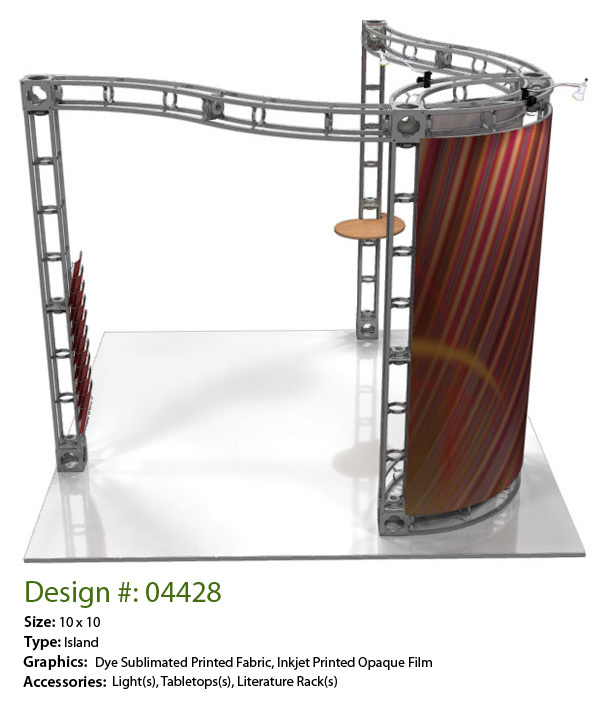 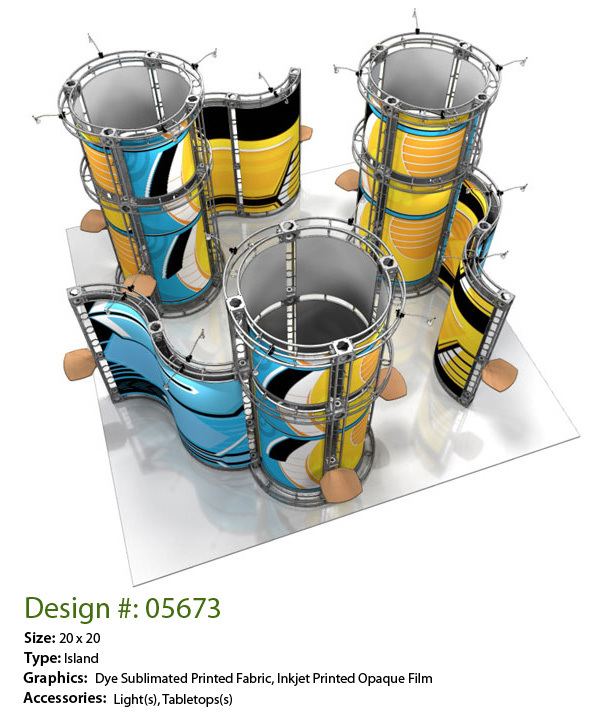 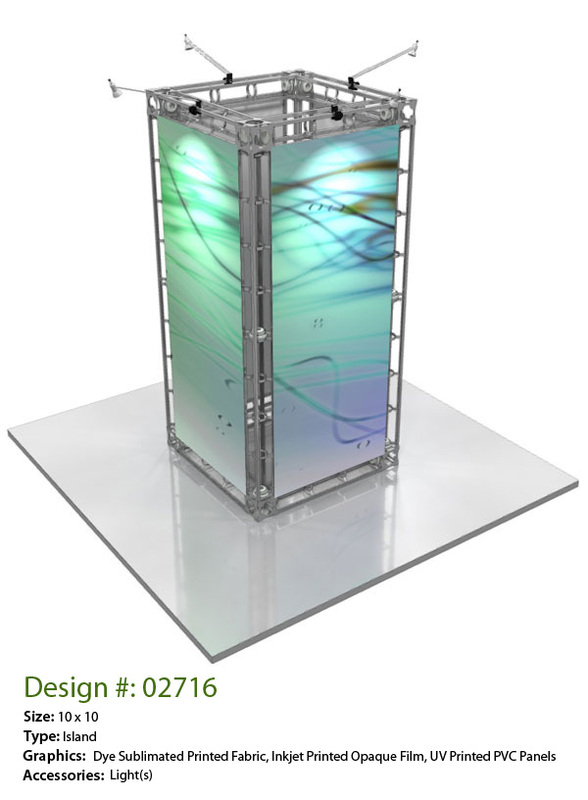 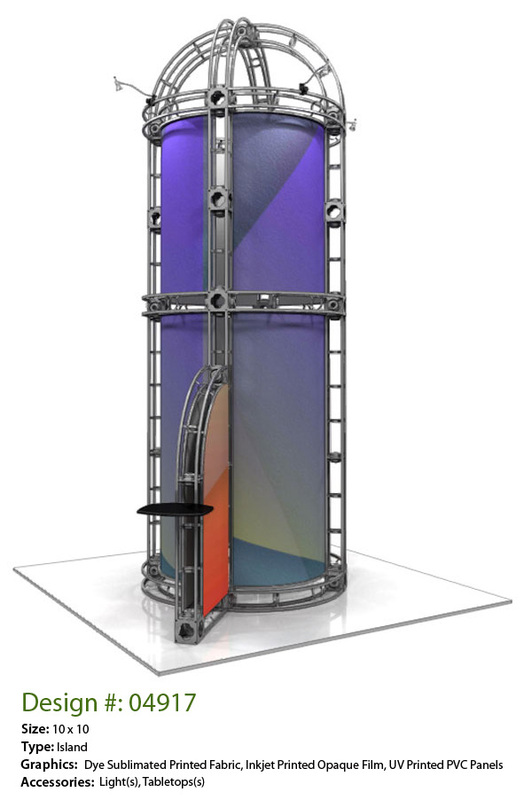 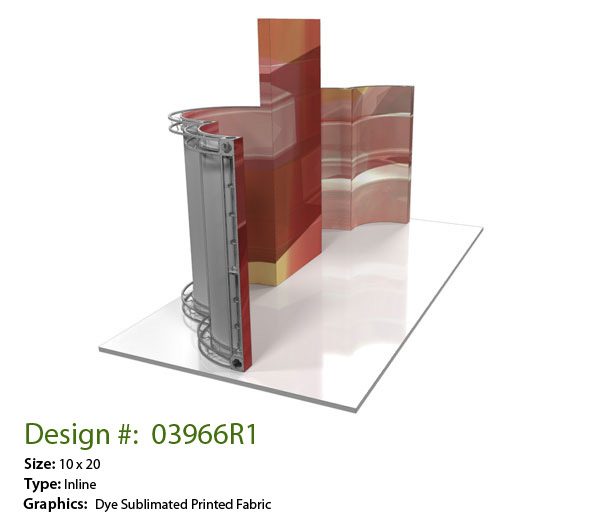 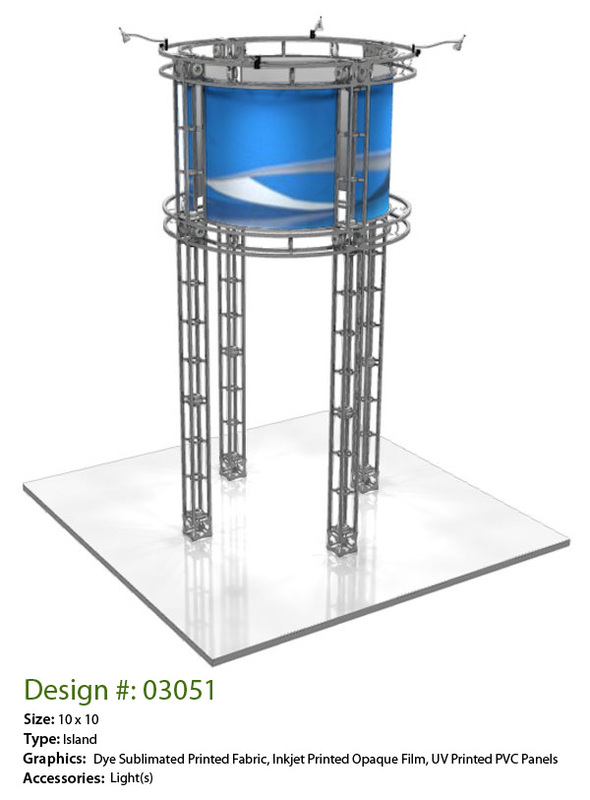 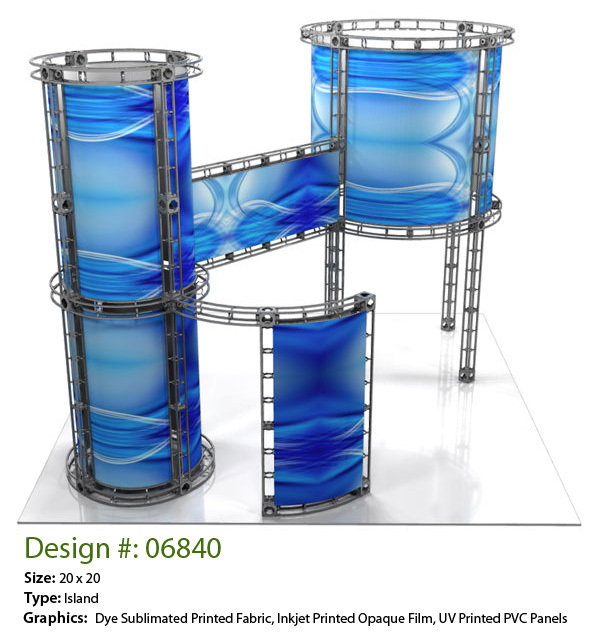 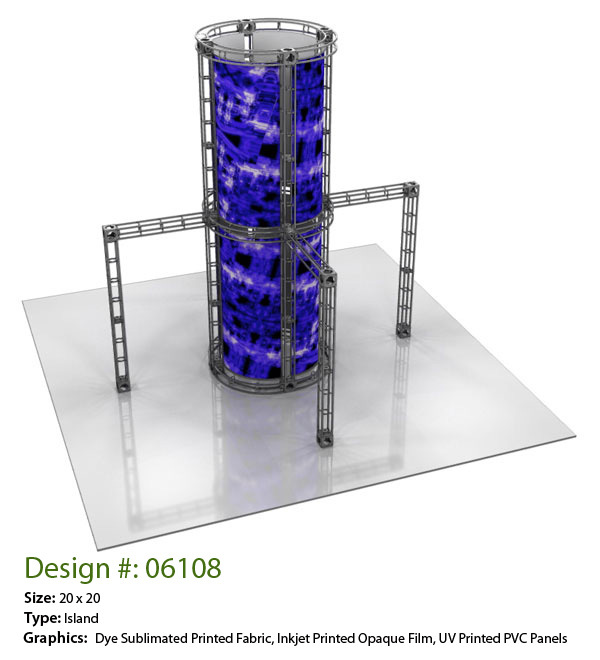 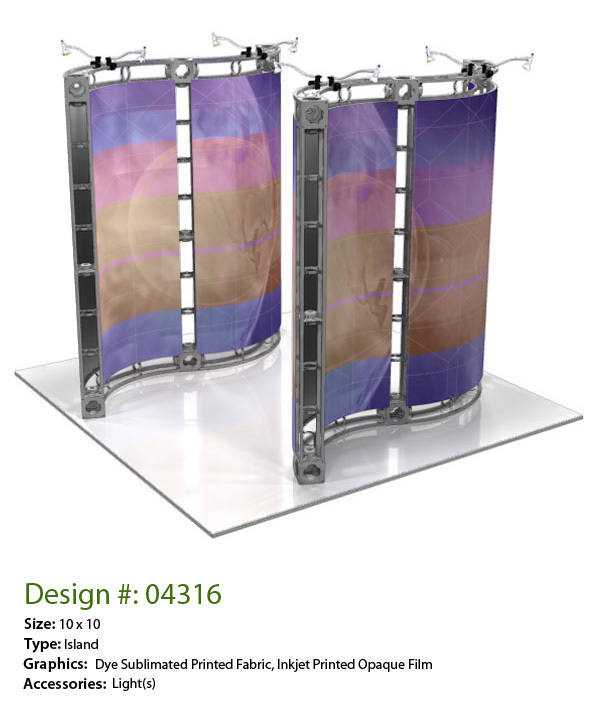 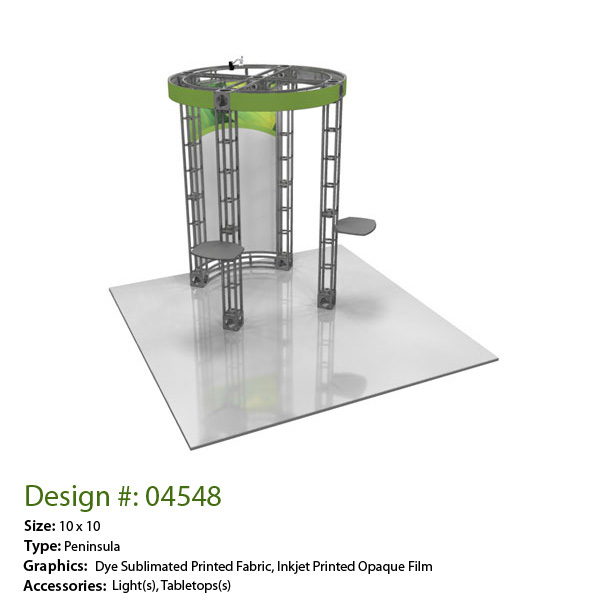 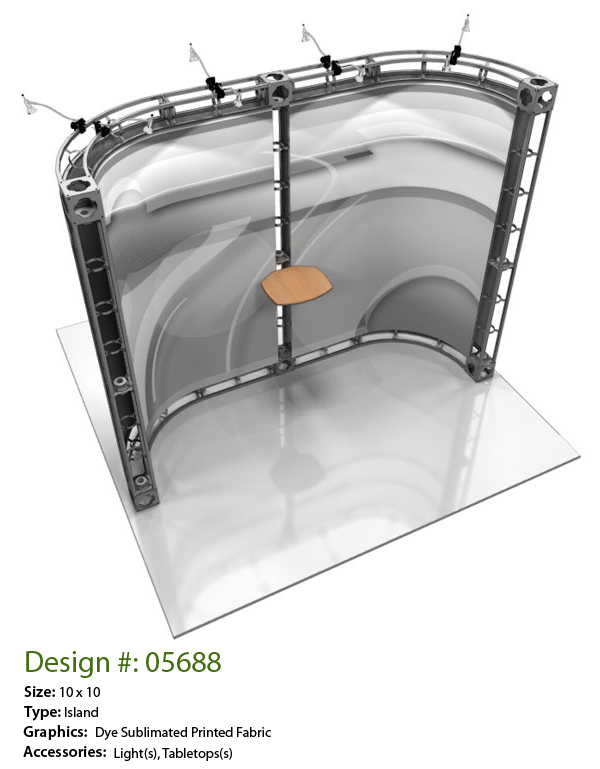 All of our custom trade show exhibits are backed by a lifetime hardware warranty against manufacturing defects.